Joshua and Christopher Kindred; Stacey Obst; Sara Hibble; Benjamin Hyrapietian; Dana Sattler; Shaun Tallon; Carinda Gosling; Daniel & Nickolas Lyngcoln; Wesley Flear; Steve McDade and Angela Barth. 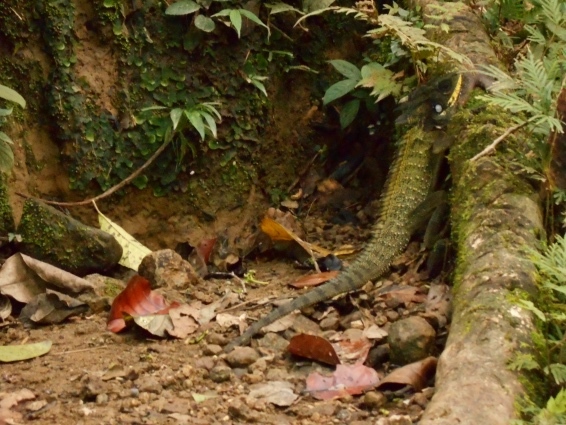 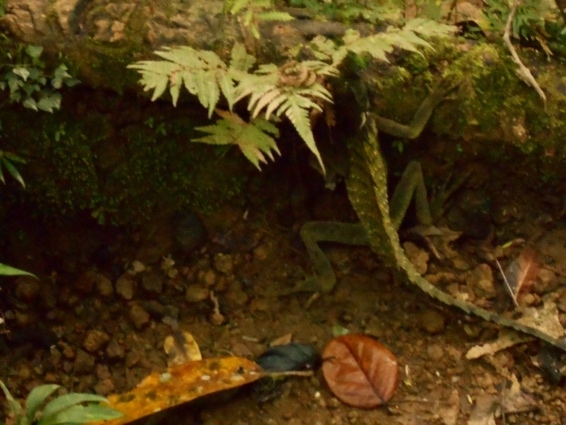 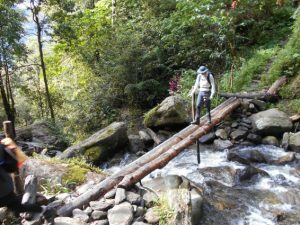 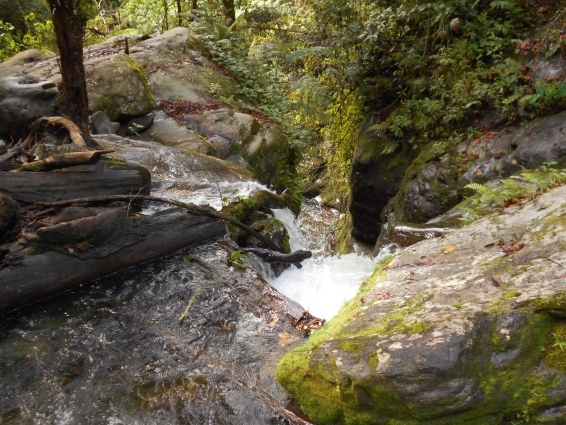 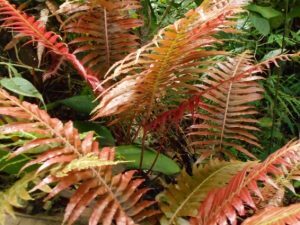 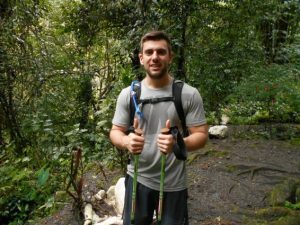 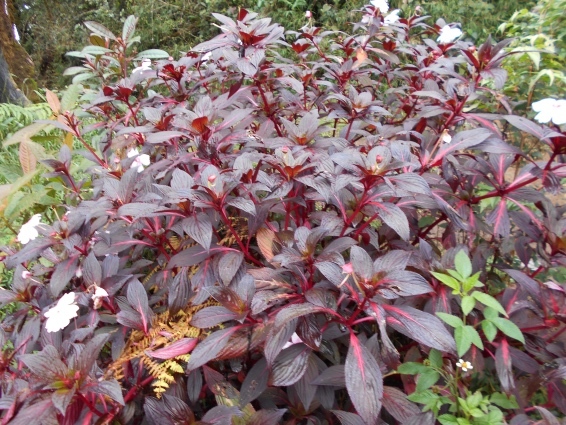 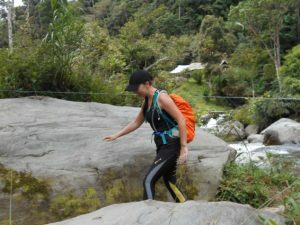 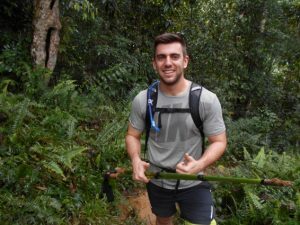 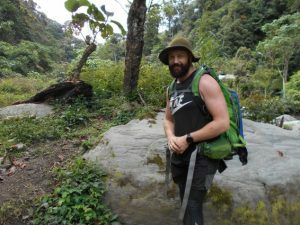 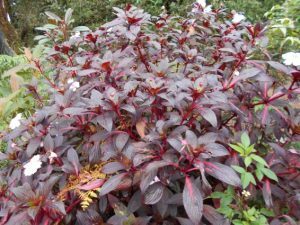 The guide for this trek is Pat Vainerare. 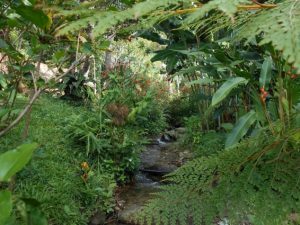 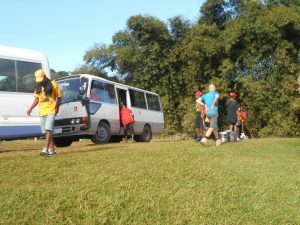 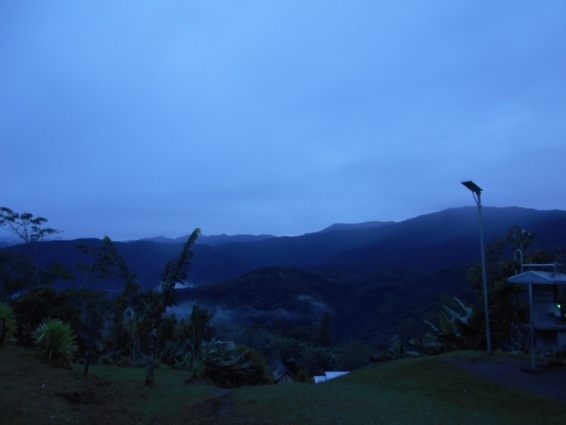 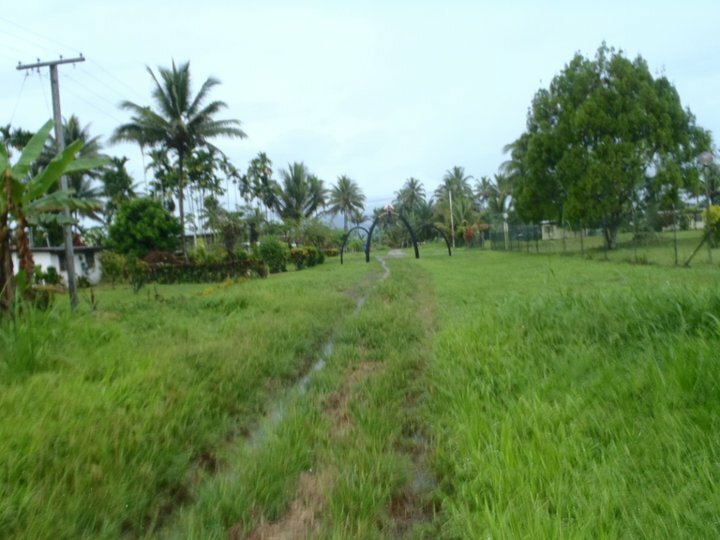 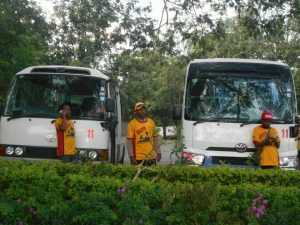 Trek 1114: This trek got away this morning from Port Moresby around 6am. 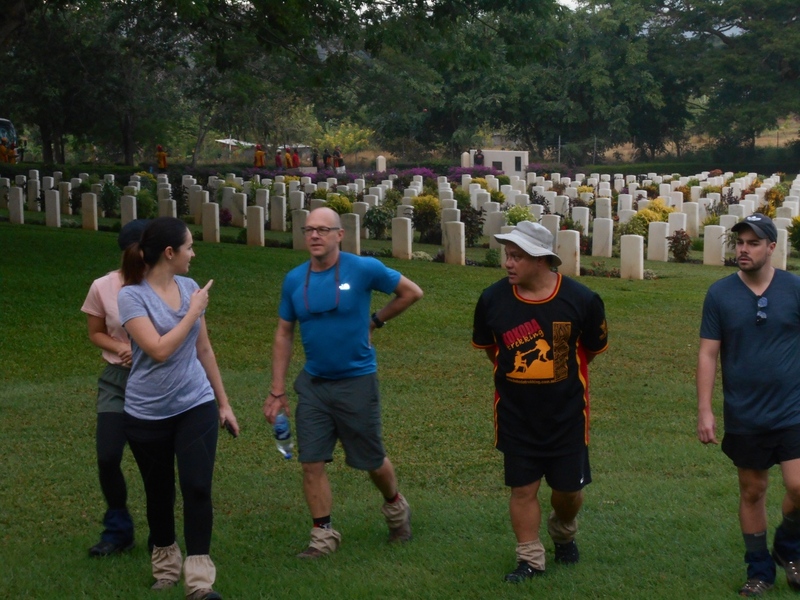 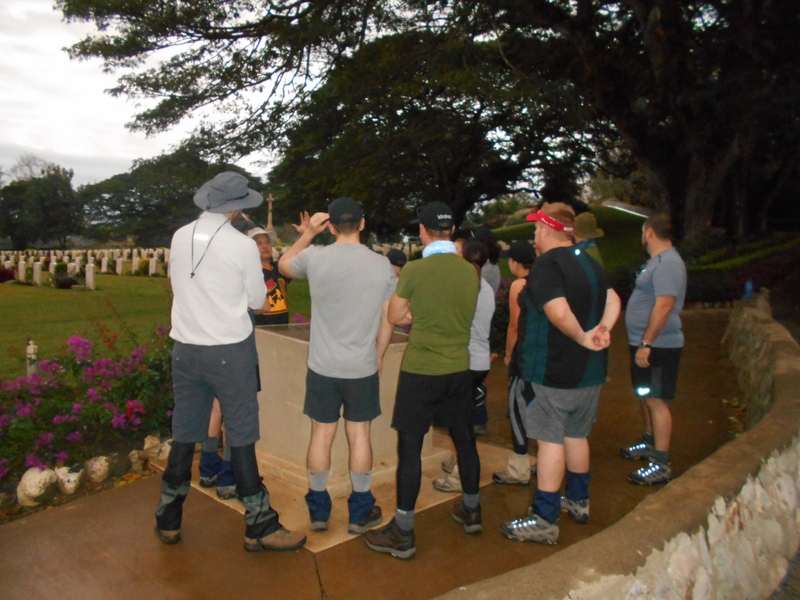 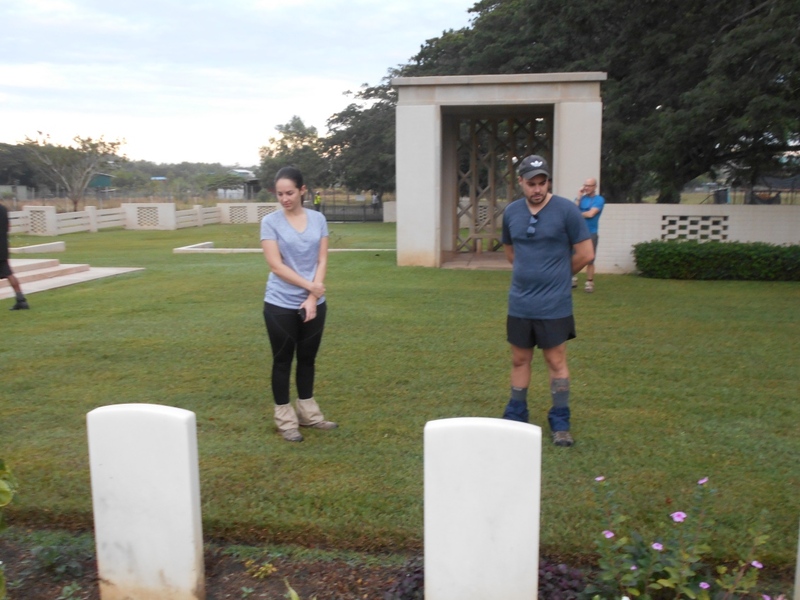 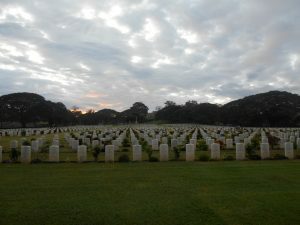 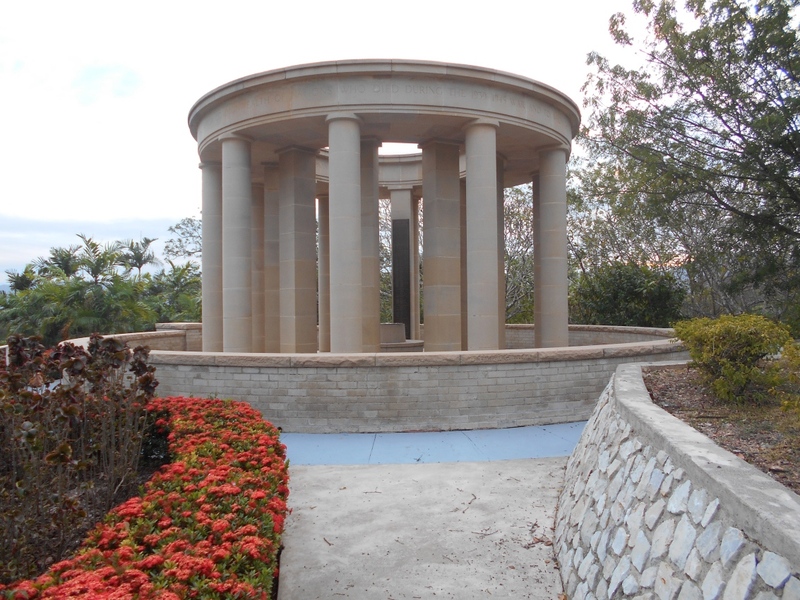 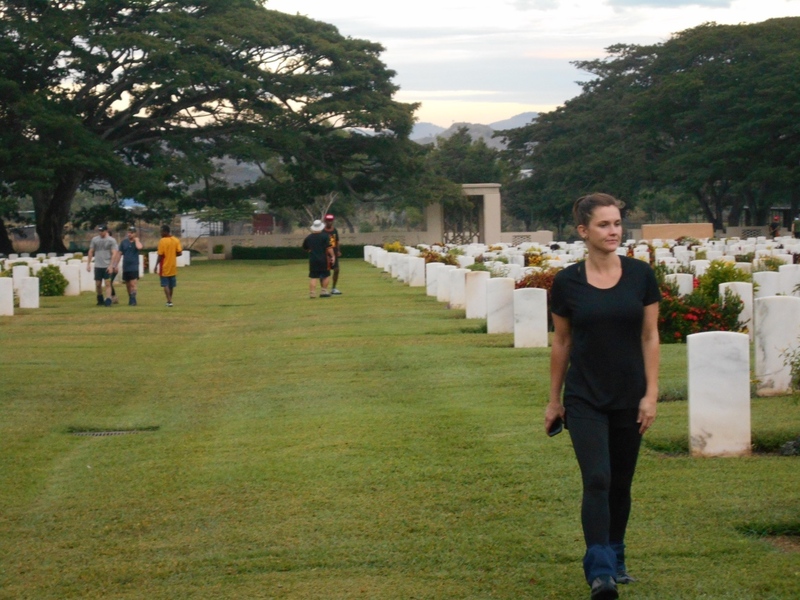 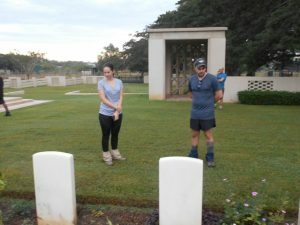 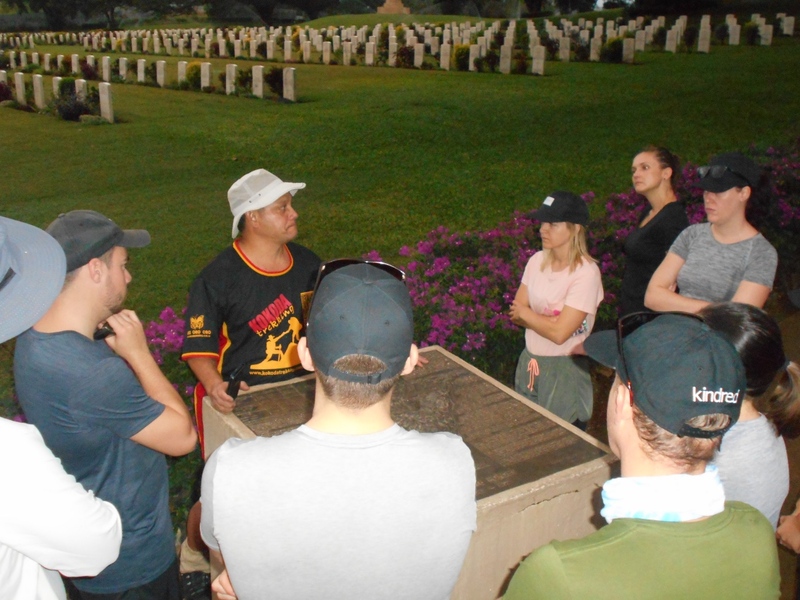 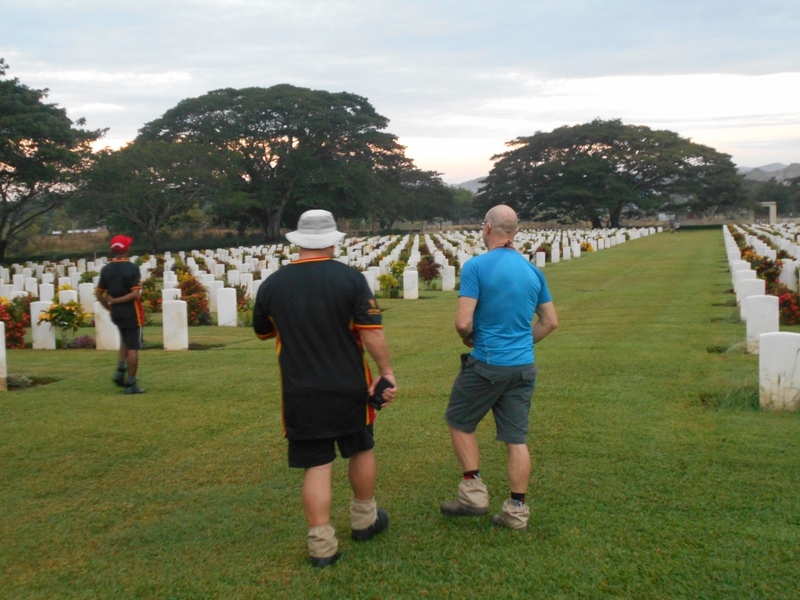 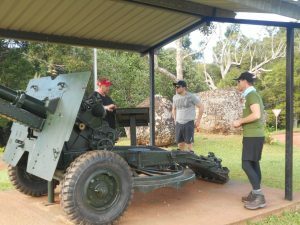 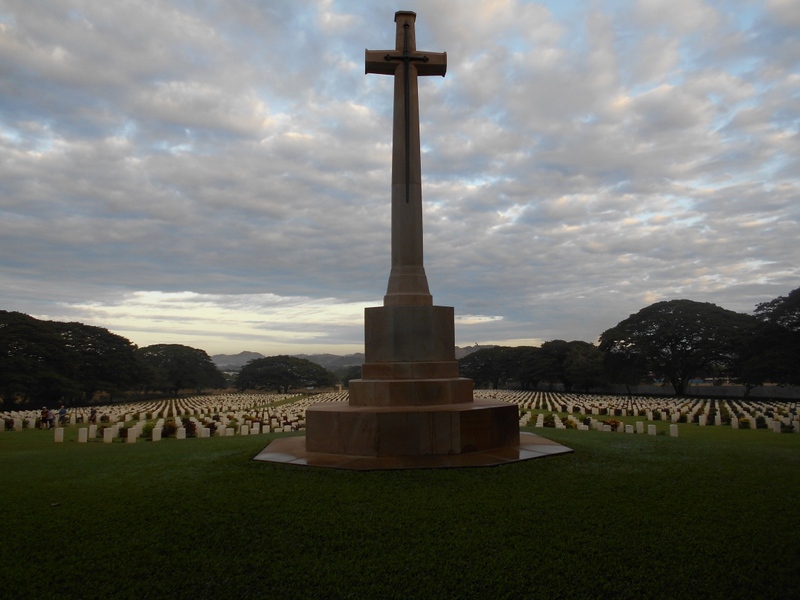 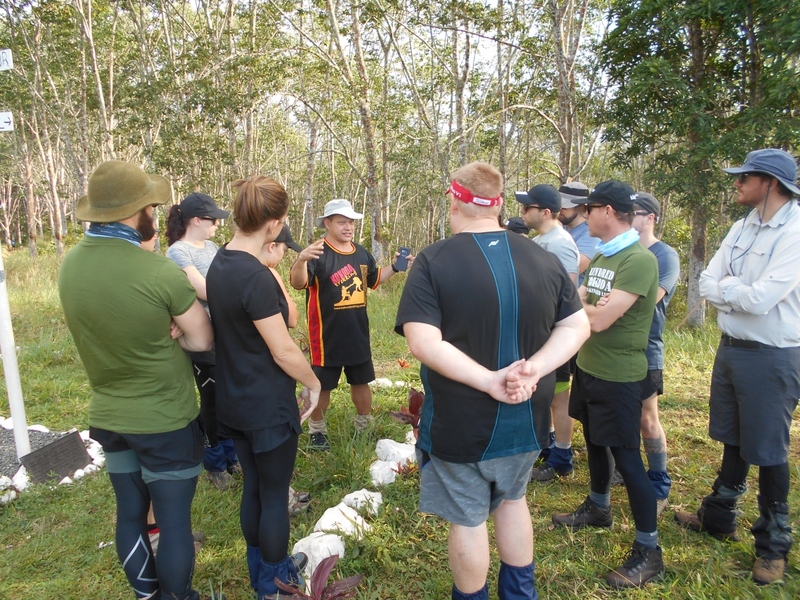 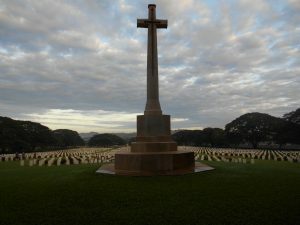 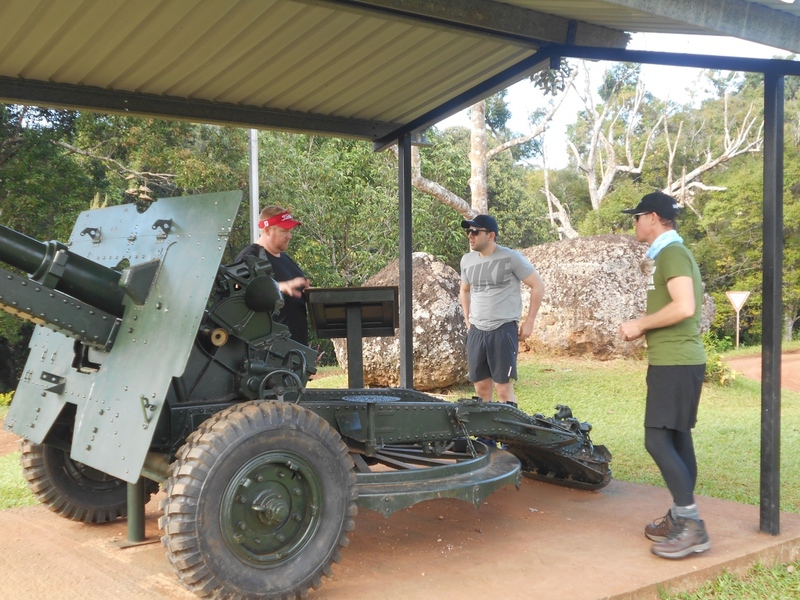 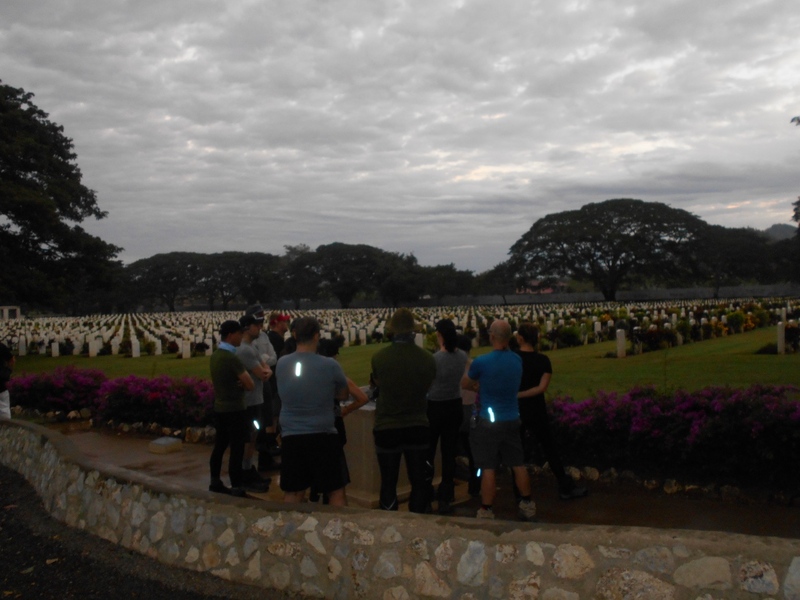 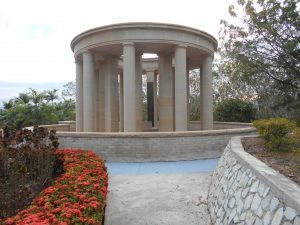 After paying their respects at Bomana War Cemetery, the group moved off to McDonald’s Corner before heading to the drop off point at Owers’ Corner. 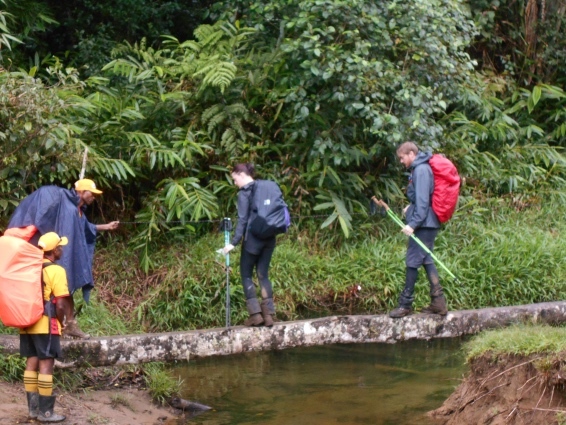 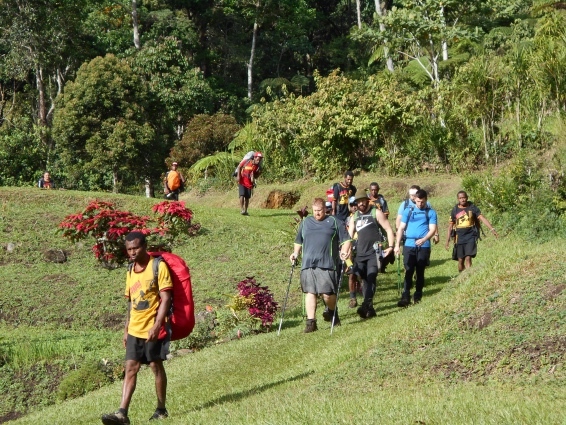 They all did well today and are now at Ua’Ule Creek for the night. 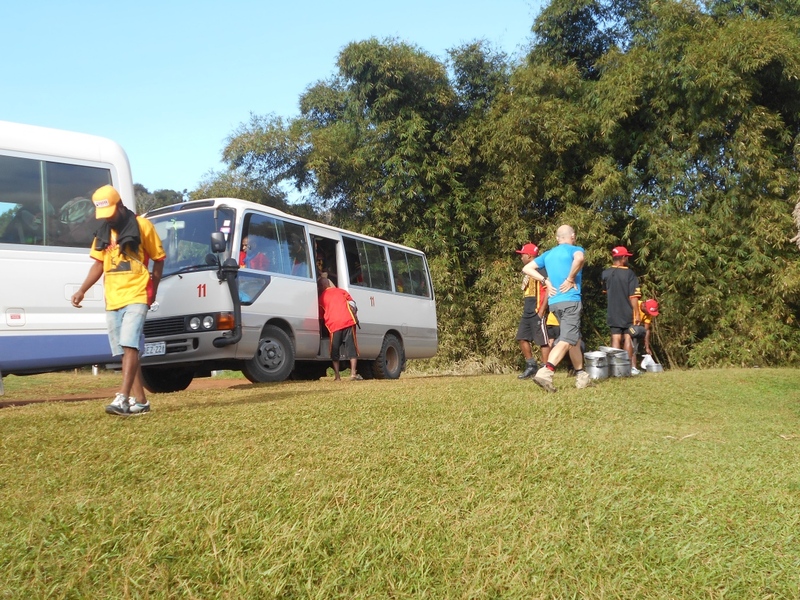 A big day ahead of them tomorrow as they head to Nauro for the night. 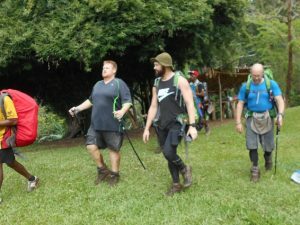 Everyone doing ok at this point. 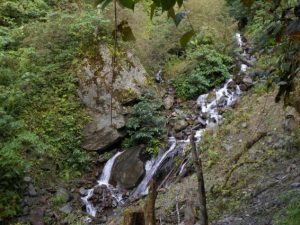 Pictures at Maguli Range about around 6pm 02/06/18 posted by Gary Juary one of our guides on this trek. 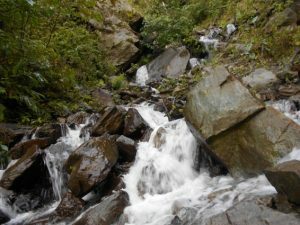 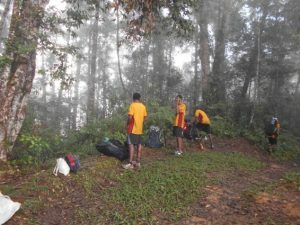 Trek 1114: This trek has no reached Nauro Village according to our GPS as was the plan for today. Pat has not called in as yet but I just posted a photograph taken after 6pm tonight so assume he will call later or first thing in the morning as no doubt busy making sure they are all fed and attended to. 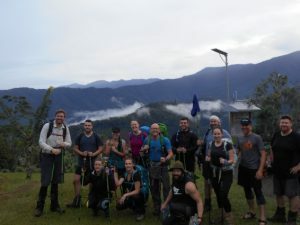 The climb up to Maguli Range is always a tough day but hey they all made it ok and will now be looking forward to their walk tomorrow. Update 8:40pm. 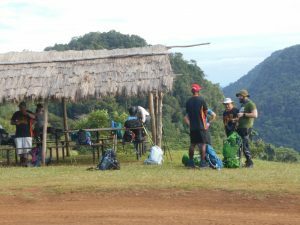 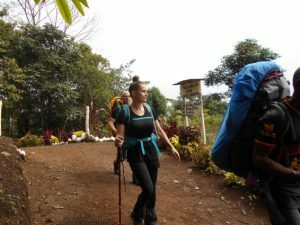 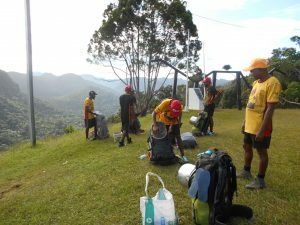 Pat just phoned me on the sat phone and said it was a huge day for them with the last trekker Dana arriving in Nauro around 7pm. 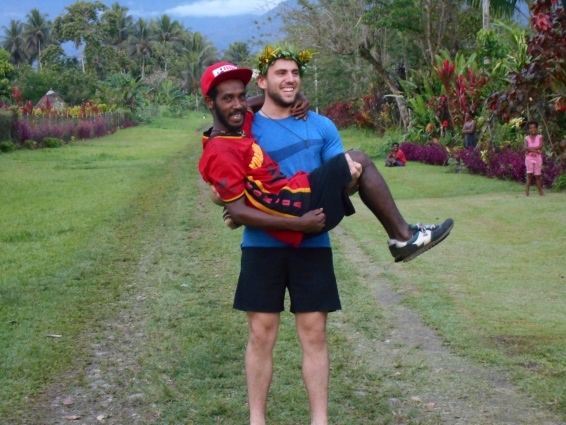 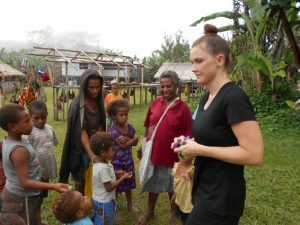 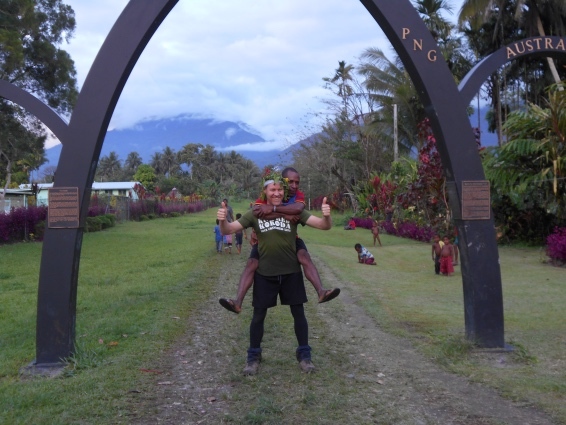 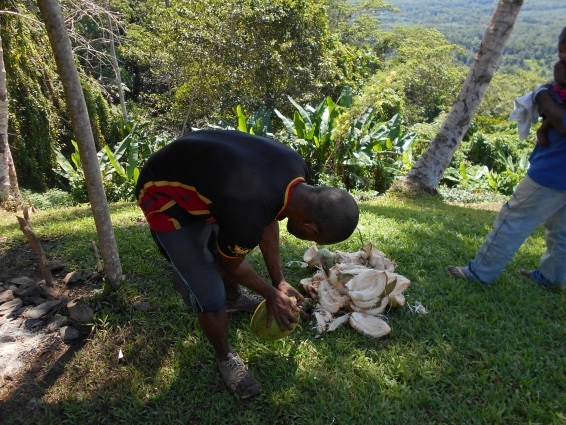 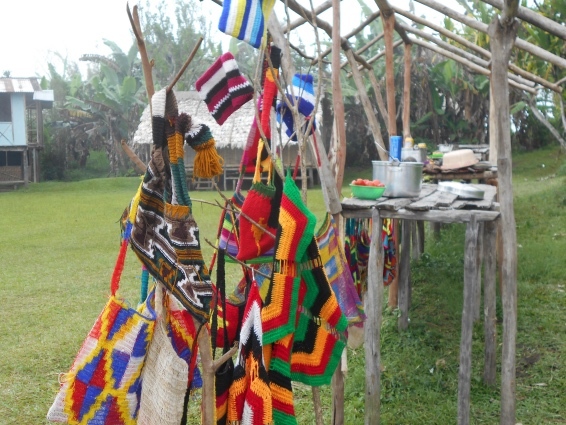 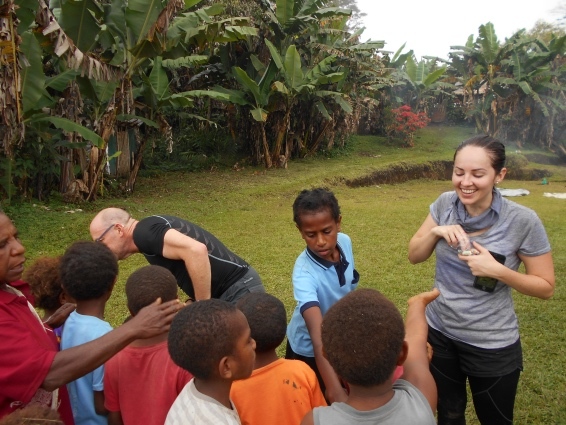 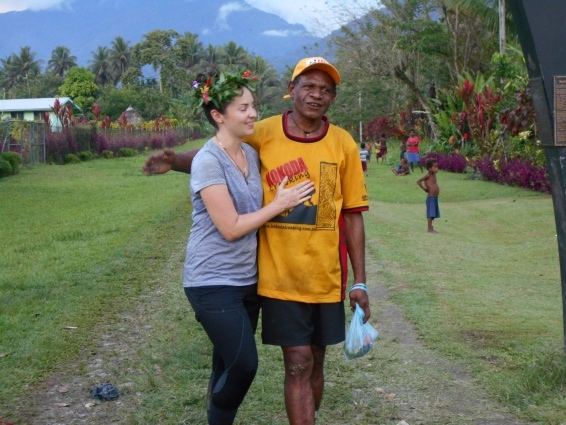 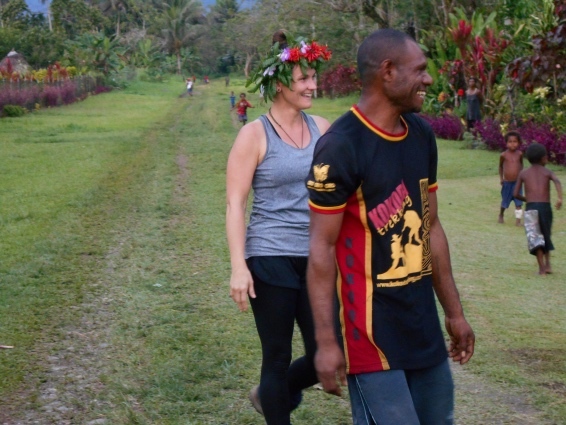 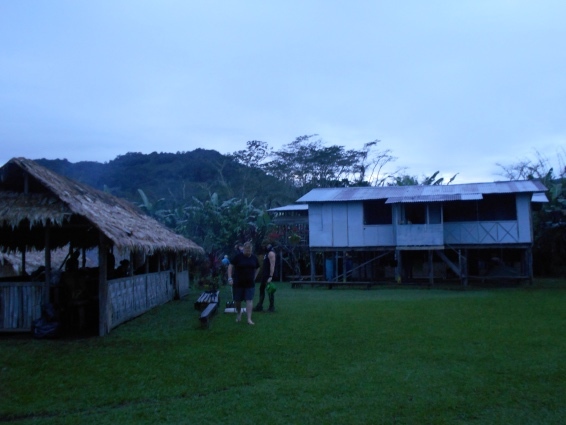 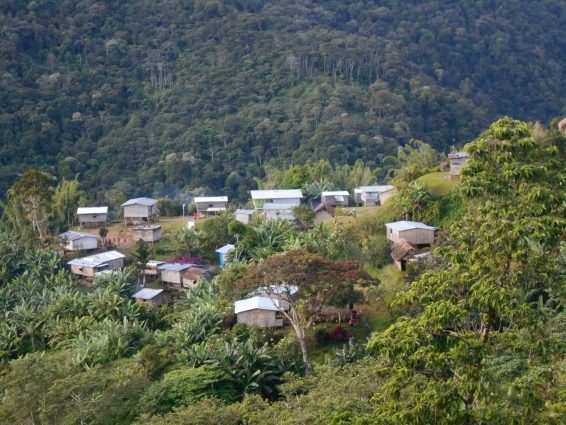 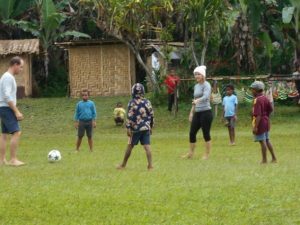 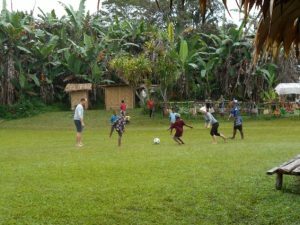 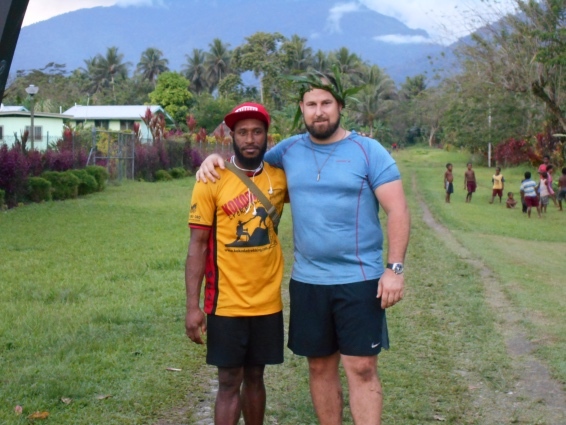 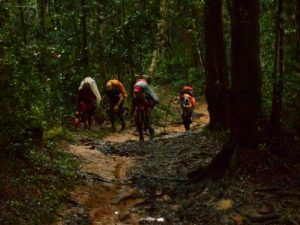 Tomorrow will be a much shorter day when they head to Menari Village for the night. 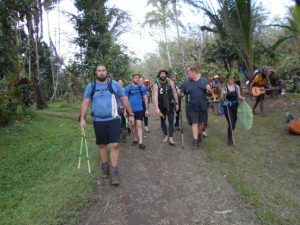 Joshua is staying at the back with the slower ones along with Ben. 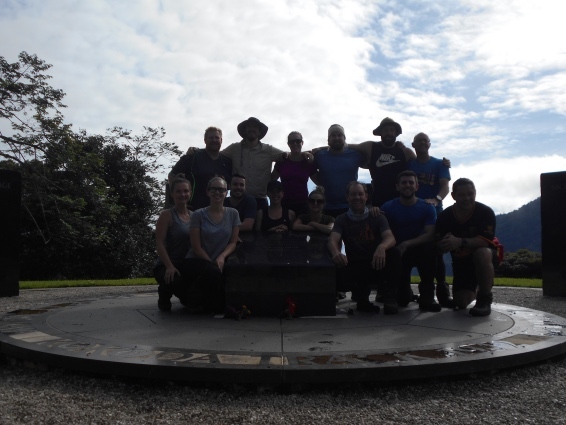 A big team effort today all round. Pat said no problems at this stage and they are all looking forward to heading to Menari tomorrow. 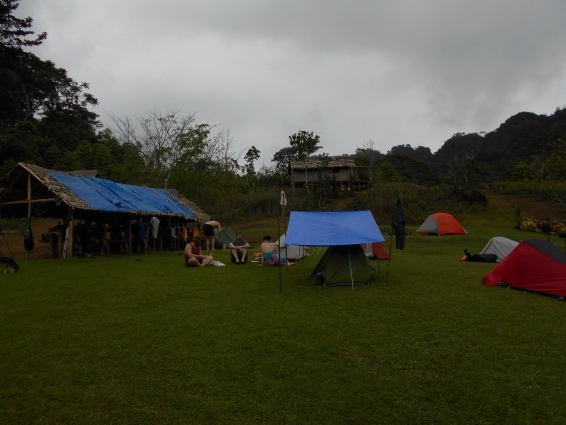 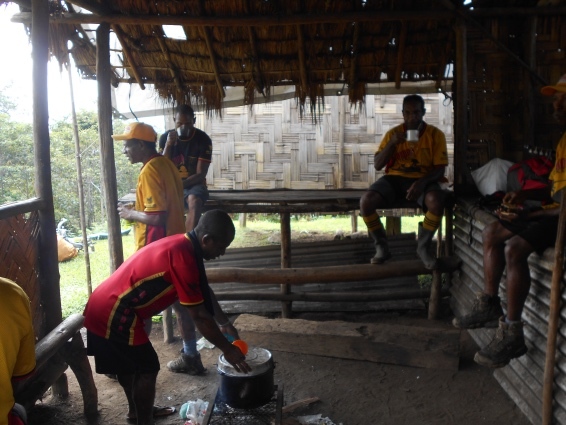 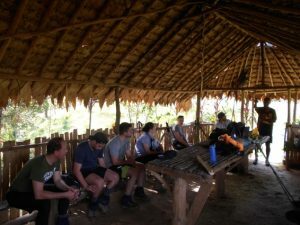 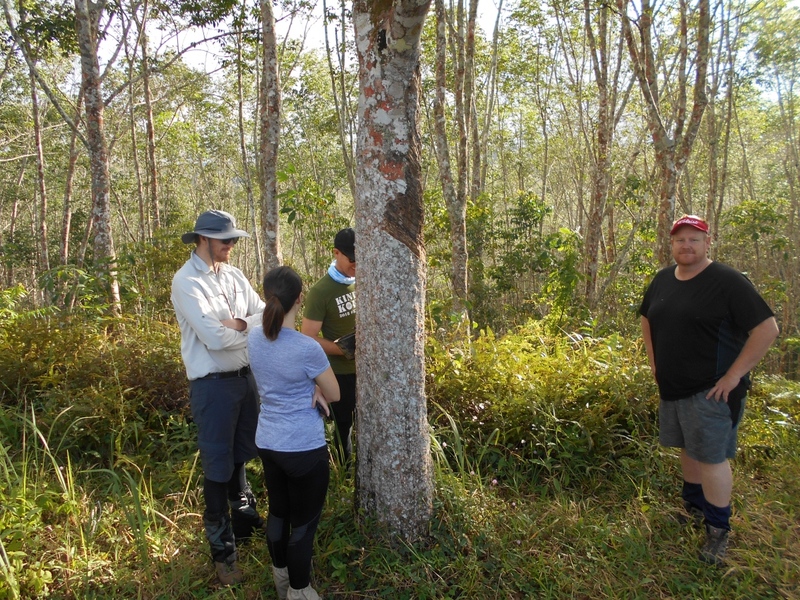 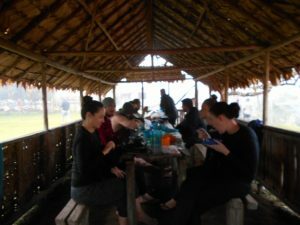 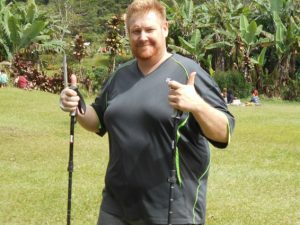 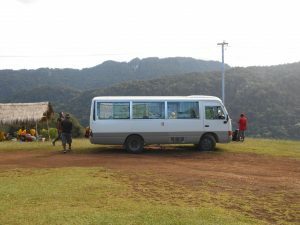 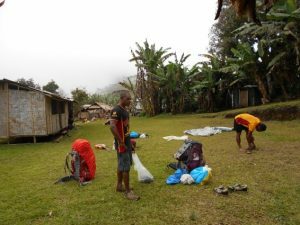 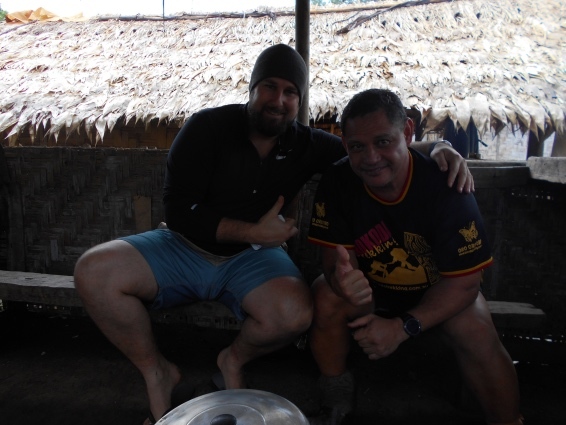 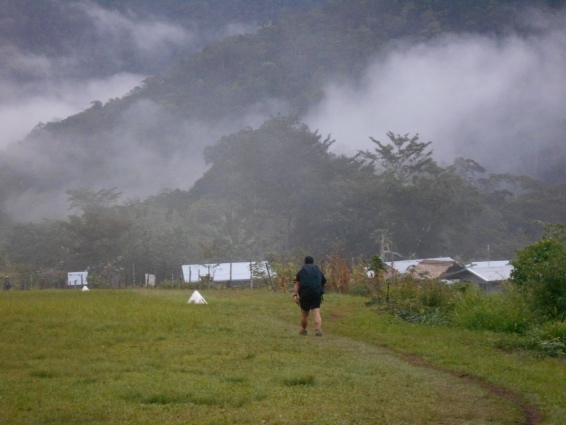 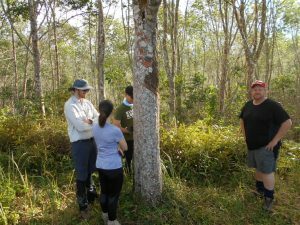 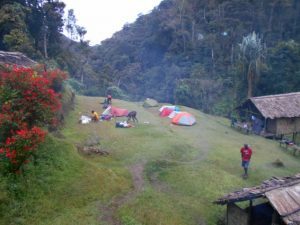 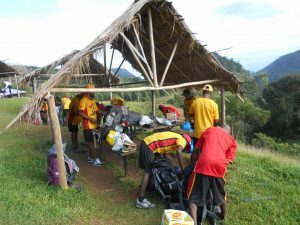 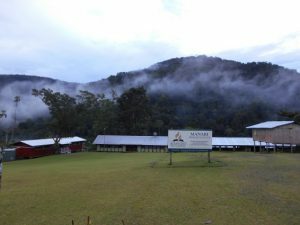 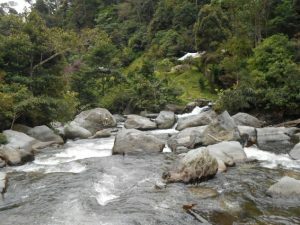 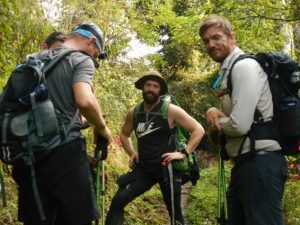 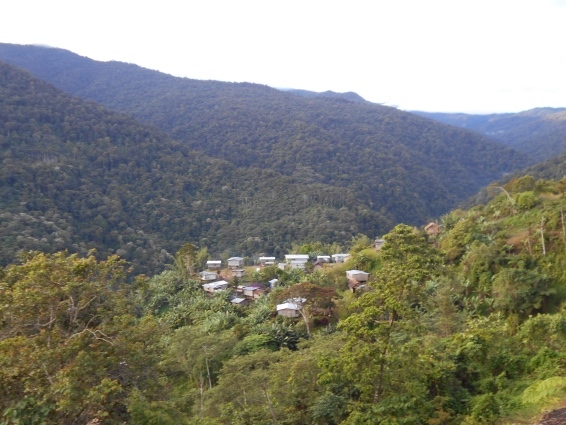 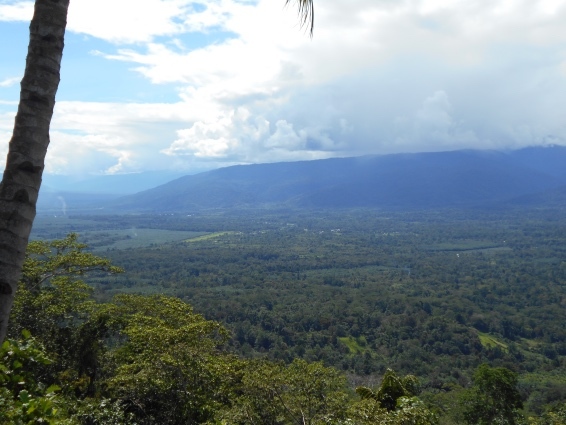 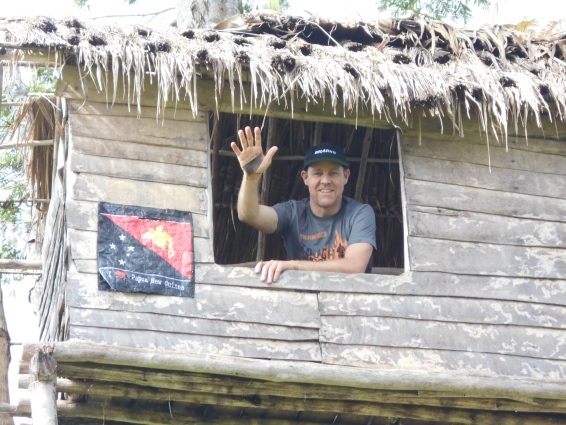 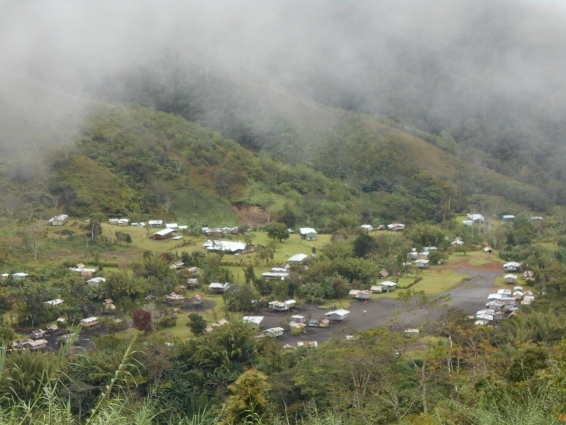 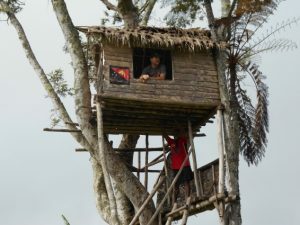 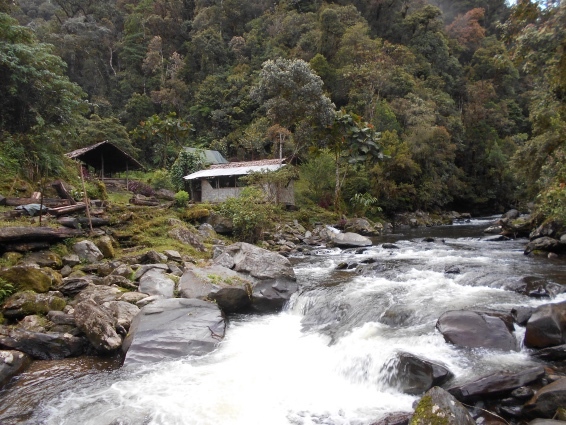 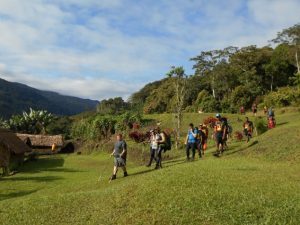 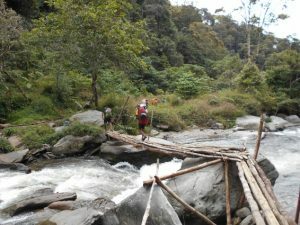 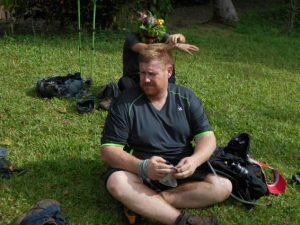 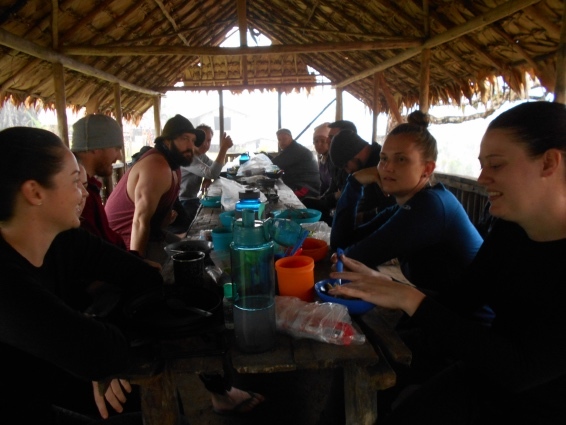 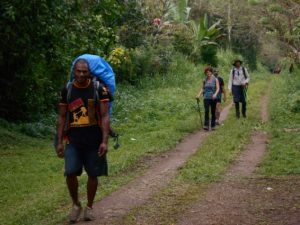 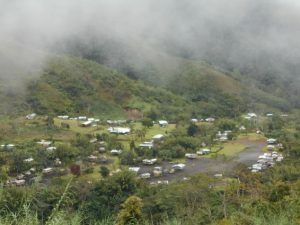 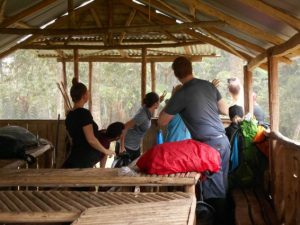 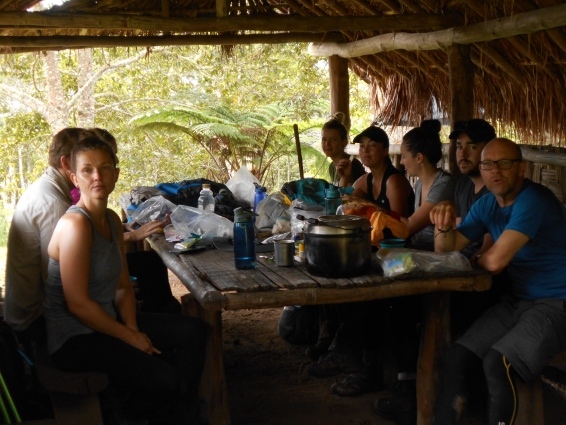 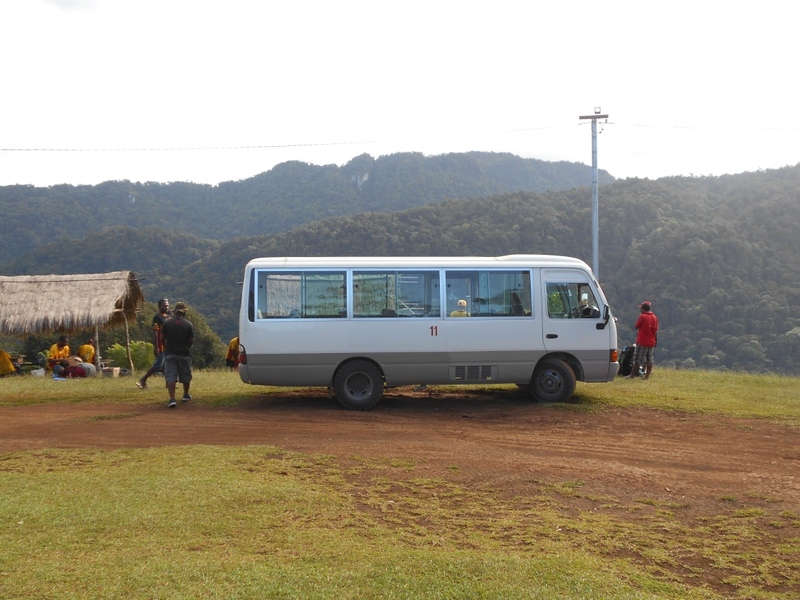 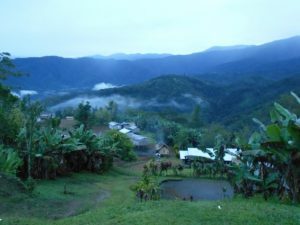 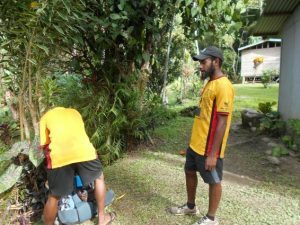 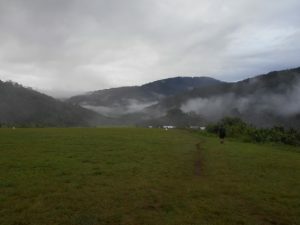 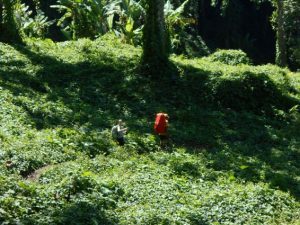 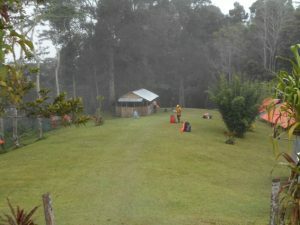 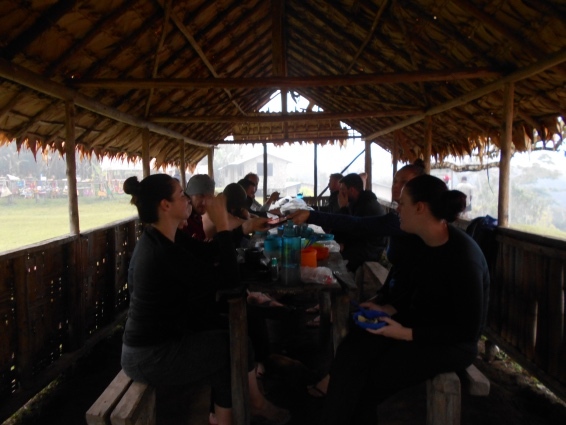 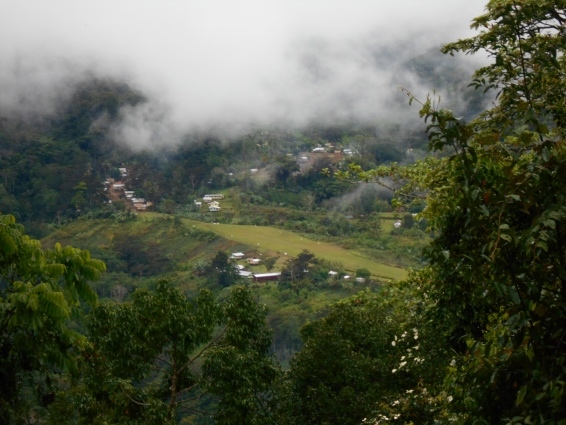 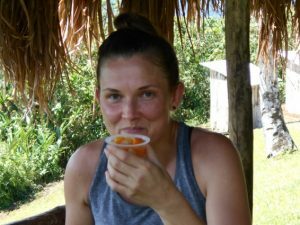 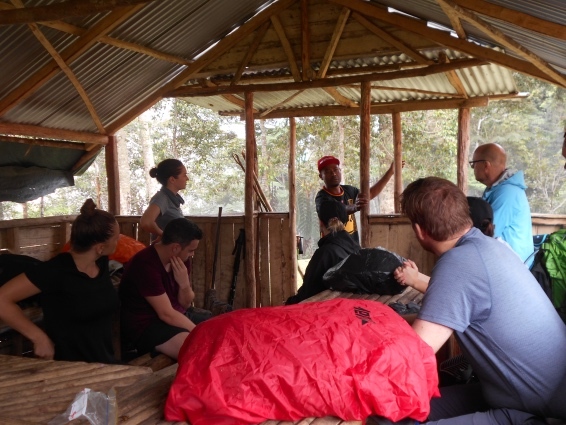 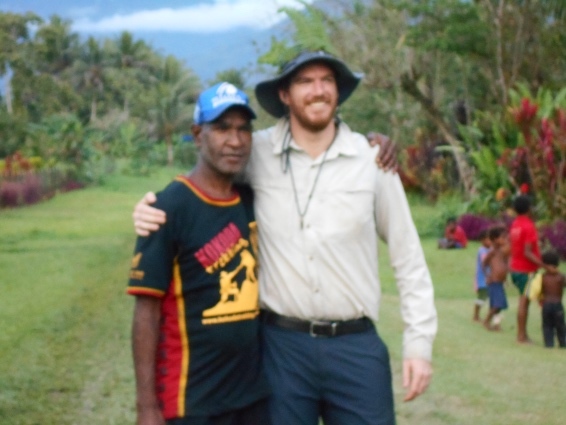 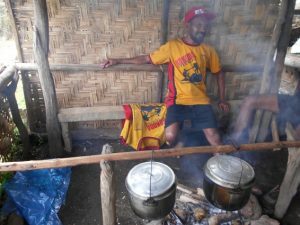 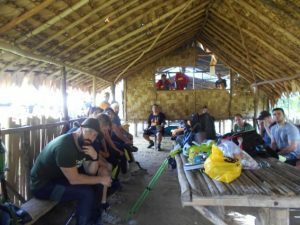 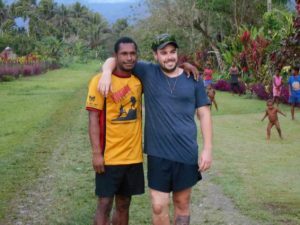 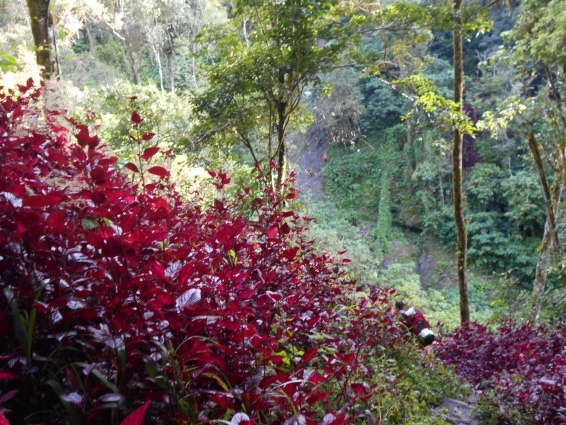 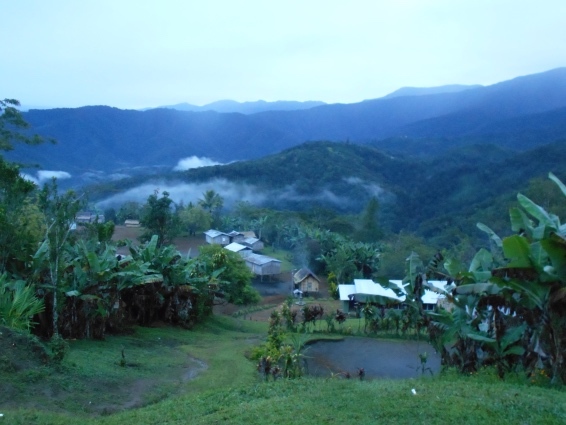 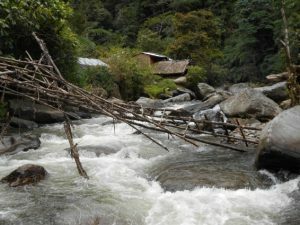 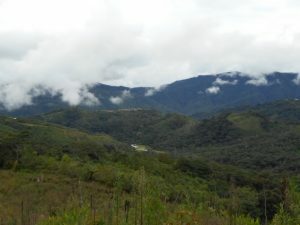 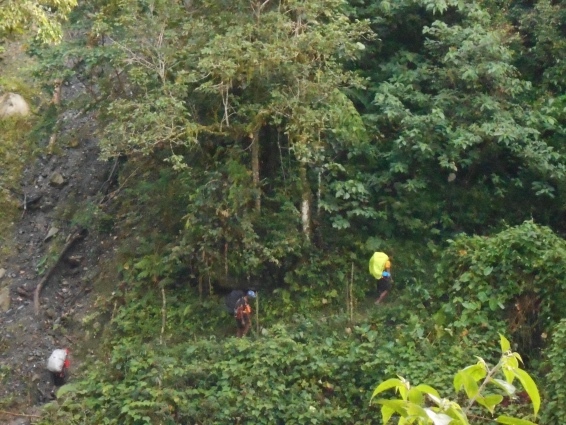 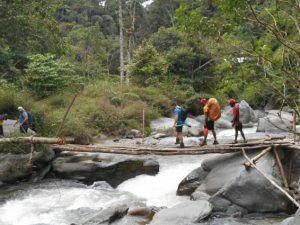 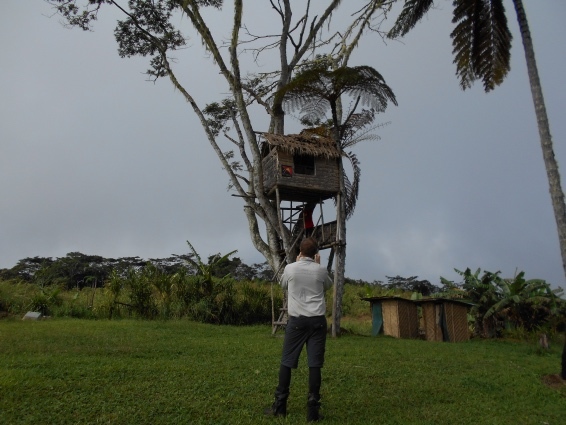 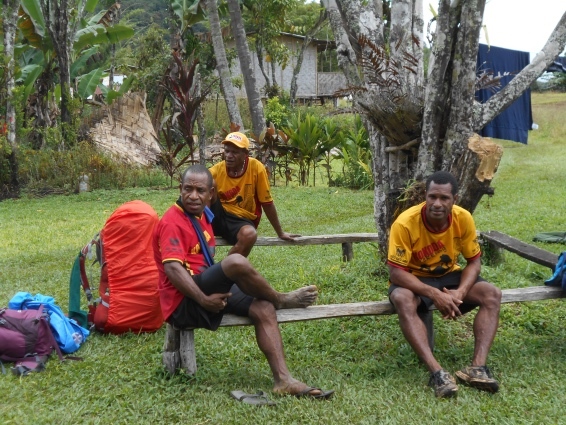 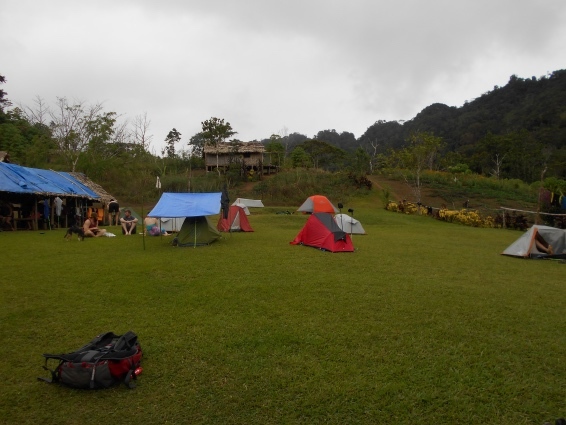 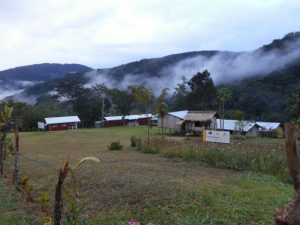 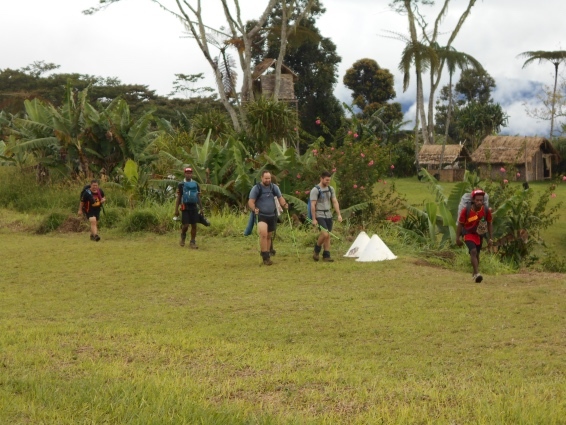 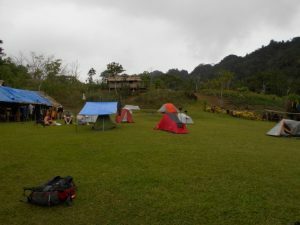 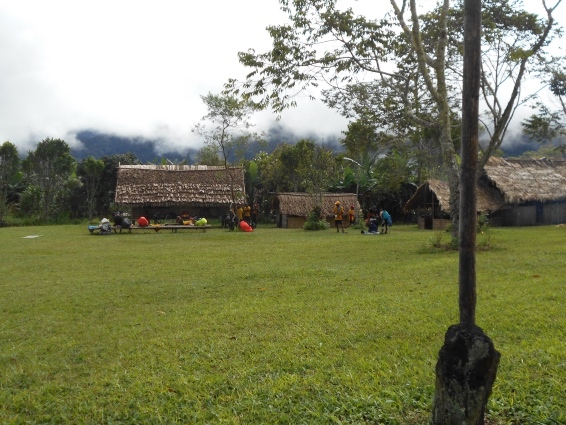 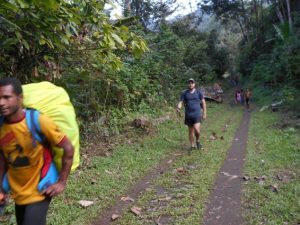 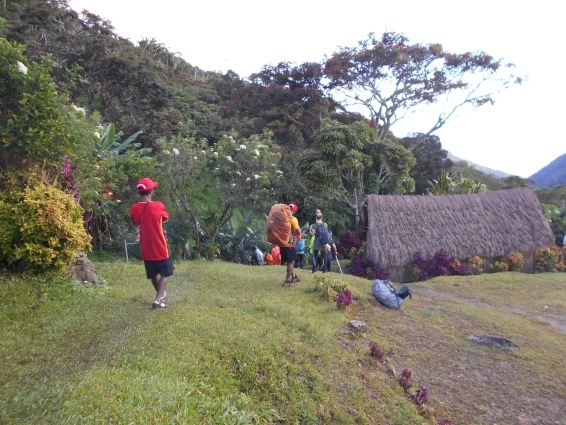 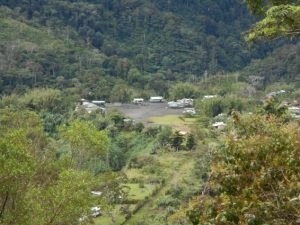 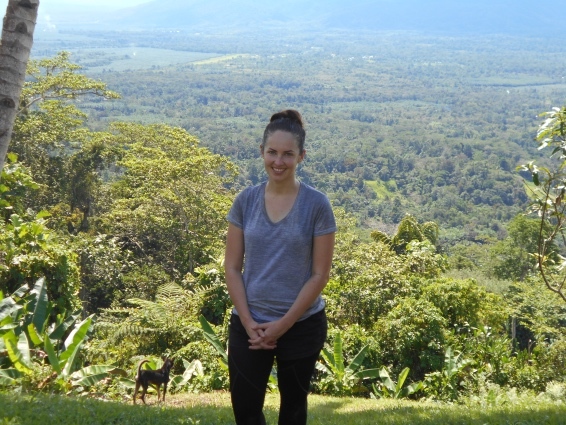 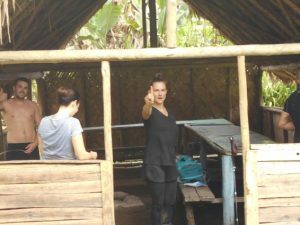 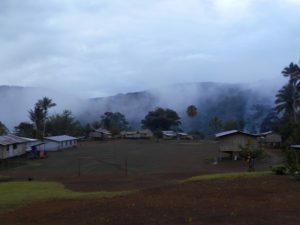 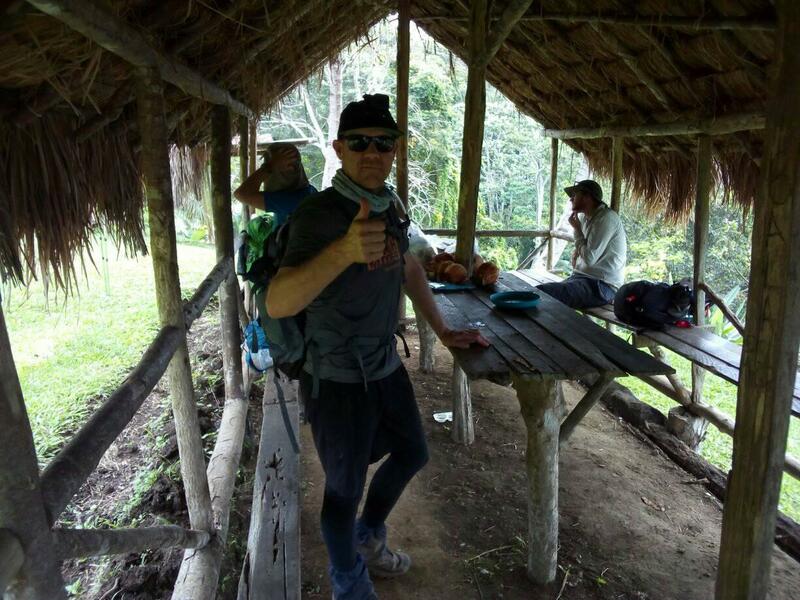 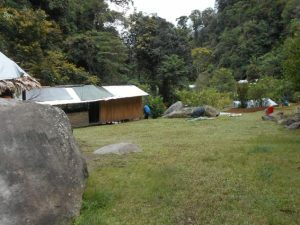 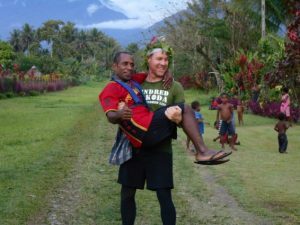 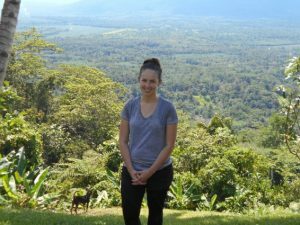 Trek 1114: Pat just called in to inform me they are now all at Menari Village. 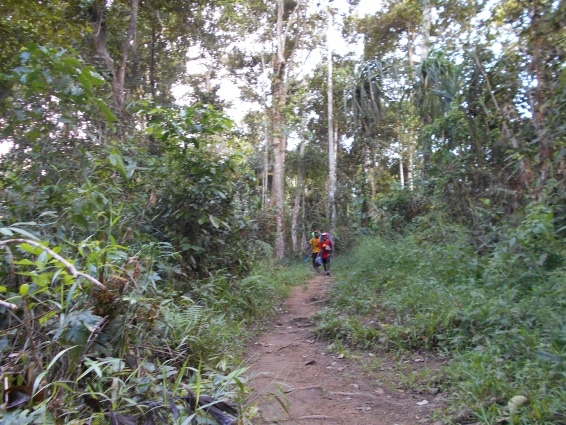 Girls went ahead and were there by 1:30, some in the middle group closely followed. 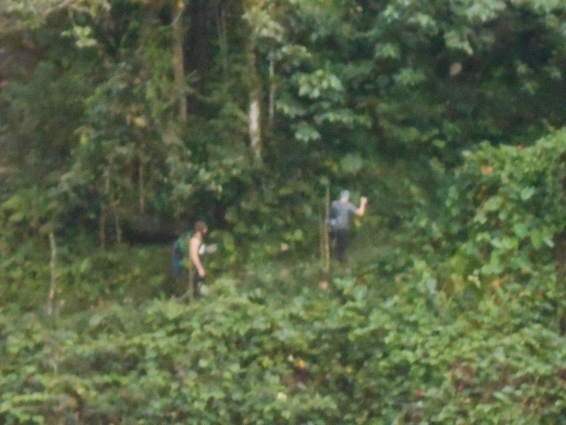 A couple of guys came in around 3pm. 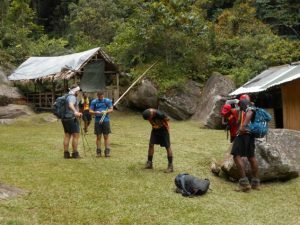 All ok except Nick who trod on an exposed tent peg but is still going strong. 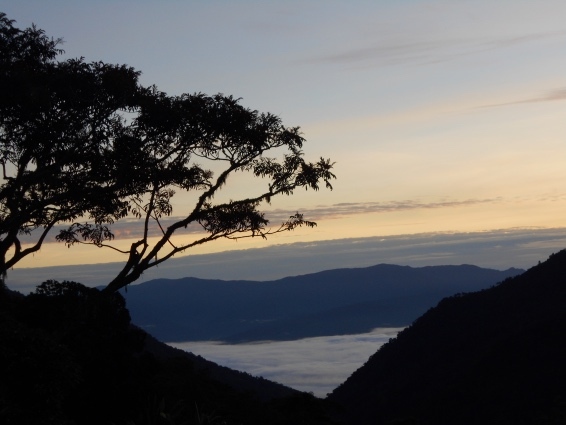 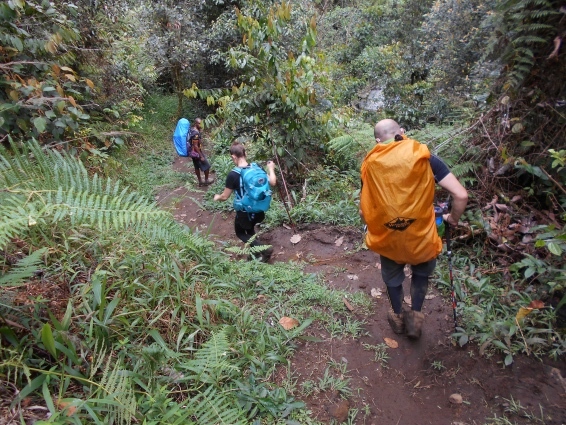 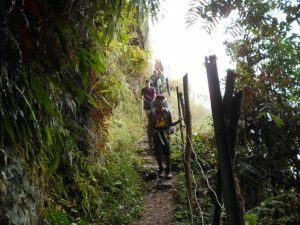 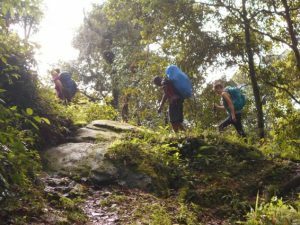 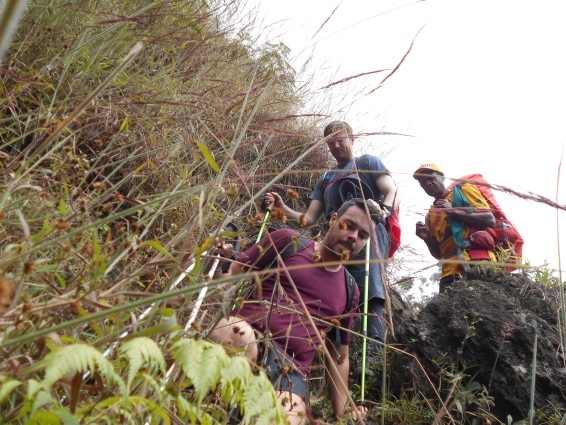 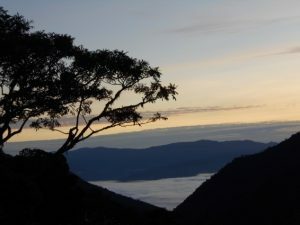 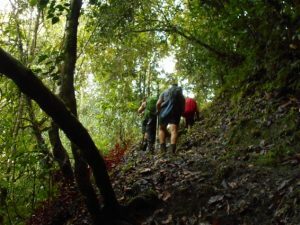 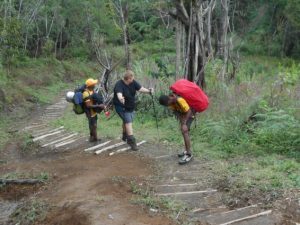 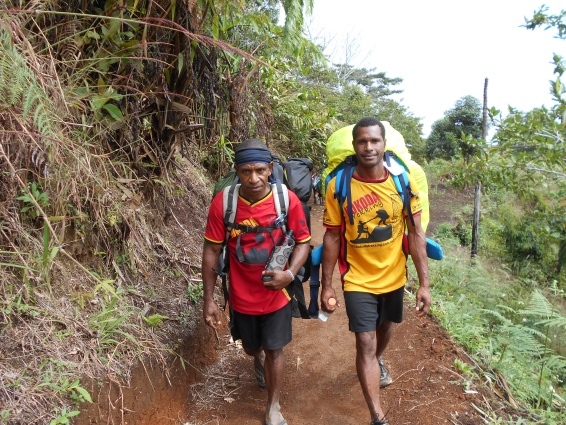 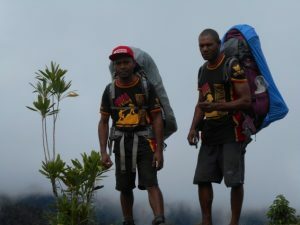 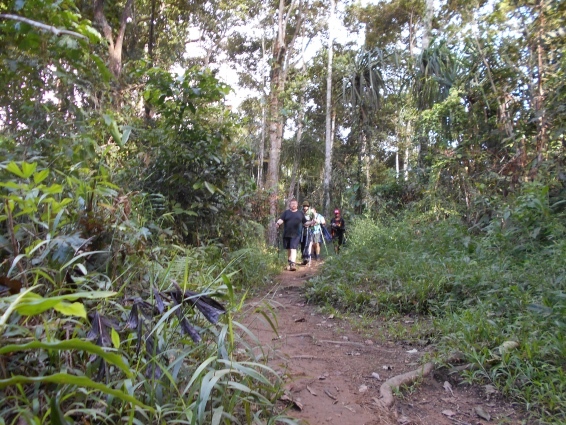 Tomorrow another big day as they walk up Brigade Hill, down to Efogi and then up to Kagi Village. 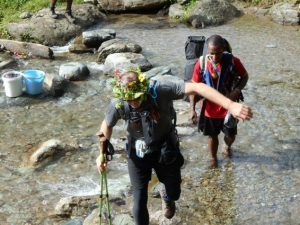 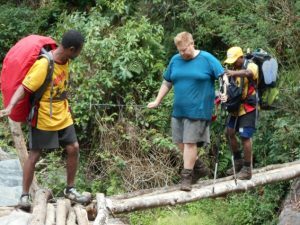 Trek 1114 Update: A change of plan today, Kagi was cancelled and instead the team are now going through Naduri instead Tonight the group are at Efogi II commonly referred to as Launumu. 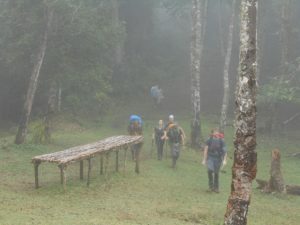 Everyone continues to do well and tomorrow they head to Templeton’s Crossing for the night. 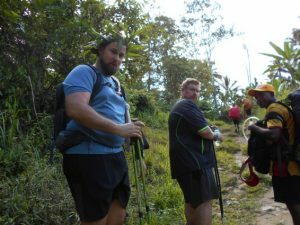 They are now past the half way point and most say it gets easier from now on when walking in that direction. 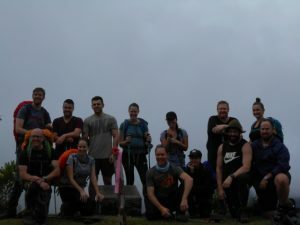 Trek 1114: Tonight trekkers are at the foot of Mt Bellamy according to our GPS as Pat who is holding on to the GPS shows he got there at 7pm. 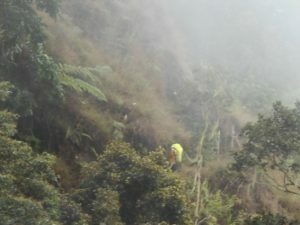 Will update further as soon as I hear from the track. 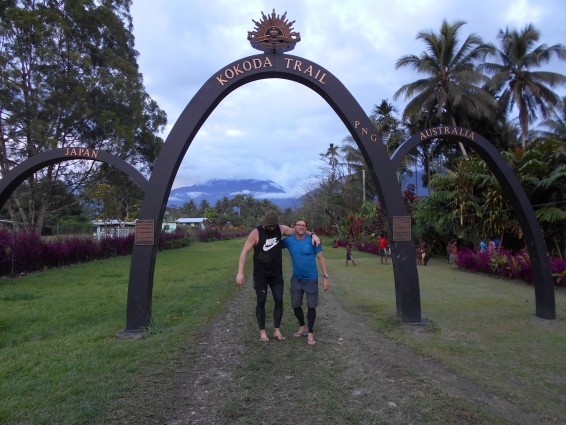 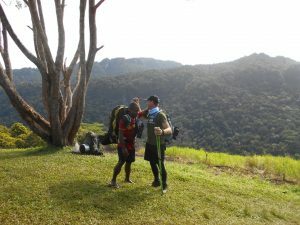 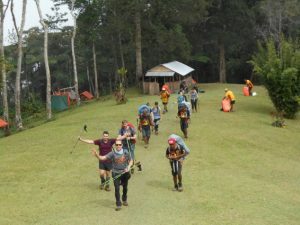 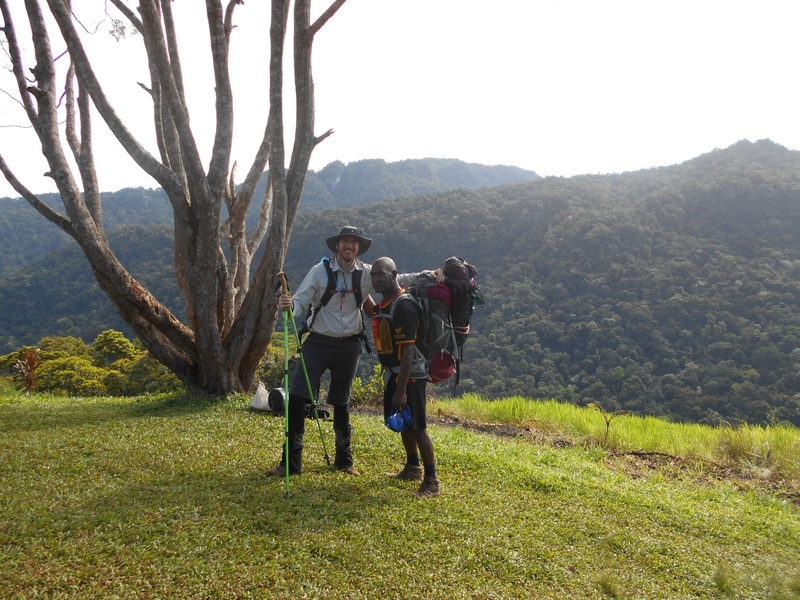 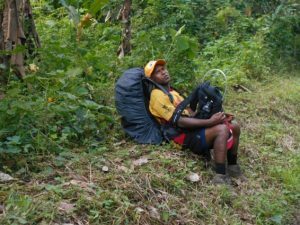 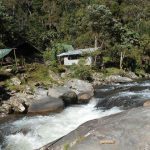 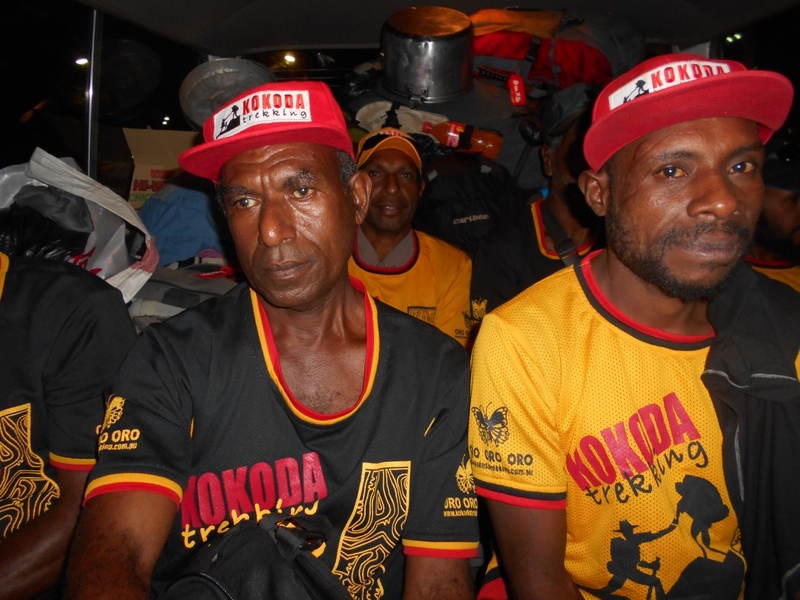 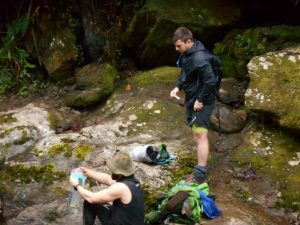 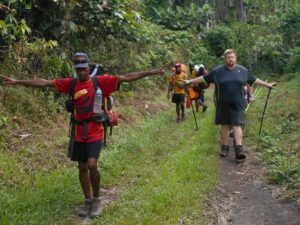 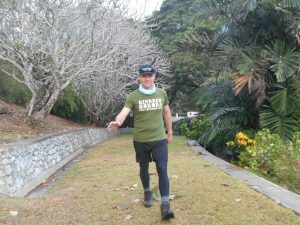 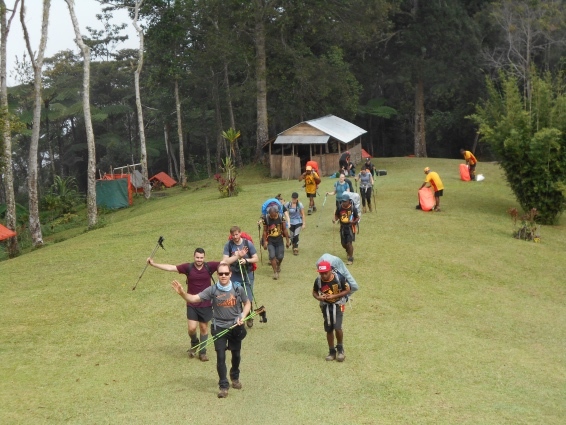 Trek 1114: Pat phoned me this morning and said the faster trekkers went with him into Myola yesterday and Joshua and others continued walking to Dump 1. They all met up again around 7pm last night. 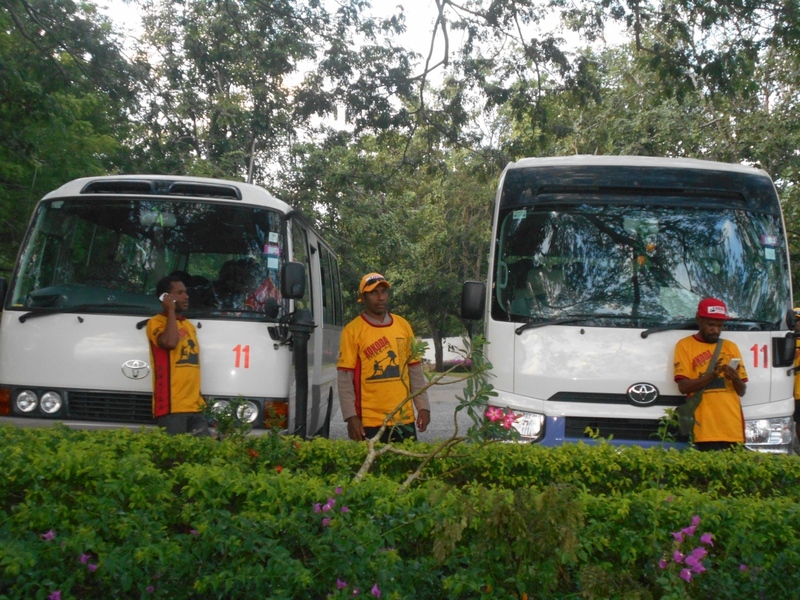 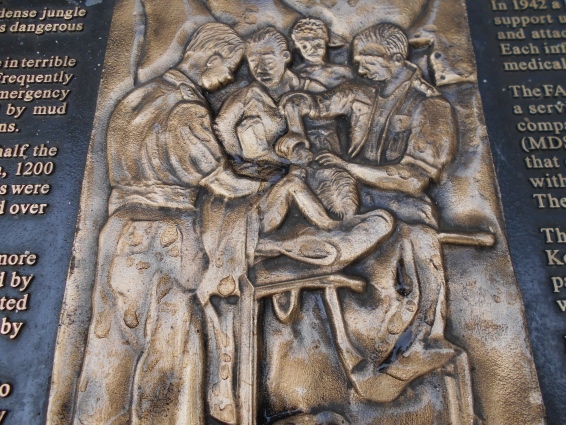 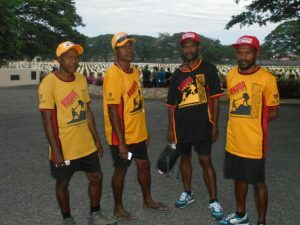 Another big day ahead of them today as the plan on reaching Isurava Memorial to overnight. 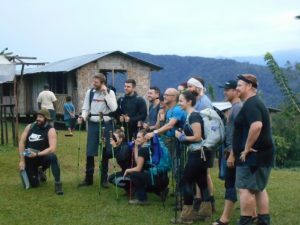 Joshua already talking about coming back next year with another group so he must be enjoying his second trek. 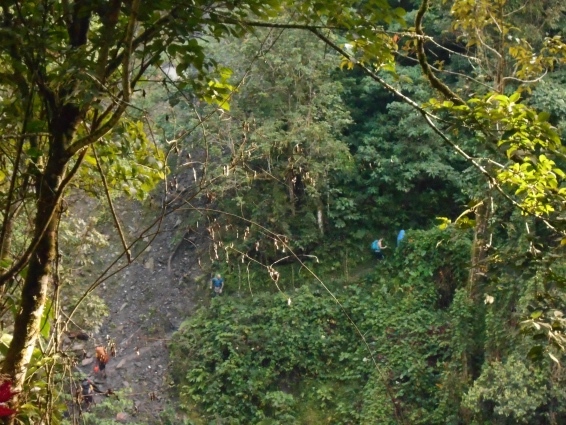 Pat said its a great ‘team building trek’ as everyone is getting along really well. 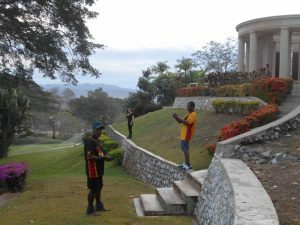 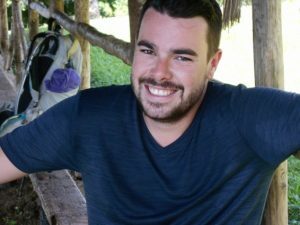 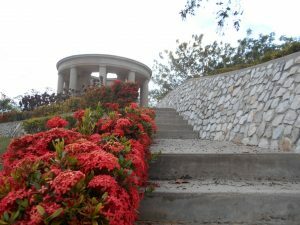 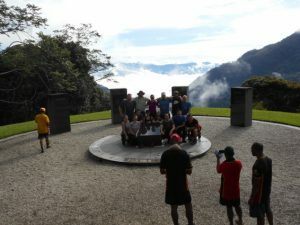 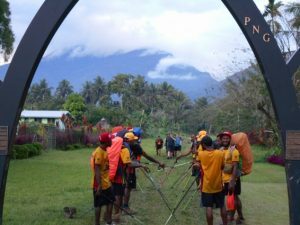 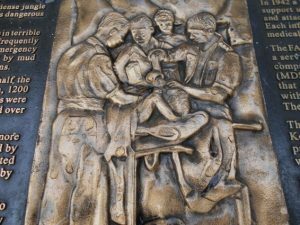 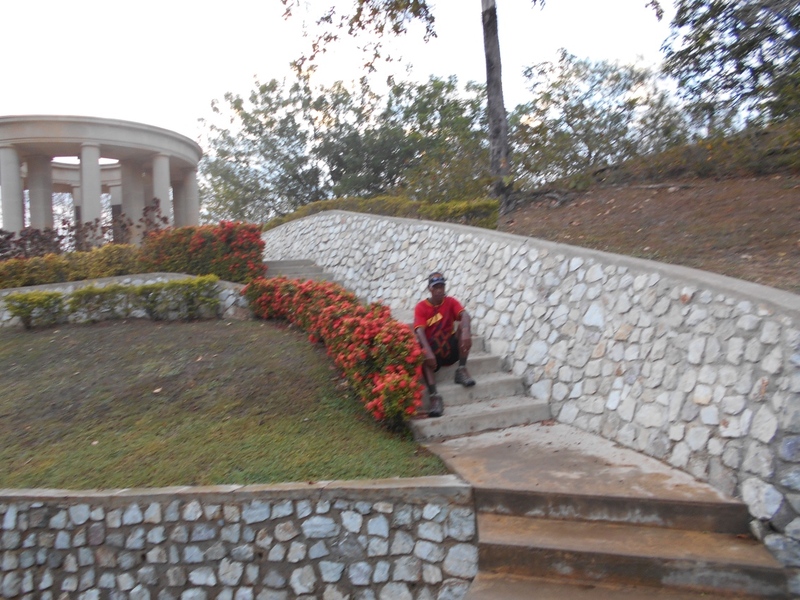 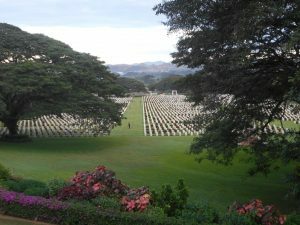 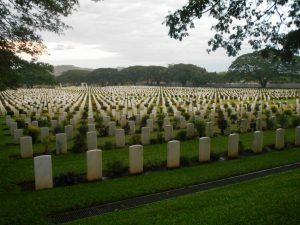 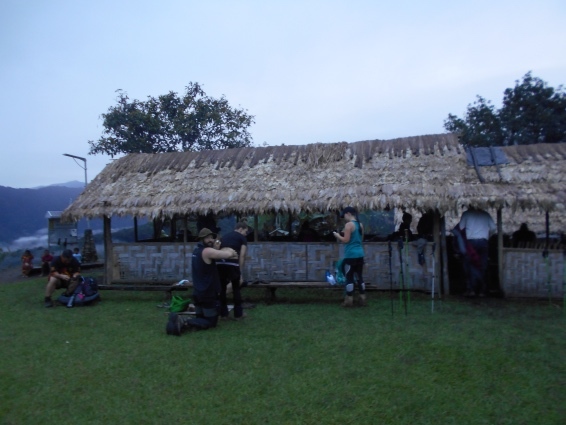 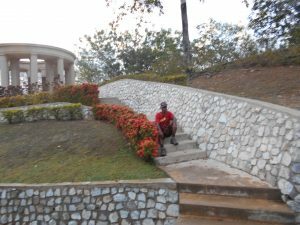 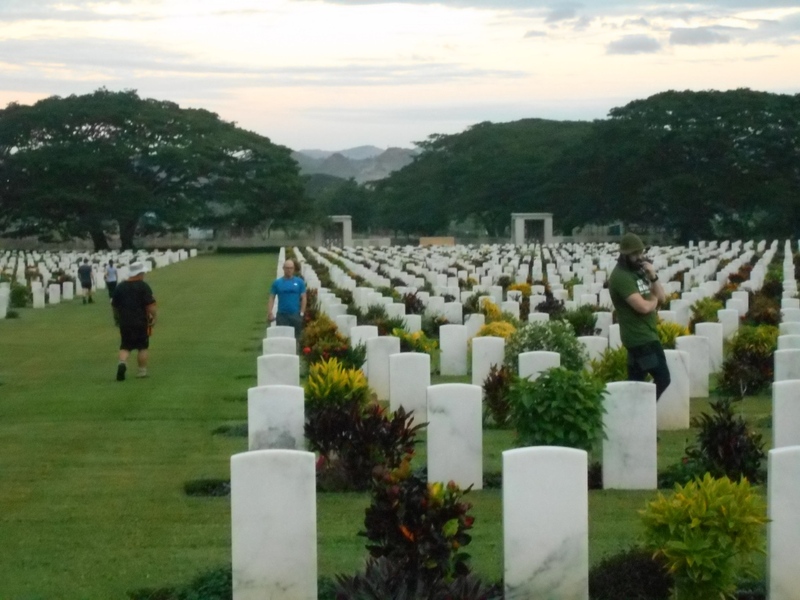 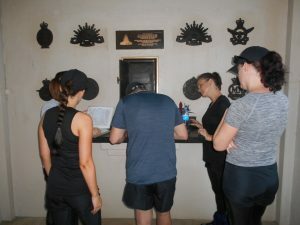 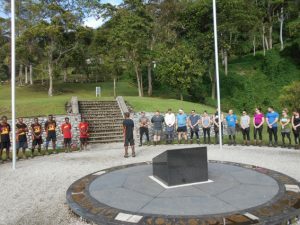 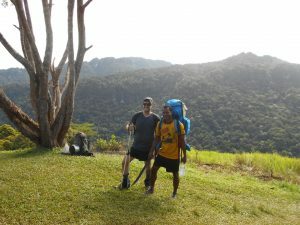 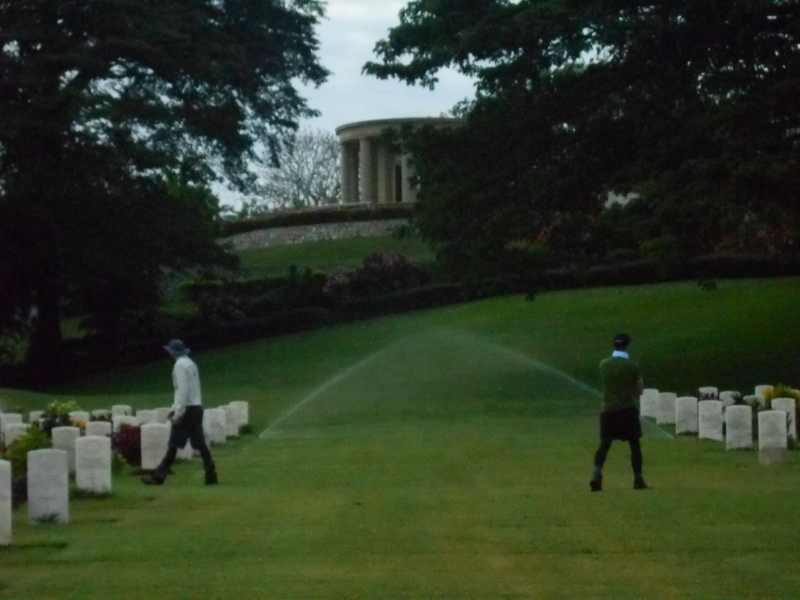 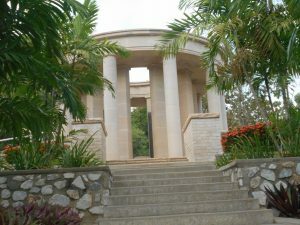 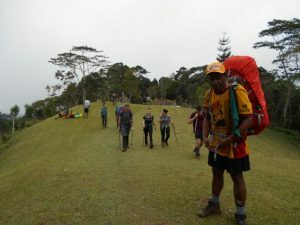 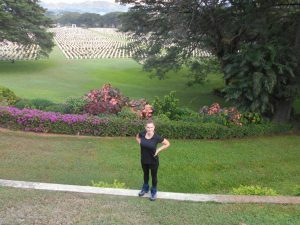 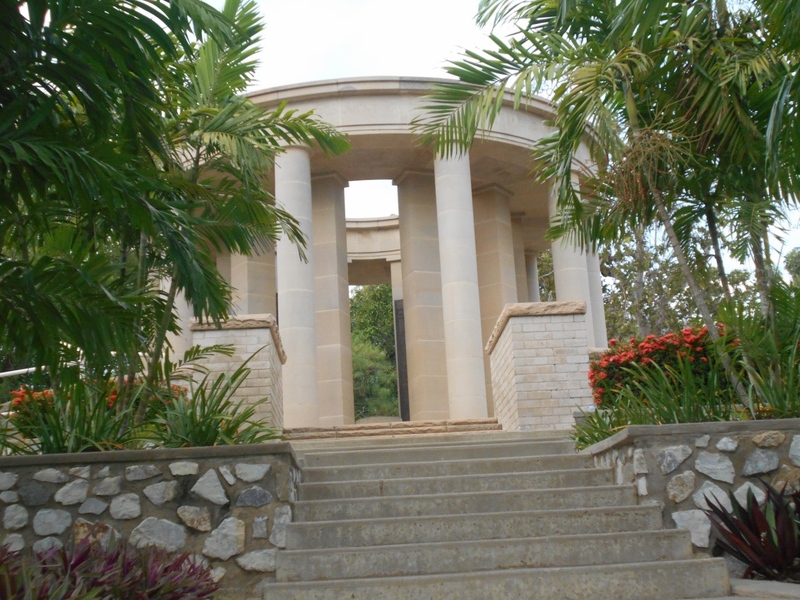 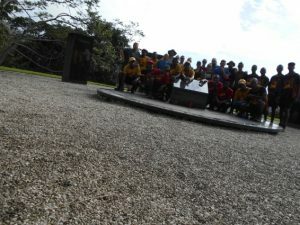 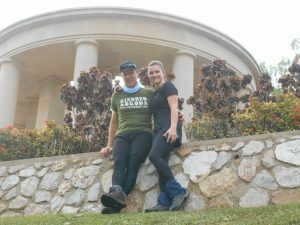 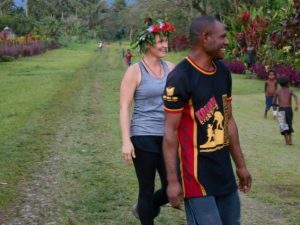 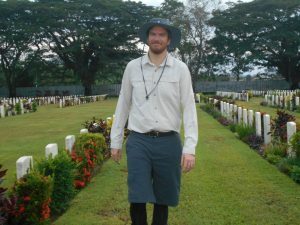 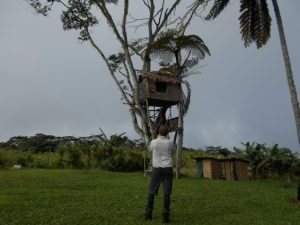 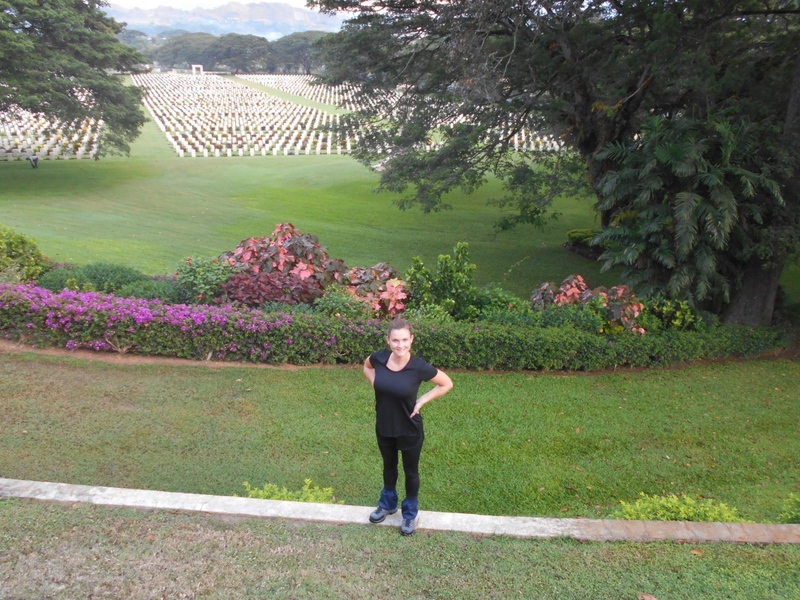 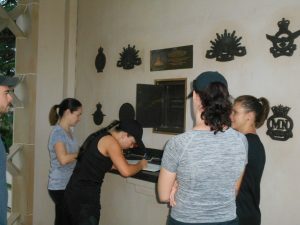 Trek 1114: Pat just called to say they ended up stopping at Alola as the last couple of trekkers arrived after 5pm and too late to move on to the original plan of Isurava Memorial. 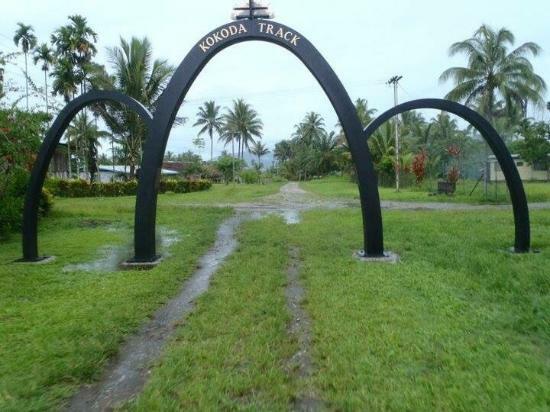 Everyone is so looking forward to walking off the track tomorrow. 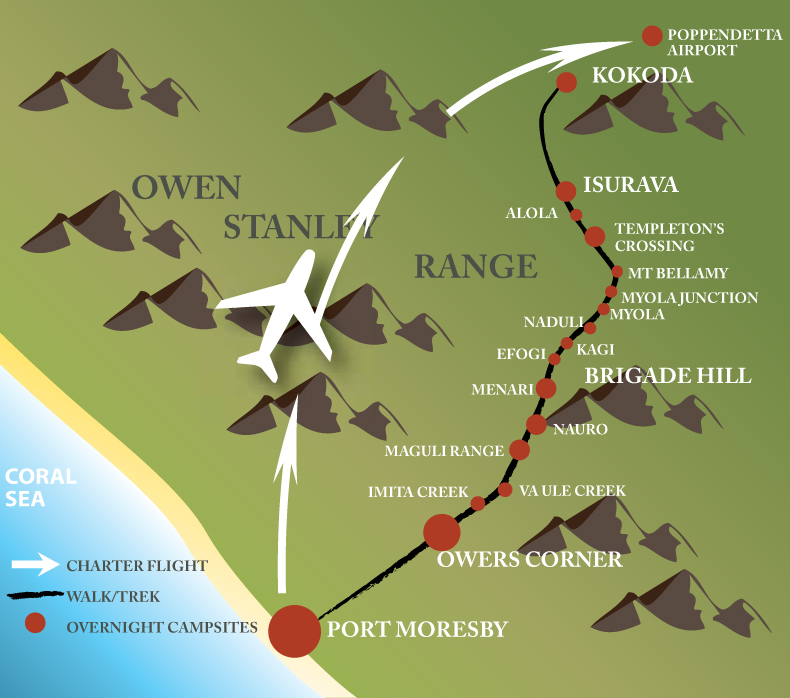 Estimated time at this stage around 4pm. 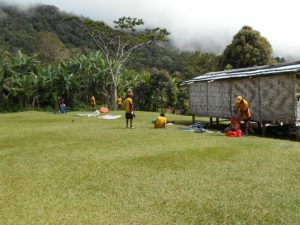 Each day there seems to be a group out the front having arrived in Alola around 2pm this afternoon. 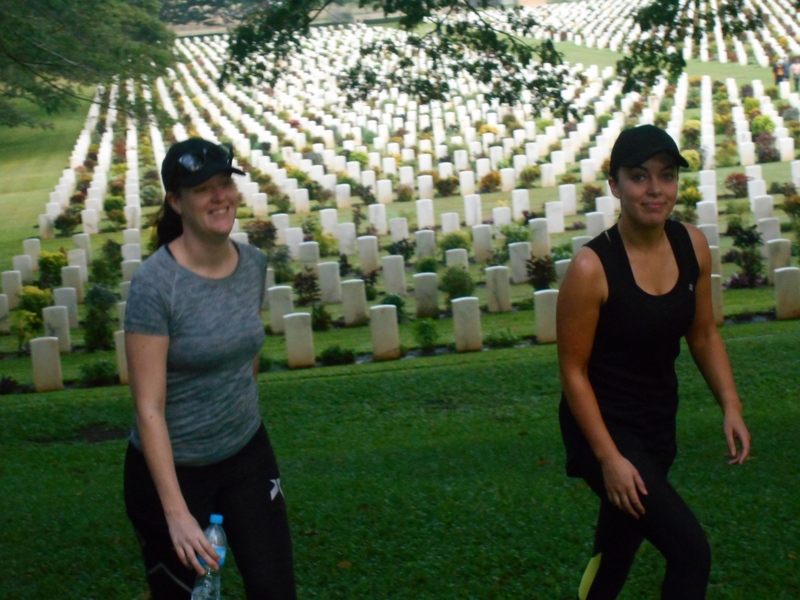 In the middle is Sarah and Dana. With Nick and his brother Daniel at the back along with Joshua hanging with them. 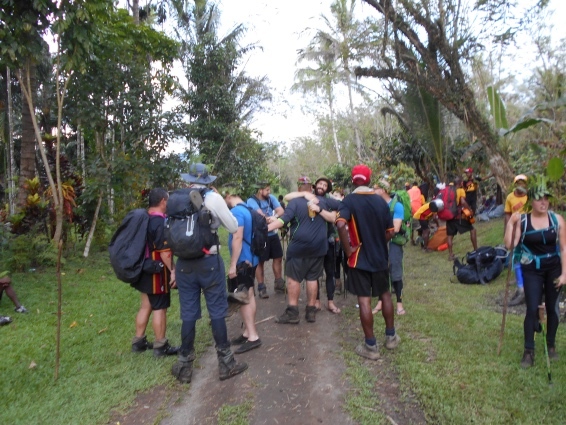 A few blisters here and there but all are ok. Pat has asked for me to text to his sat phone re state of origin tonight updates. 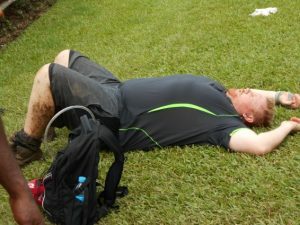 So everytime someone scores a try, guess what I will be doing! 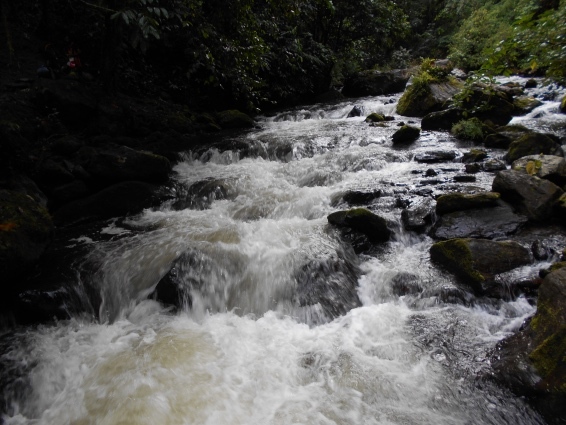 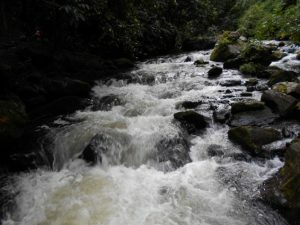 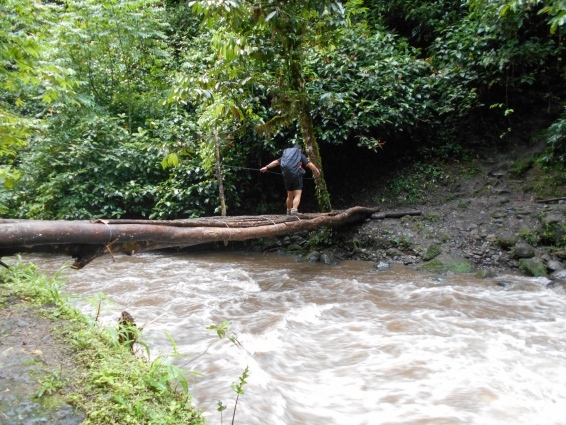 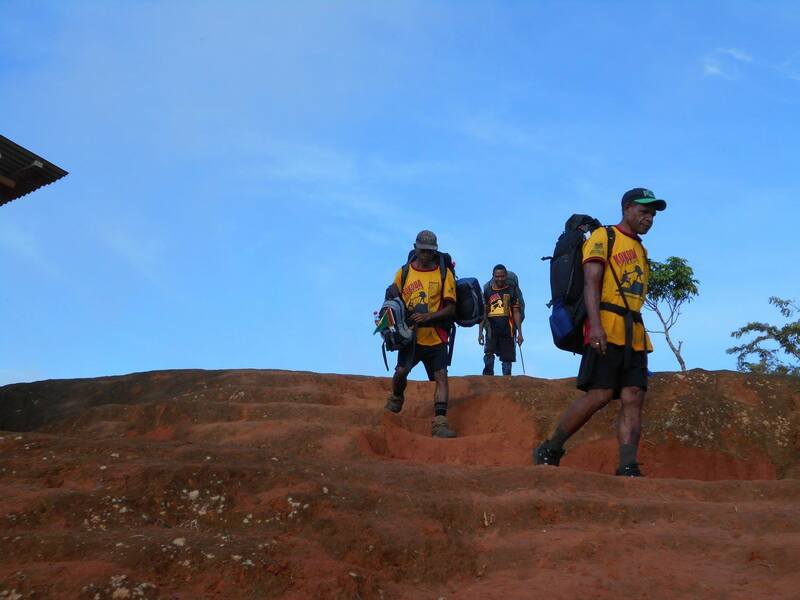 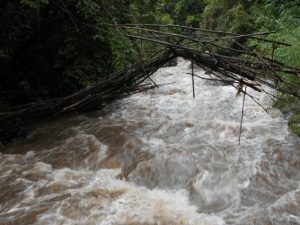 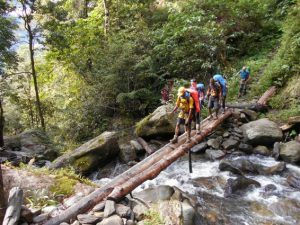 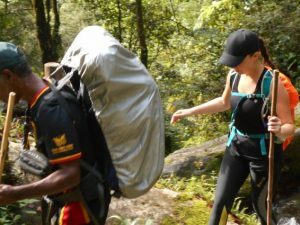 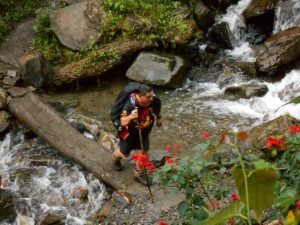 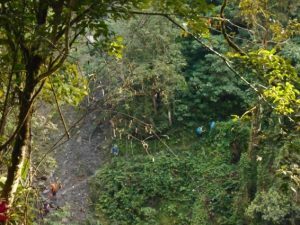 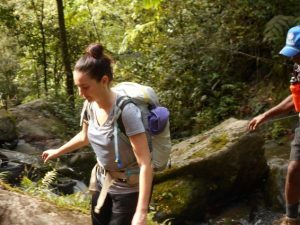 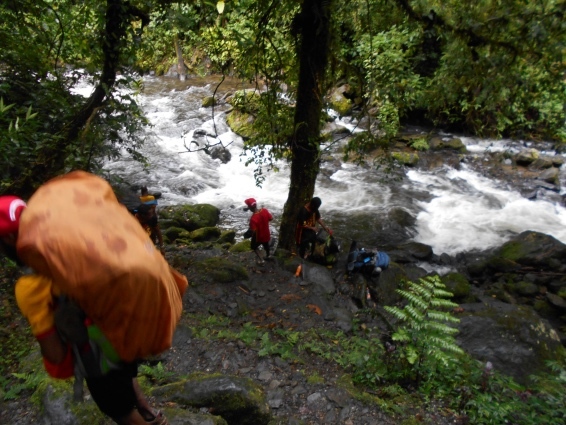 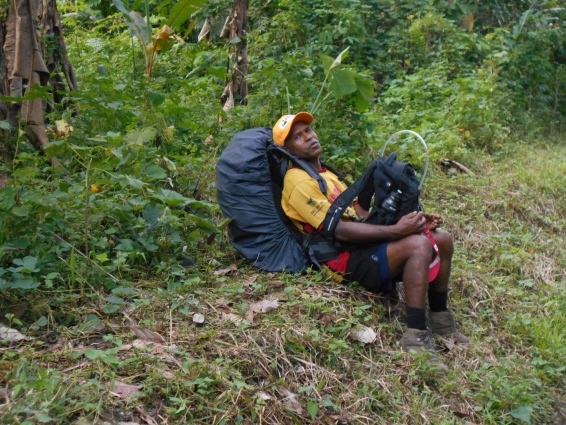 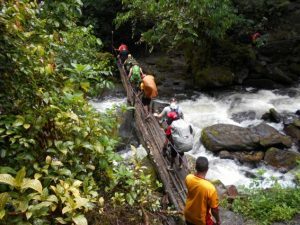 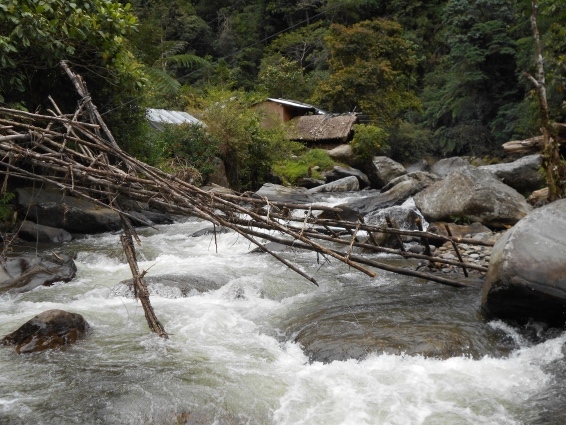 Trekkers will experience live what its like for their porters who cannot watch it on TV like we do back here. They love their NRL. 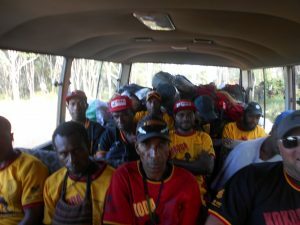 PNGean’s really take State of Origin seriously and just love the game! In places like Port Moresby there will be arguments over who won and a few fights based on the results. 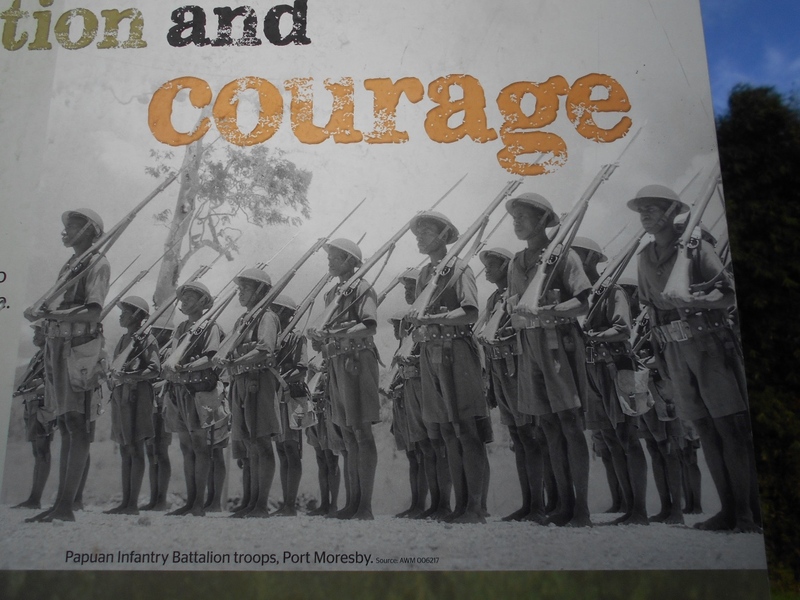 GO QLD. 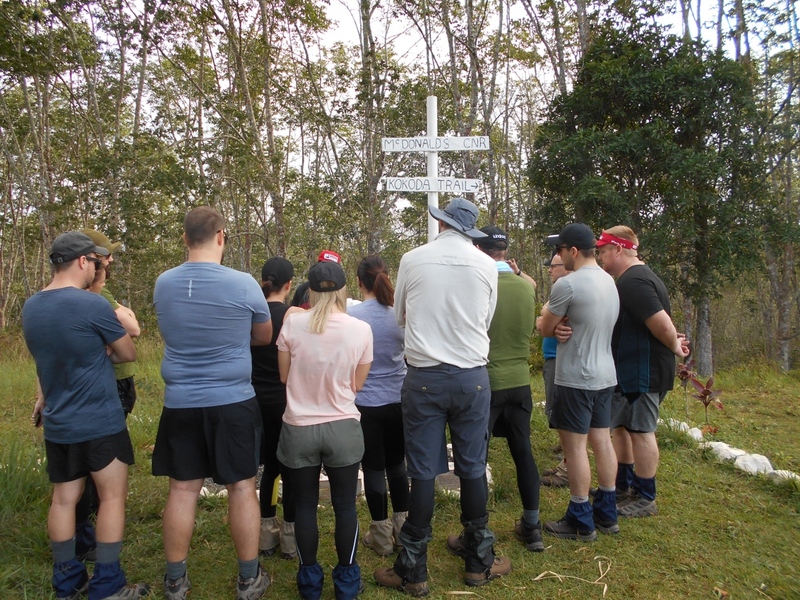 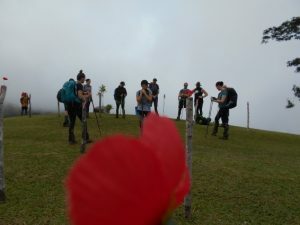 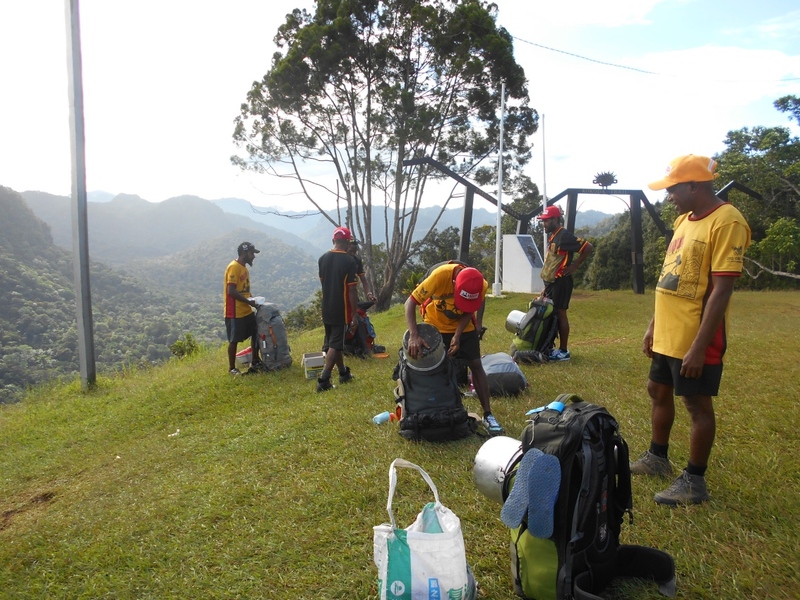 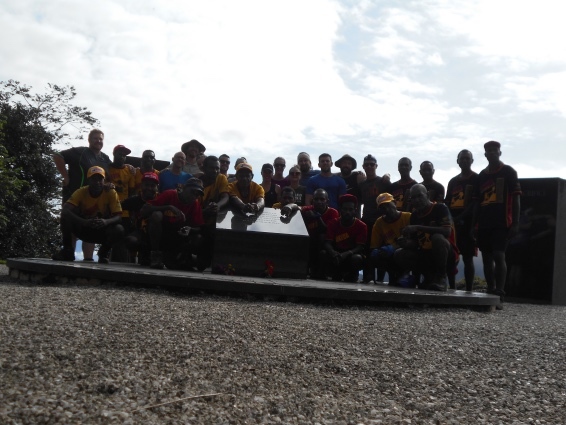 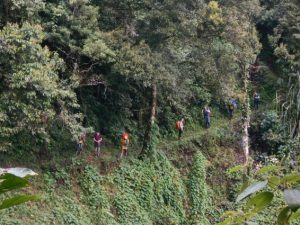 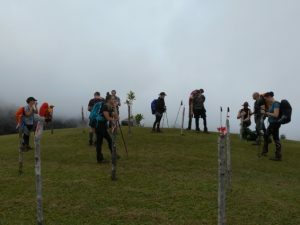 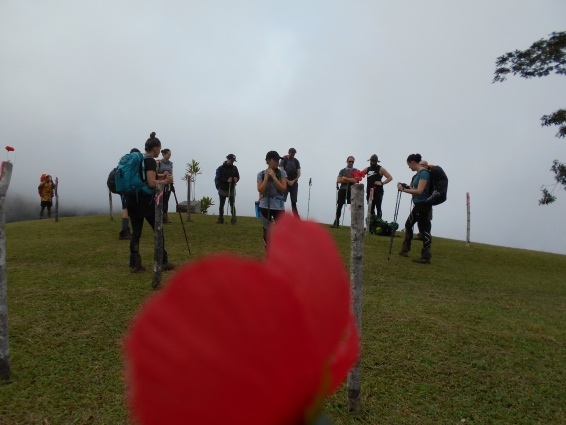 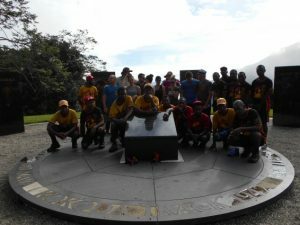 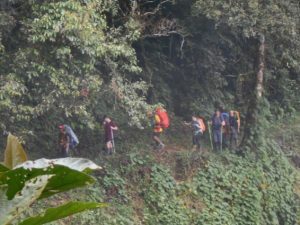 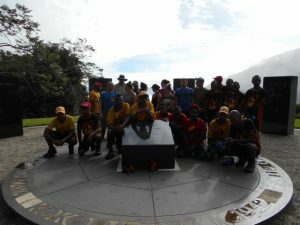 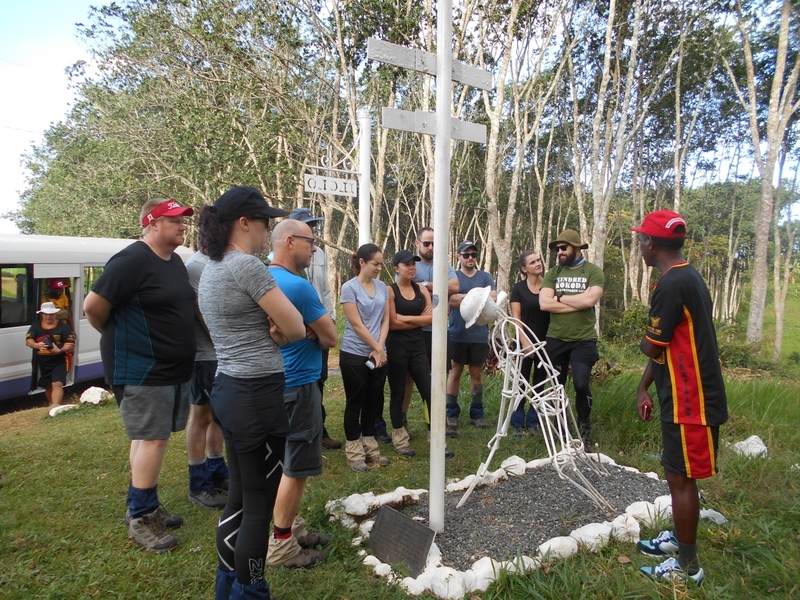 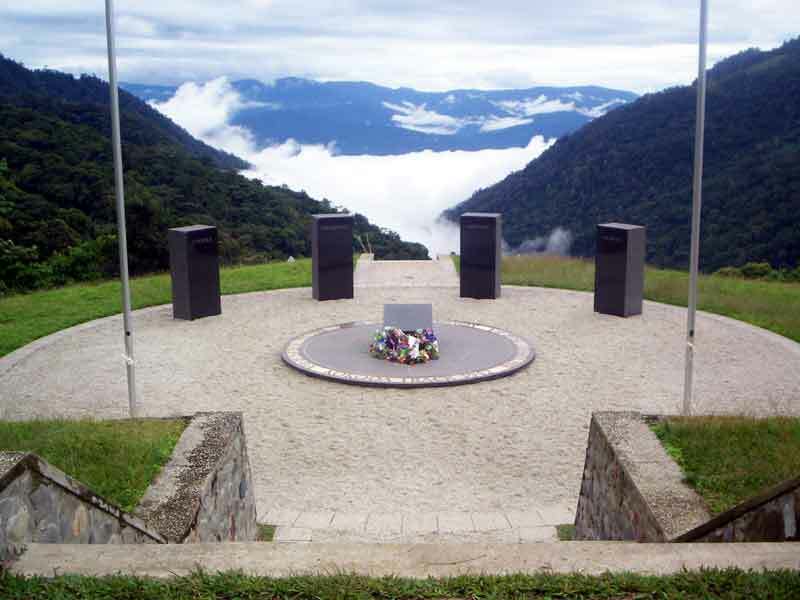 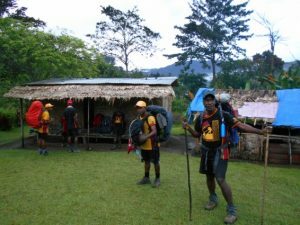 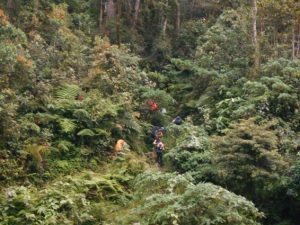 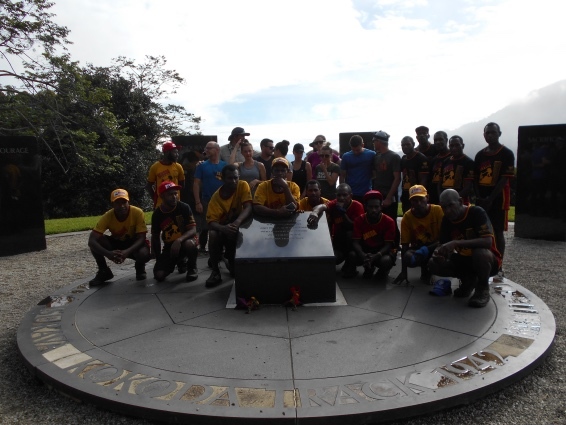 Trek 1114: This group have now reached Isurava Memorial area where they will hold a service before heading down off the mountain. 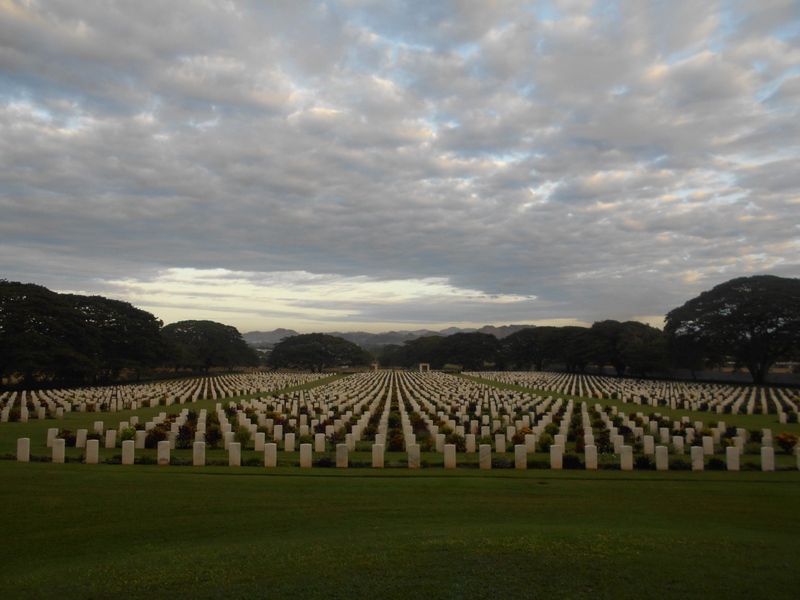 Think of them today as they make their way towards the finish line after paying their respects at Isurava. 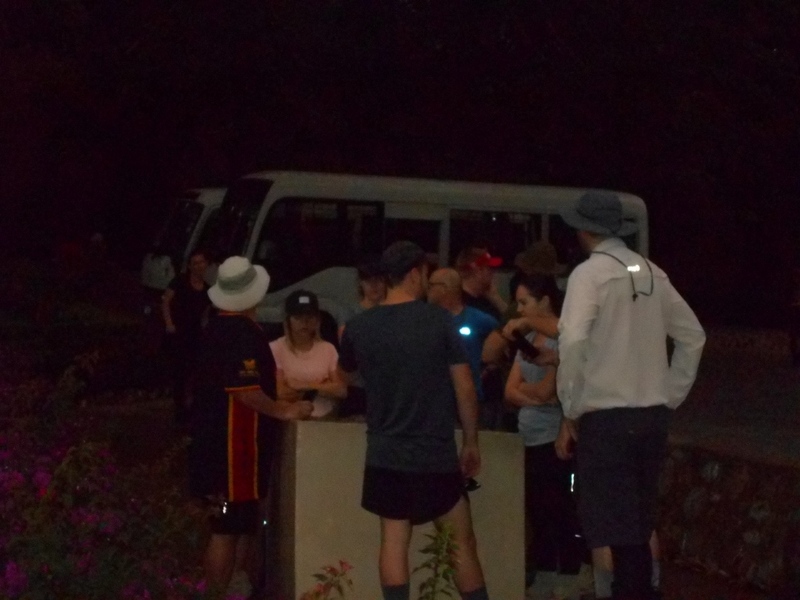 Trek 1114: Congratulations to everyone for successfully completing your trek around 5pm this afternoon. 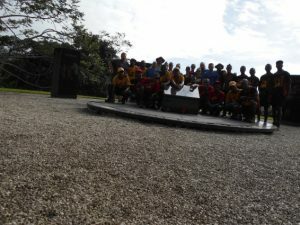 I just spoke to Pat about an hour ago and he said everyone was happy with their achievement. 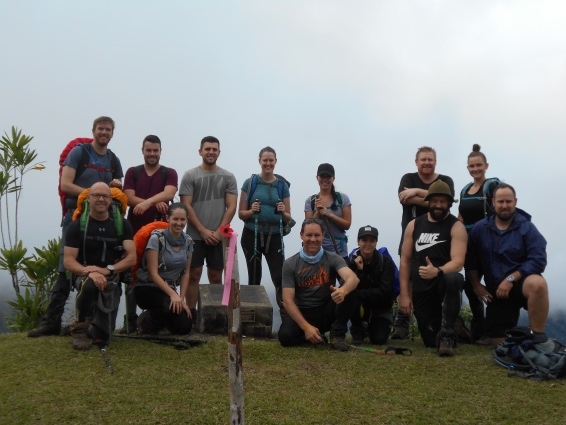 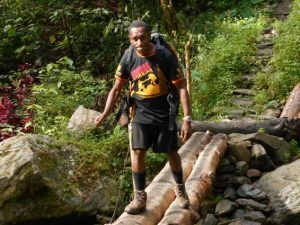 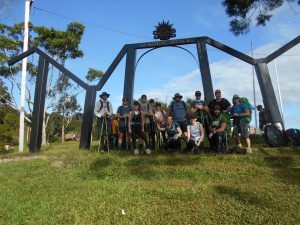 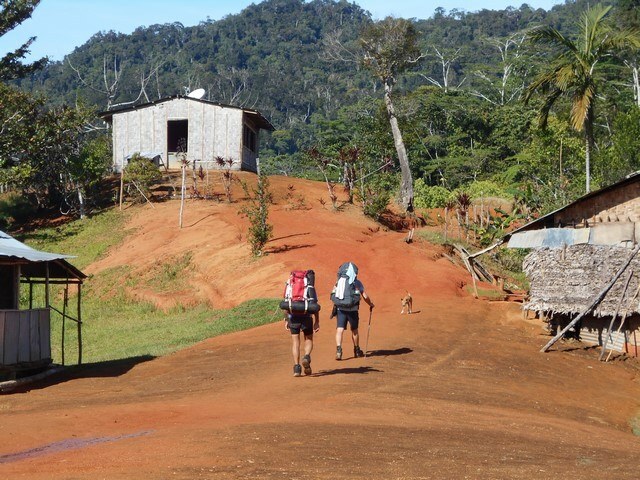 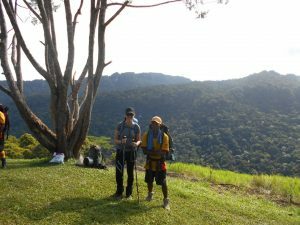 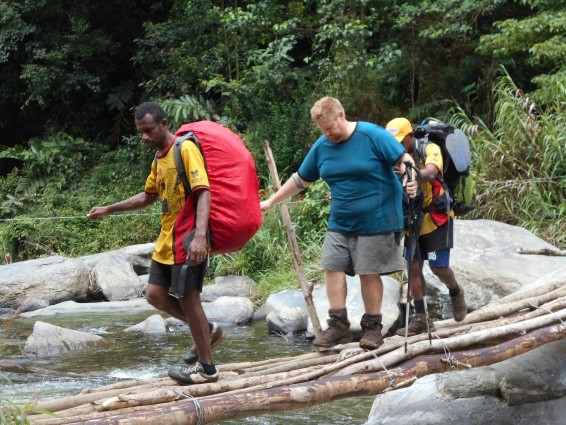 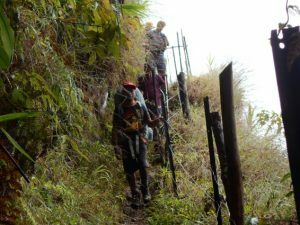 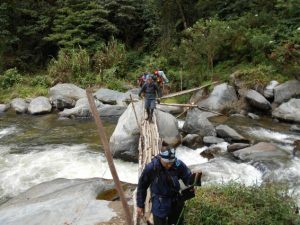 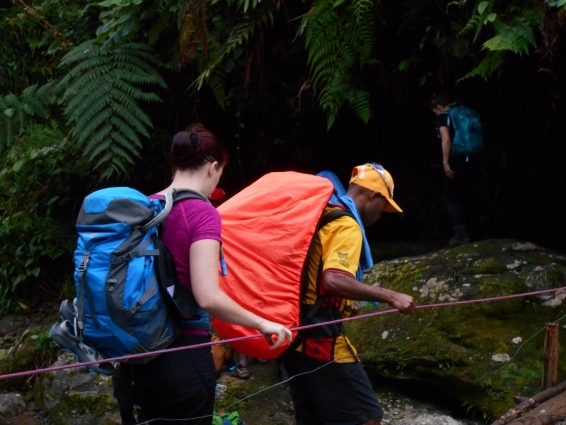 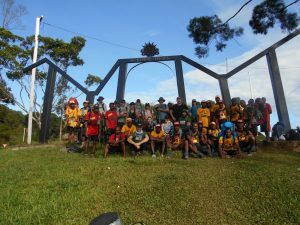 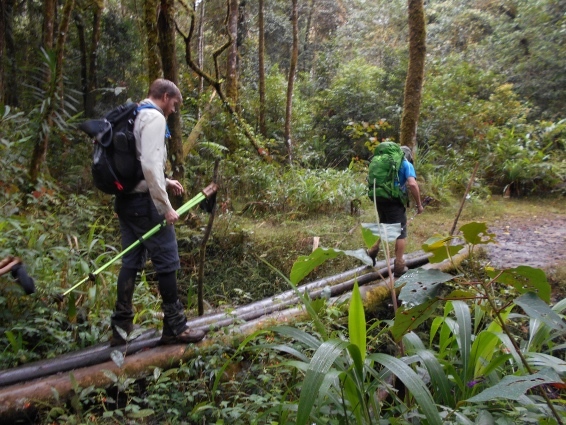 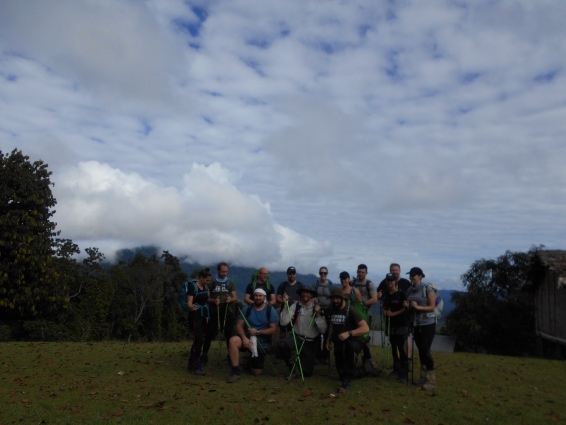 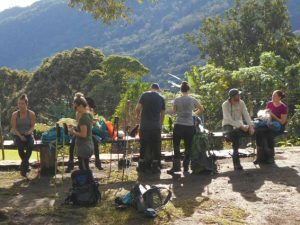 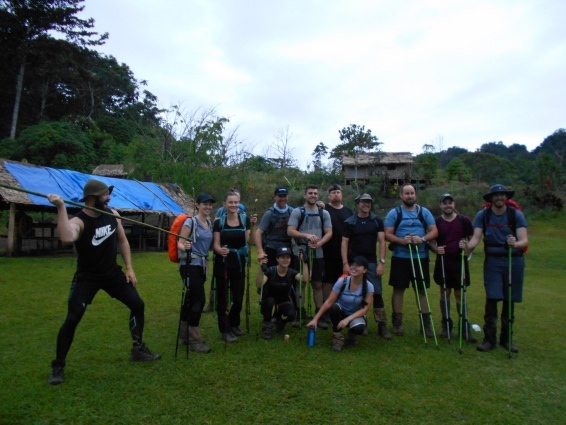 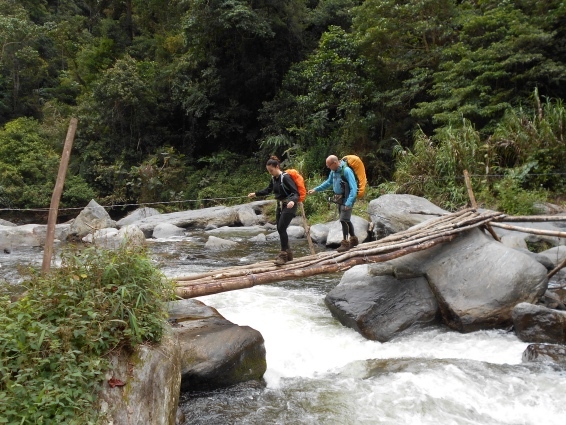 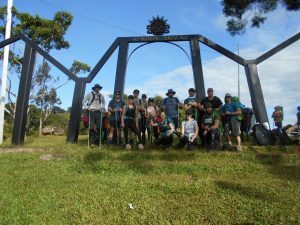 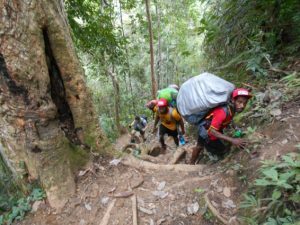 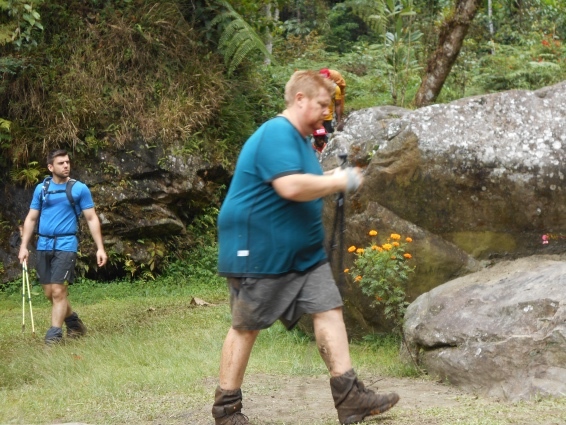 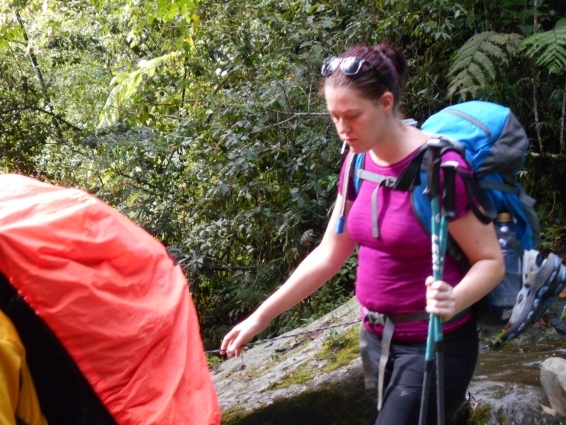 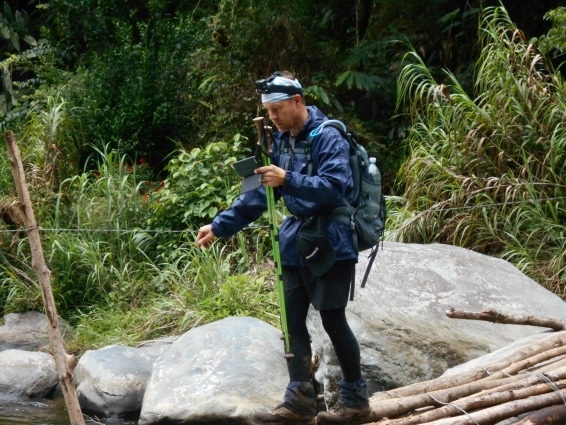 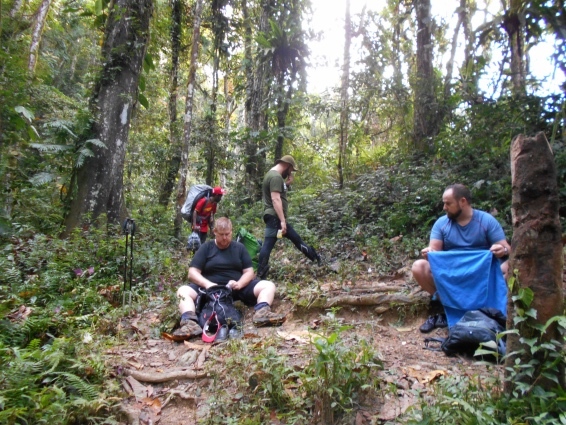 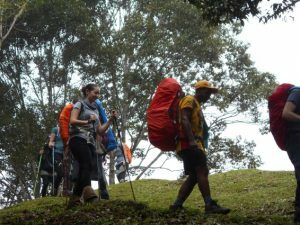 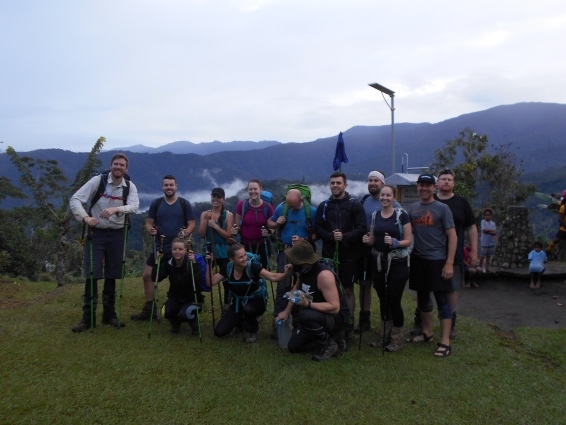 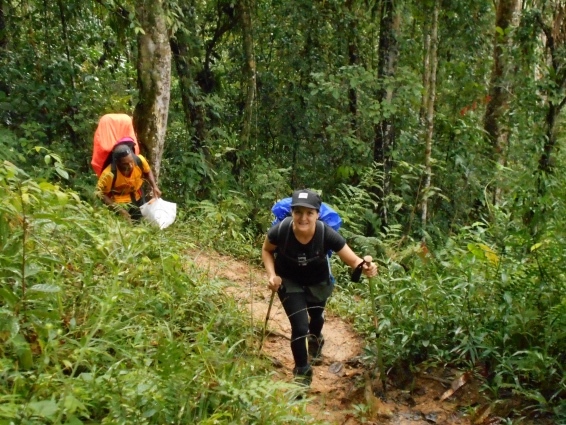 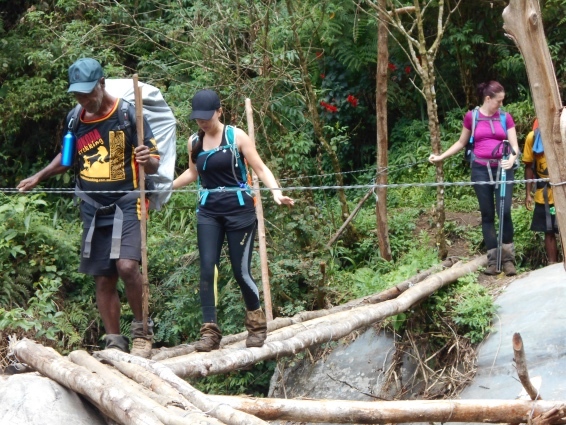 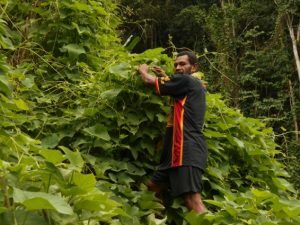 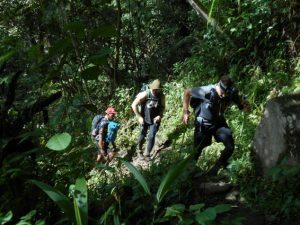 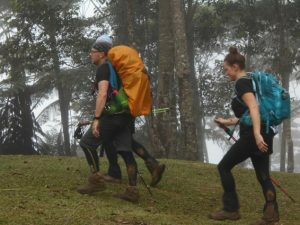 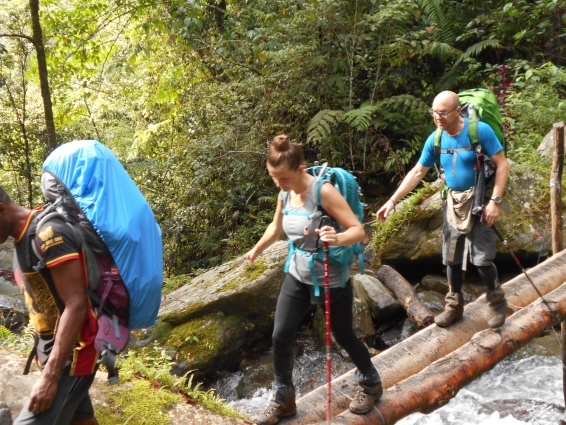 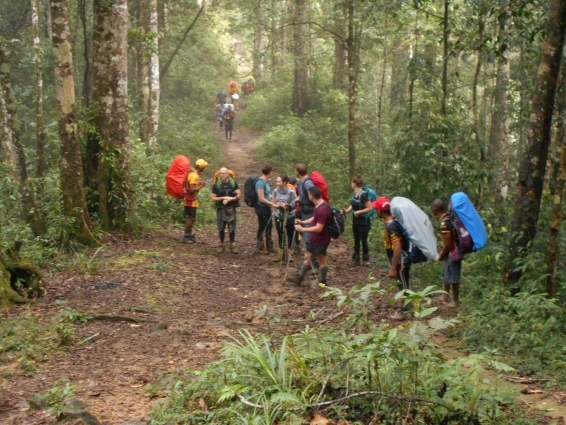 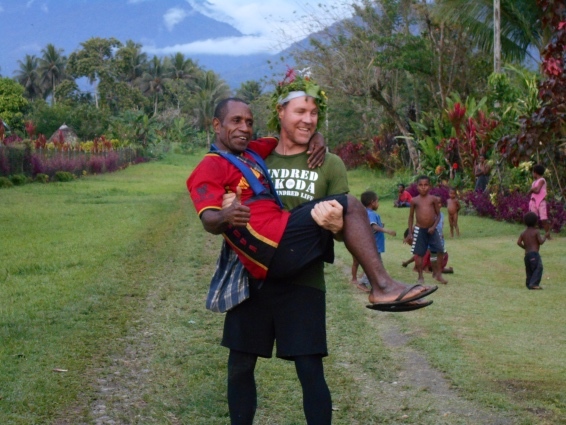 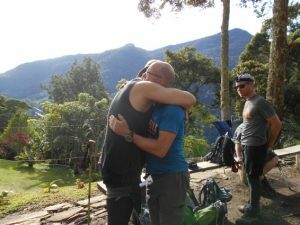 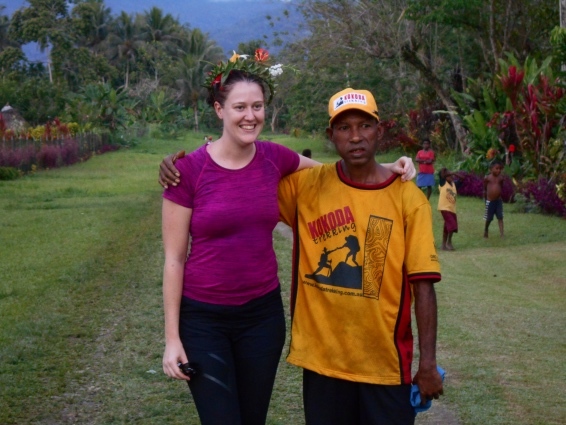 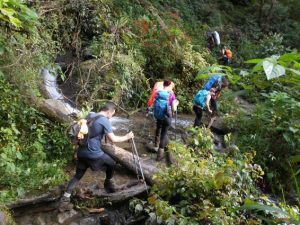 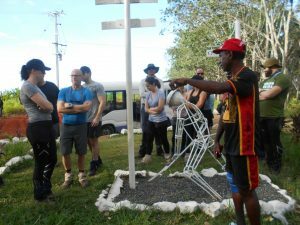 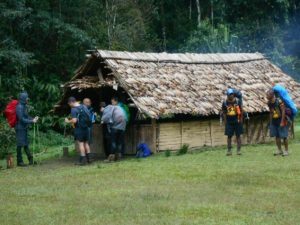 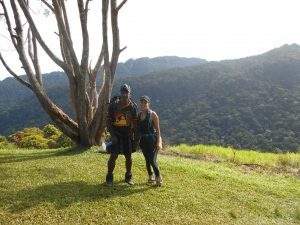 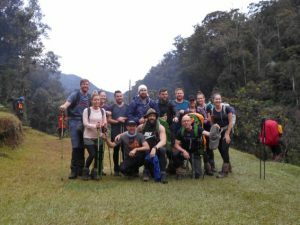 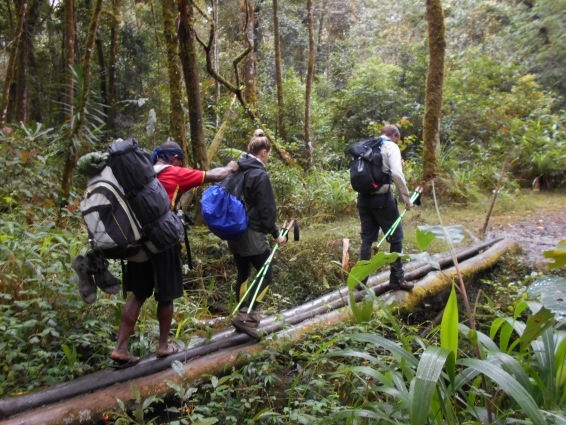 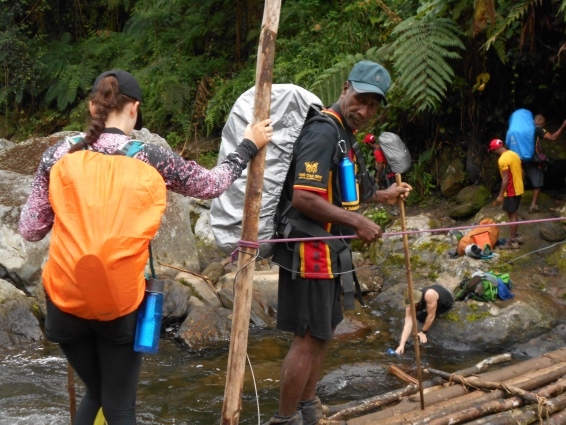 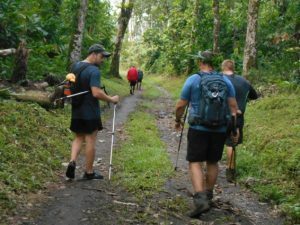 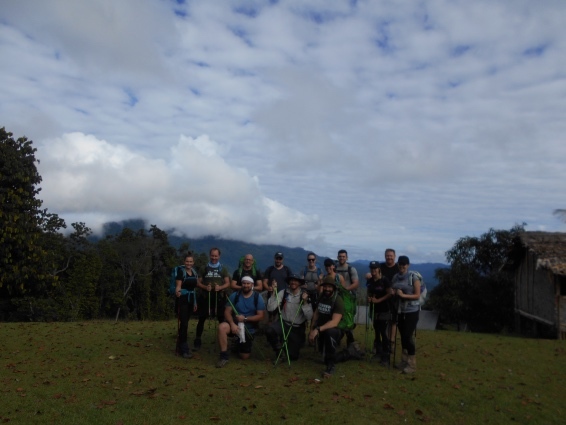 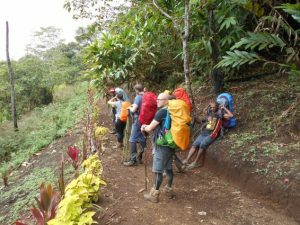 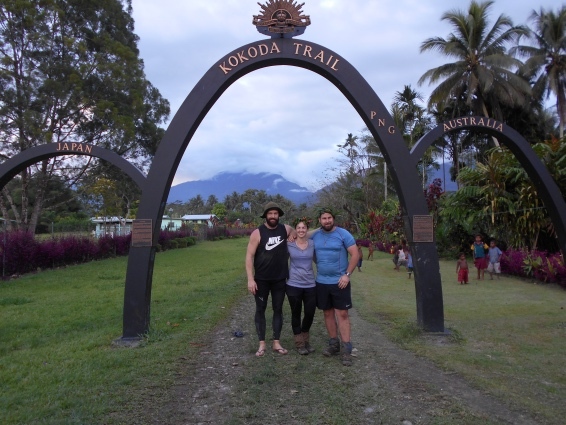 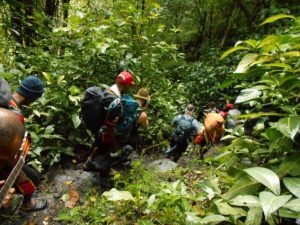 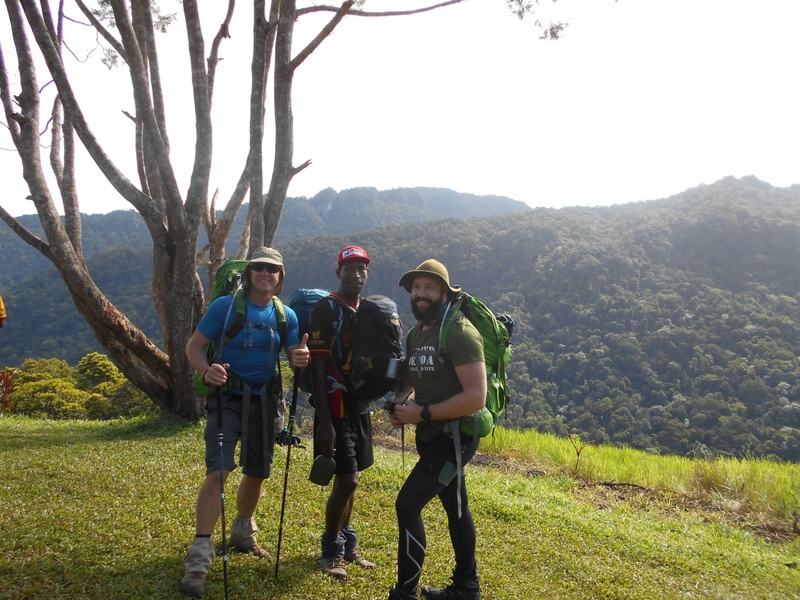 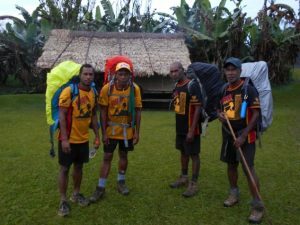 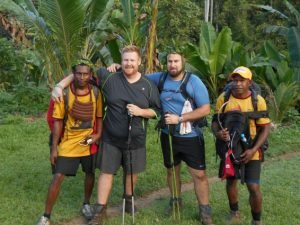 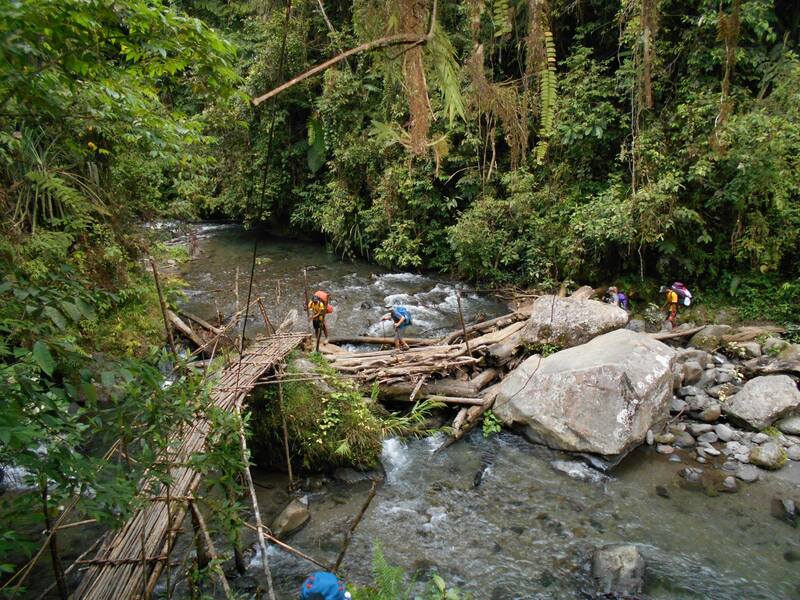 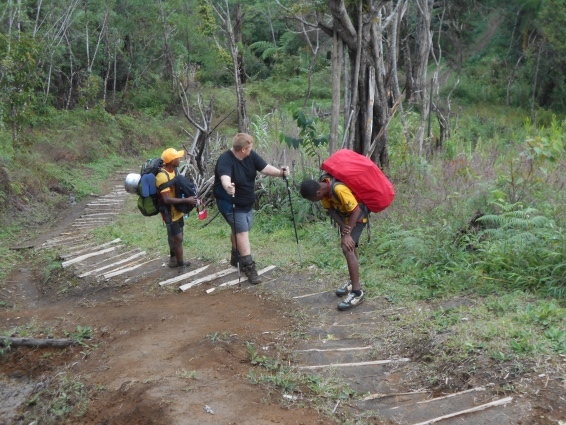 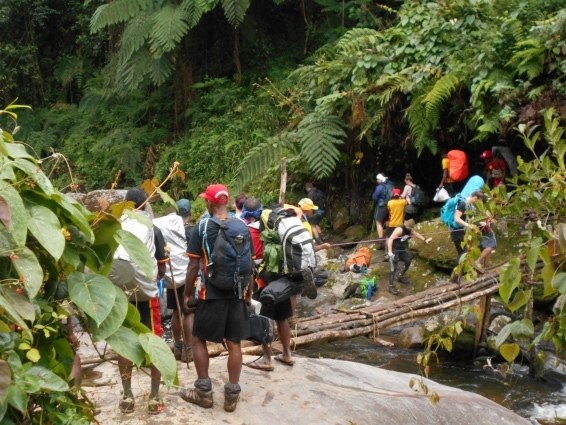 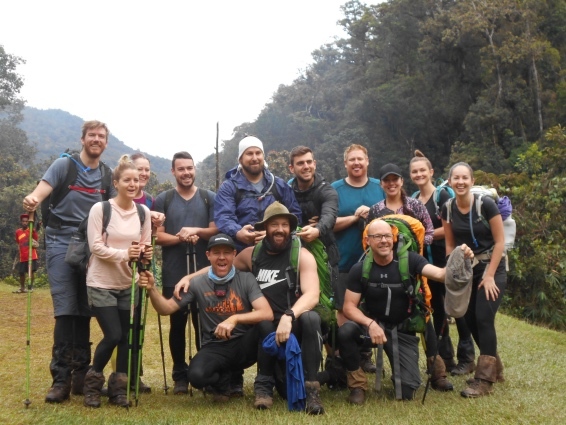 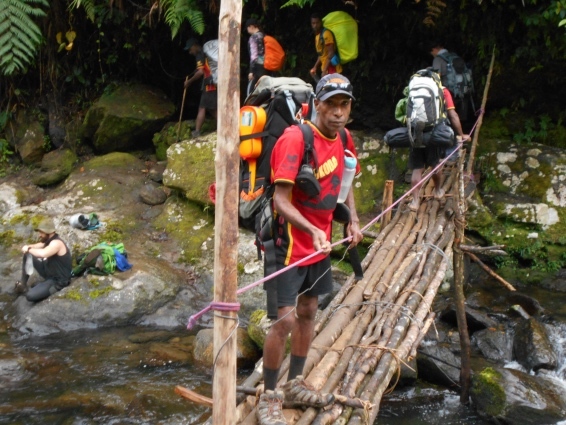 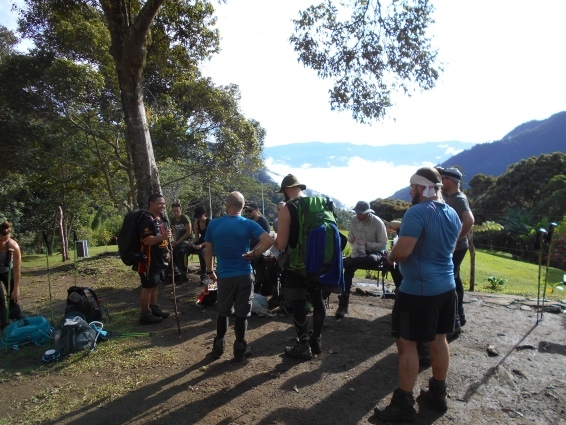 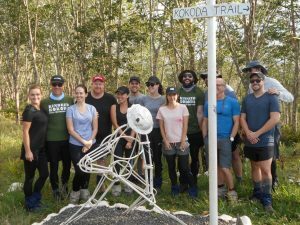 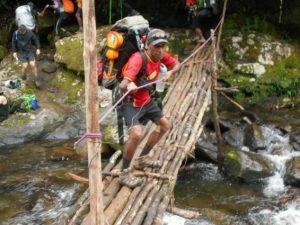 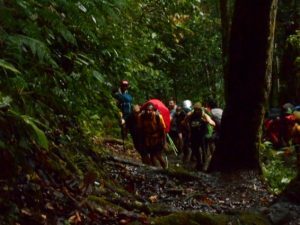 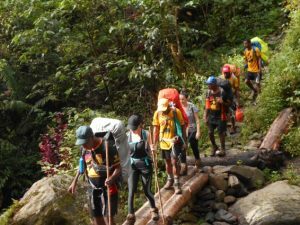 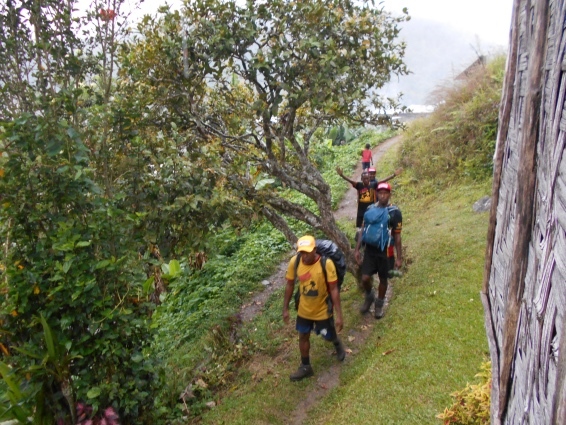 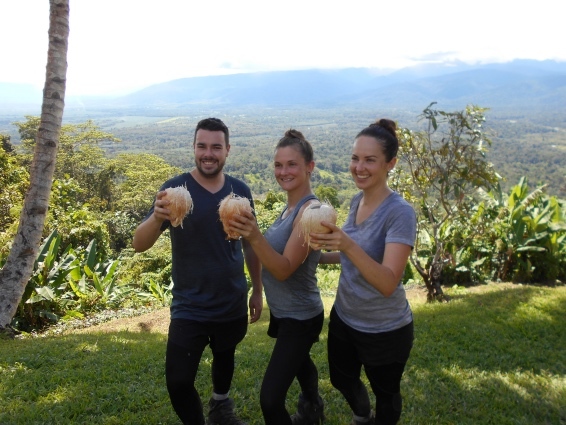 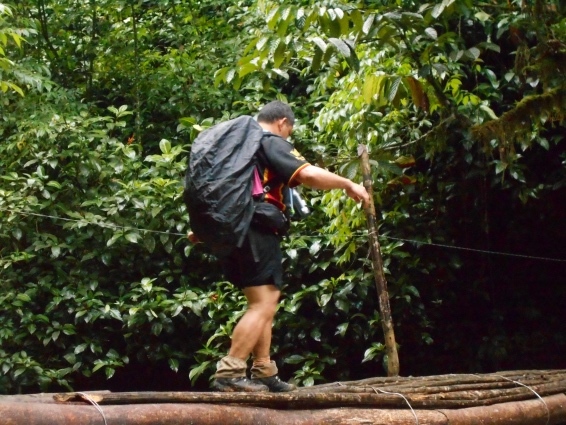 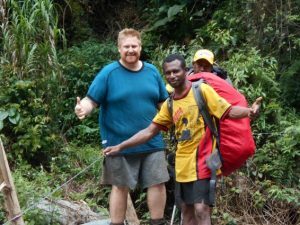 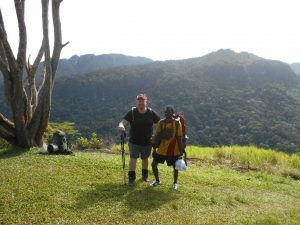 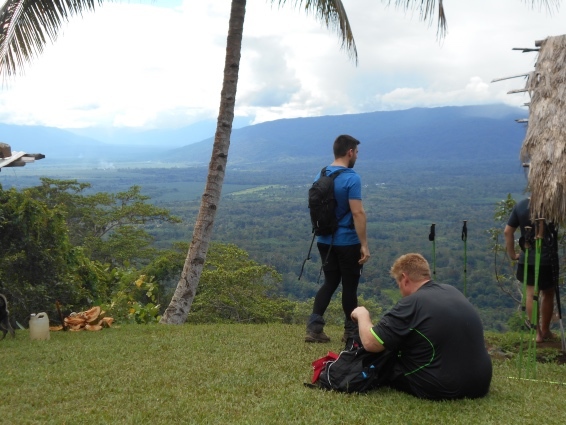 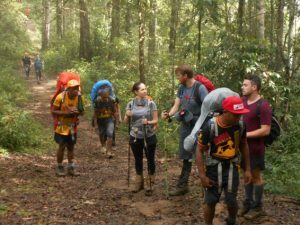 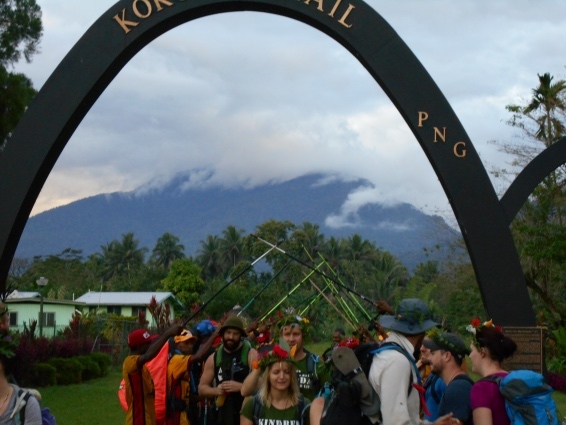 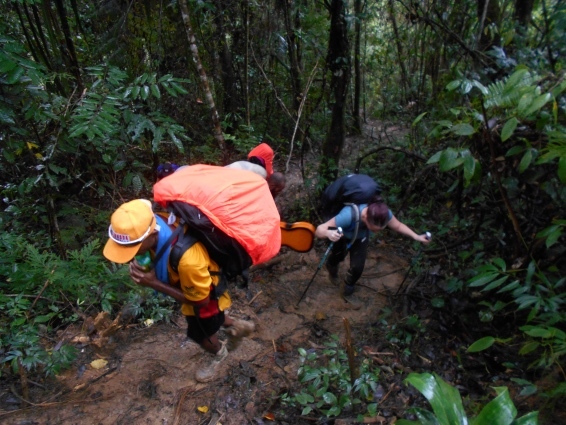 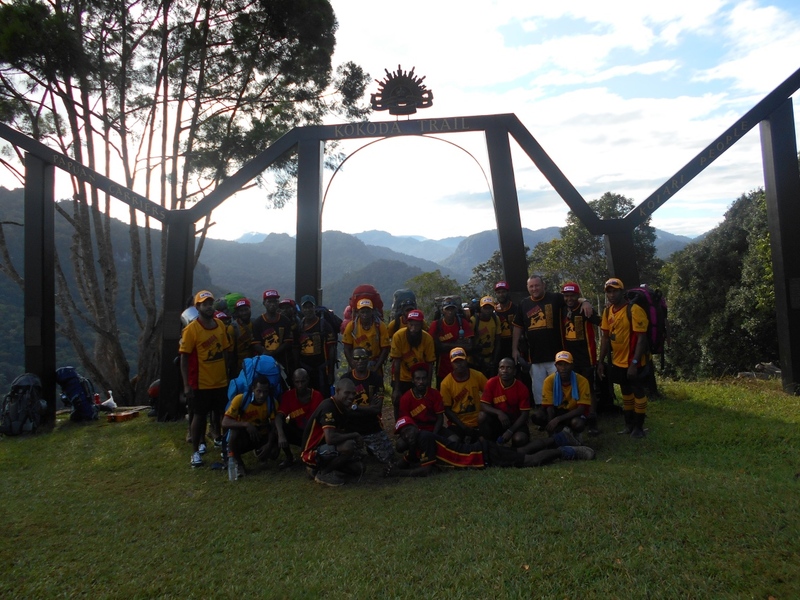 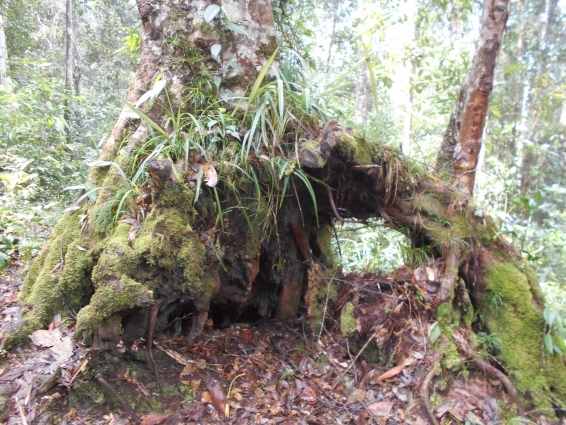 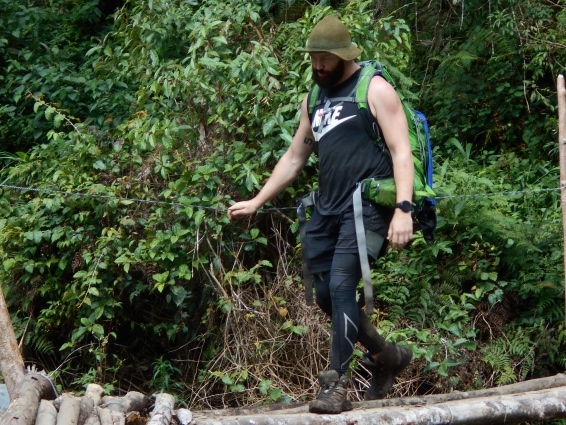 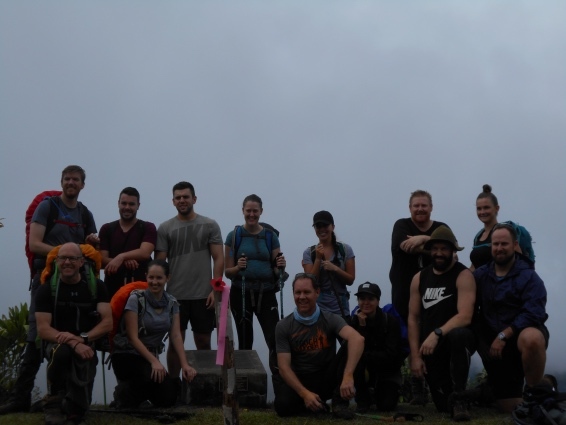 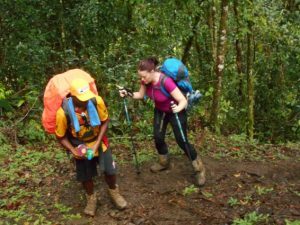 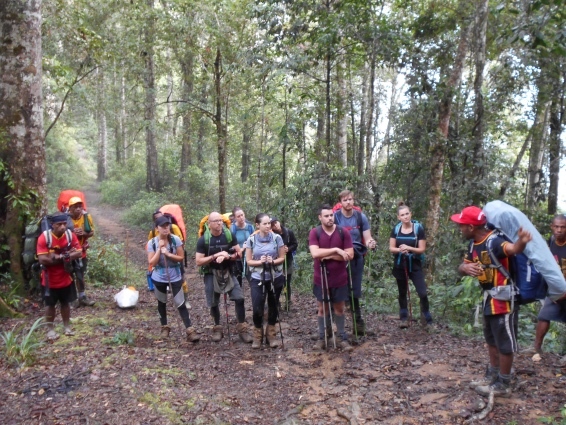 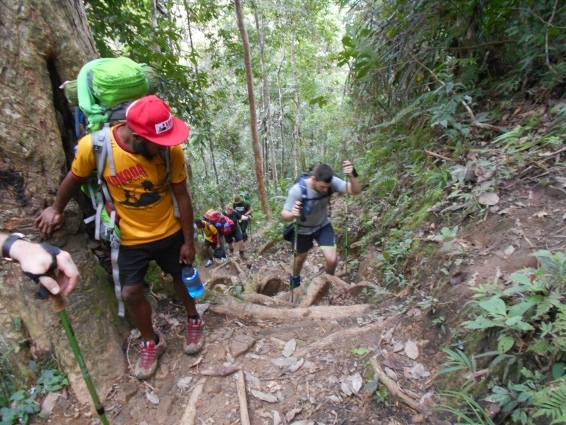 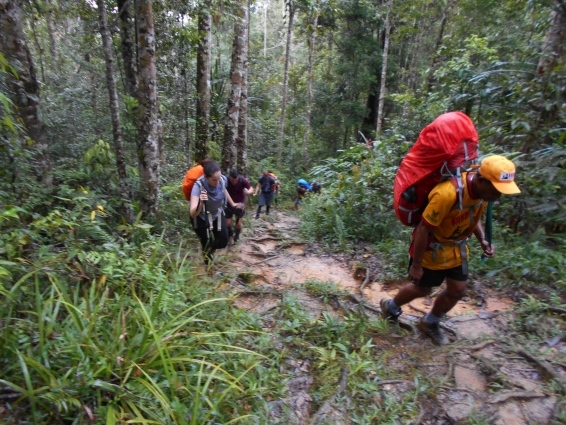 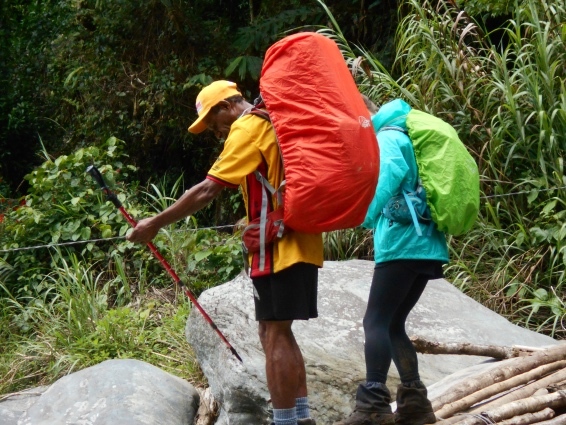 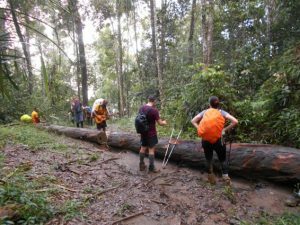 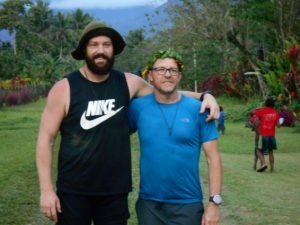 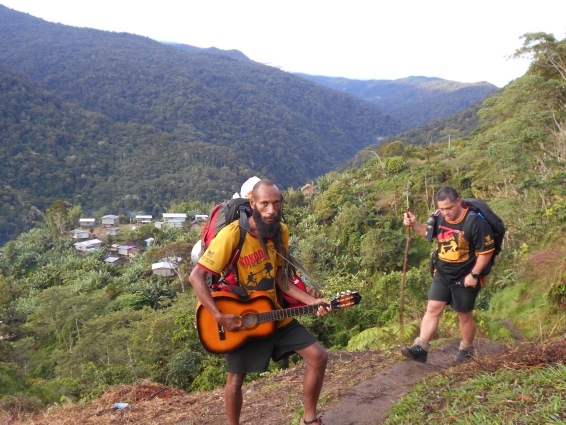 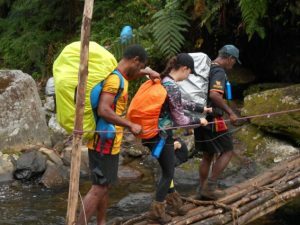 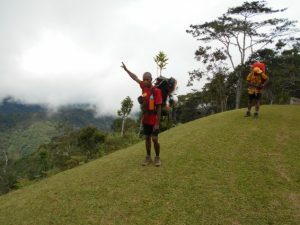 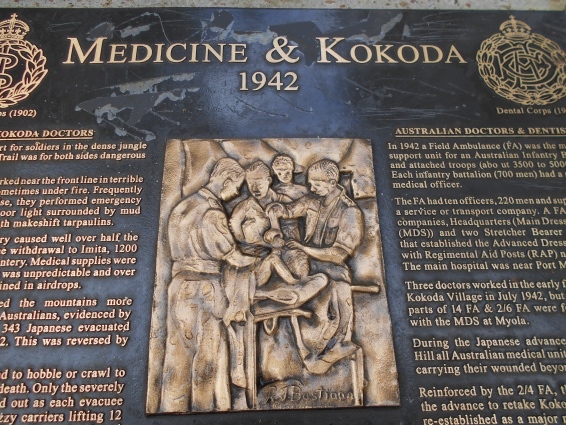 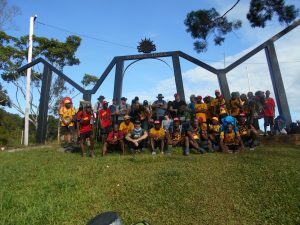 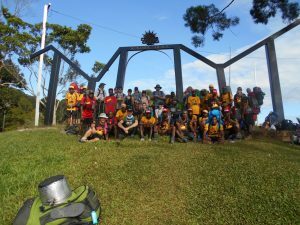 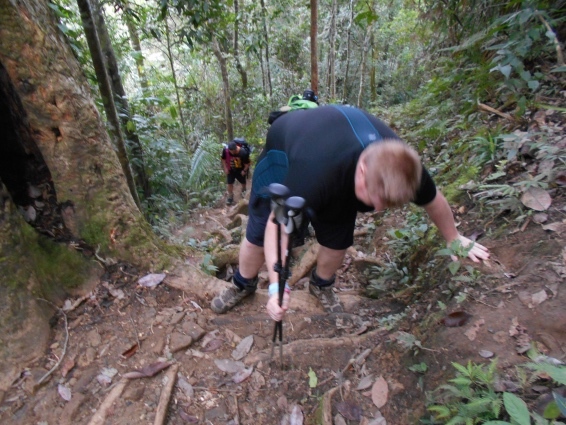 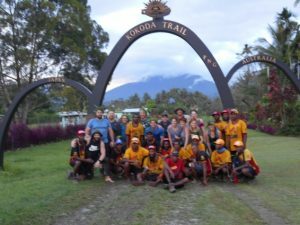 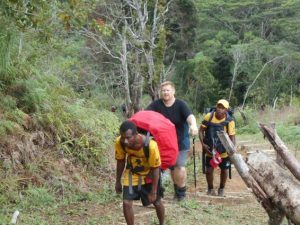 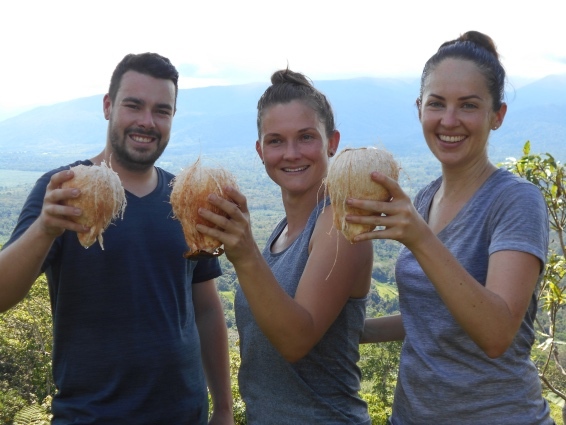 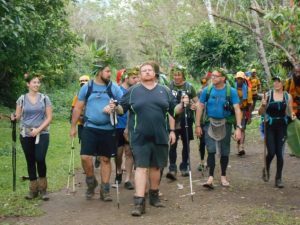 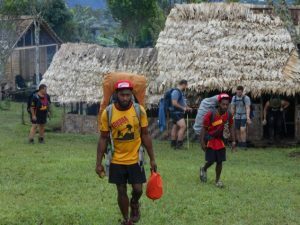 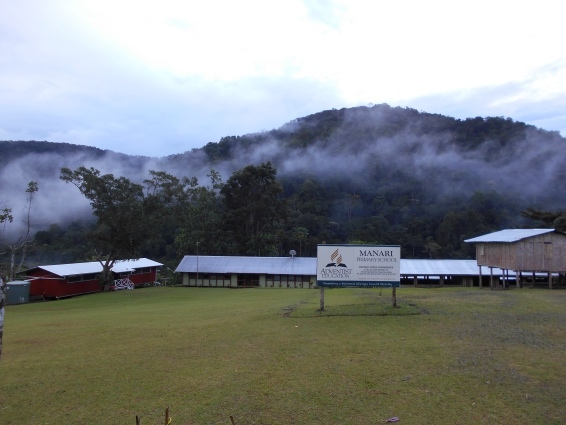 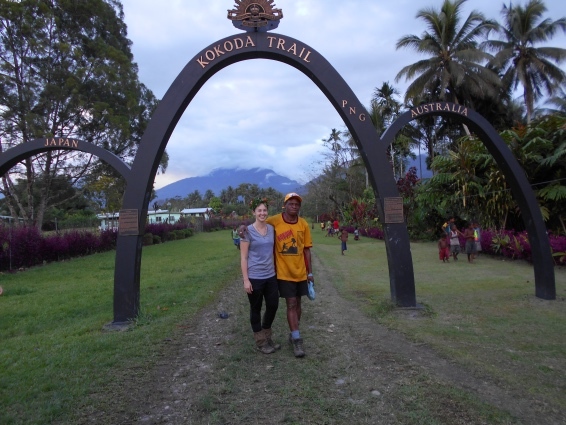 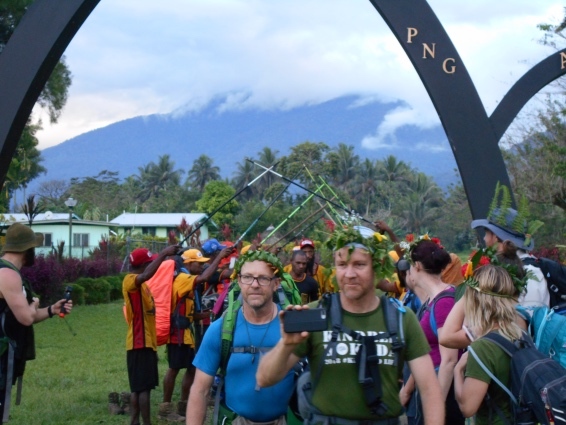 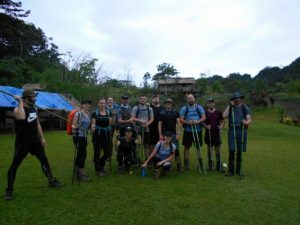 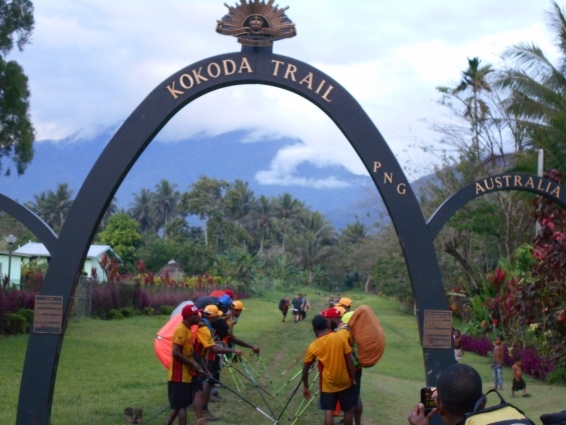 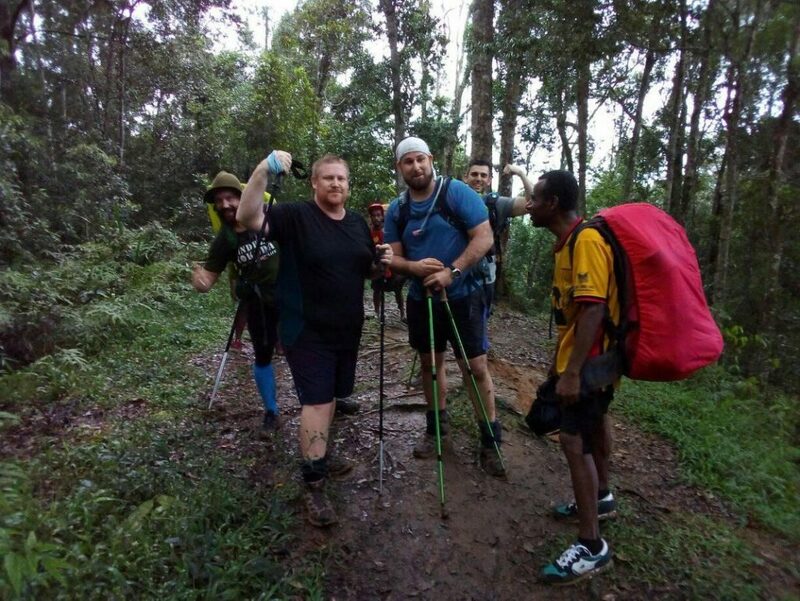 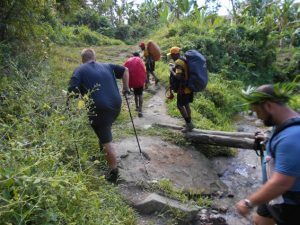 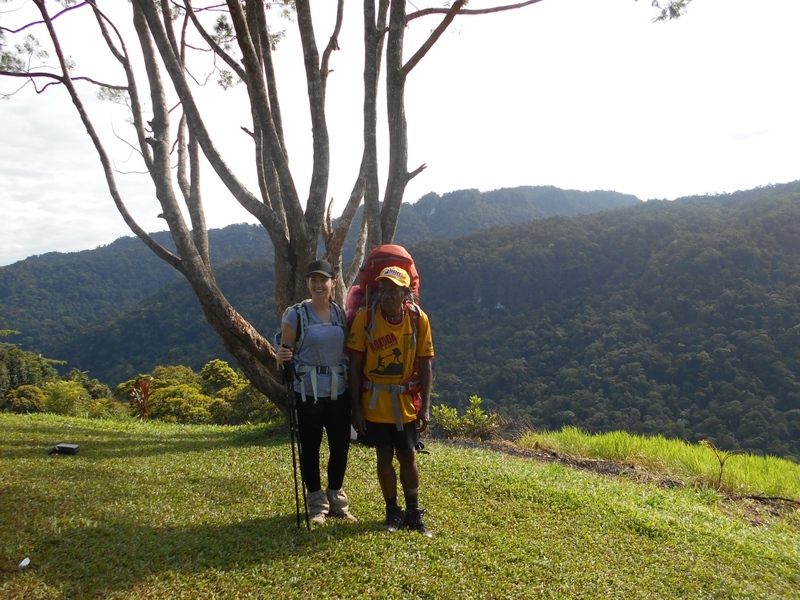 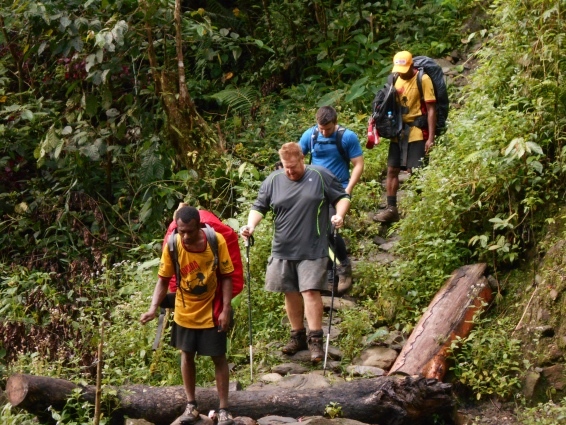 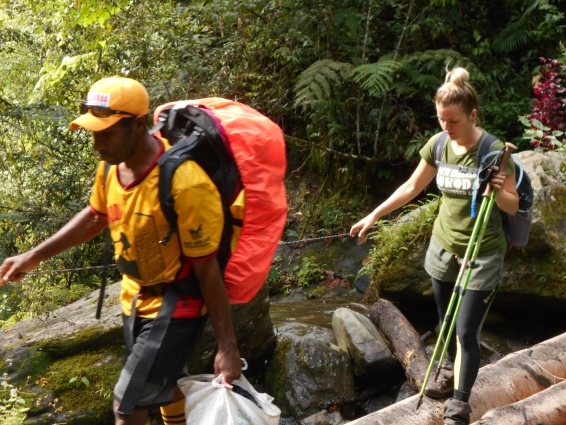 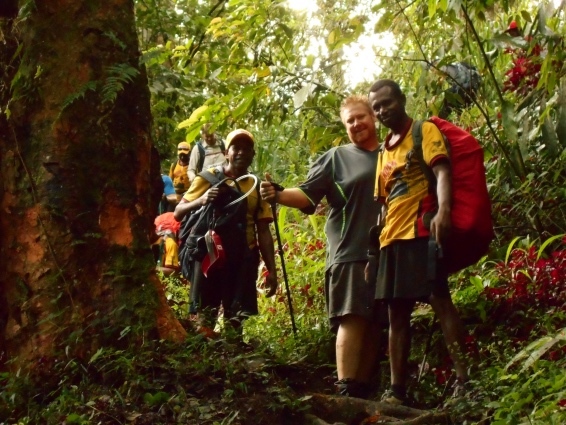 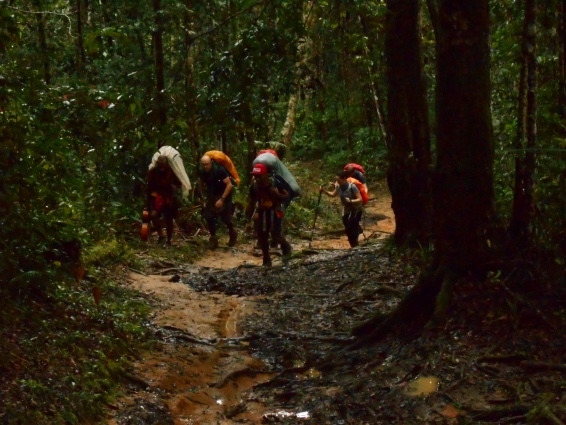 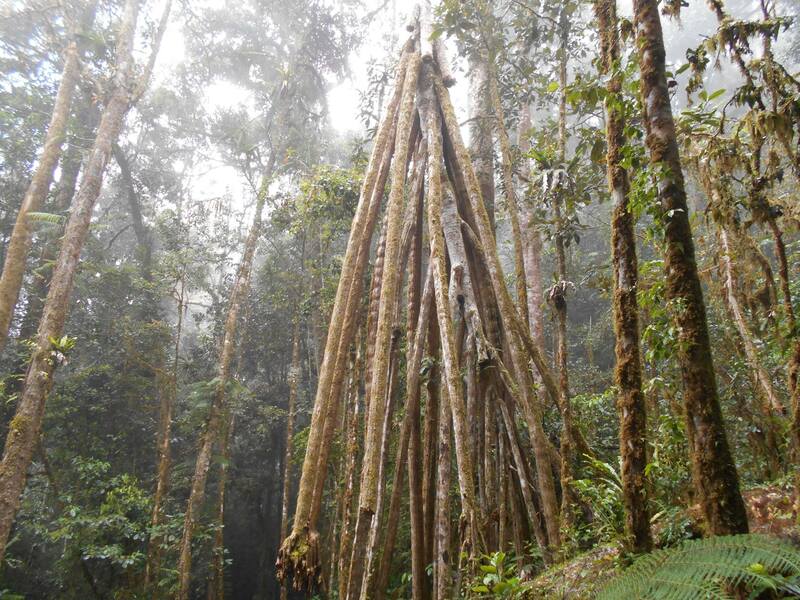 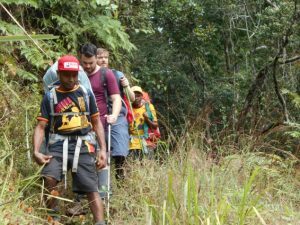 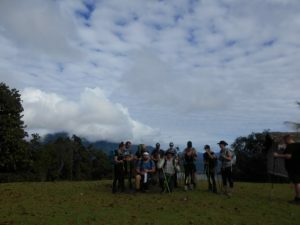 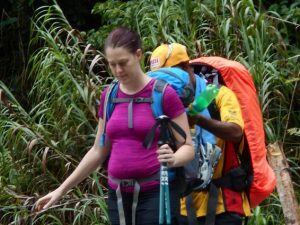 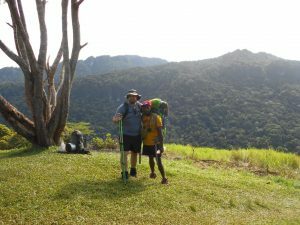 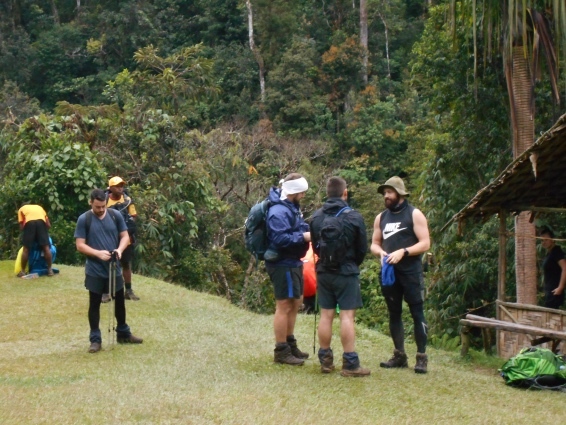 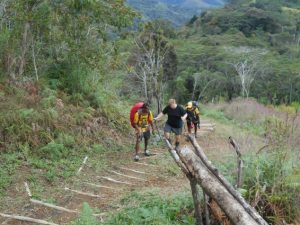 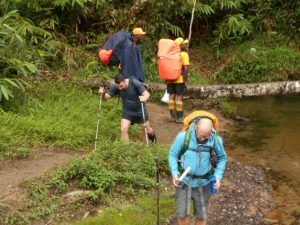 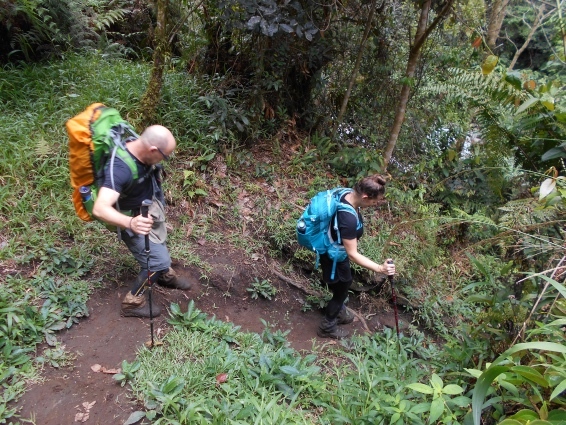 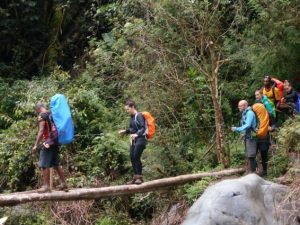 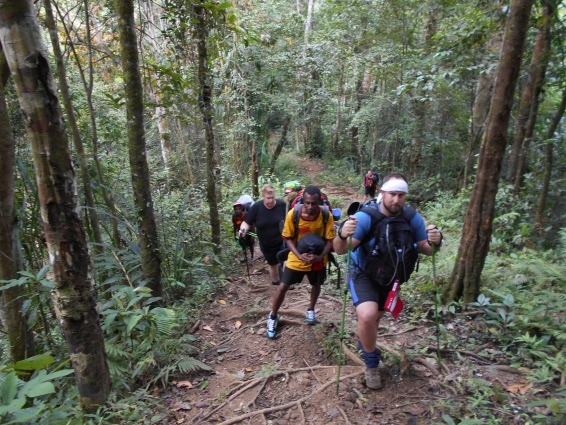 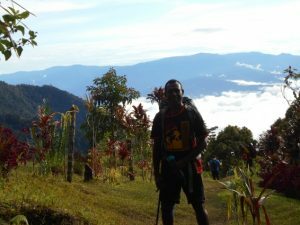 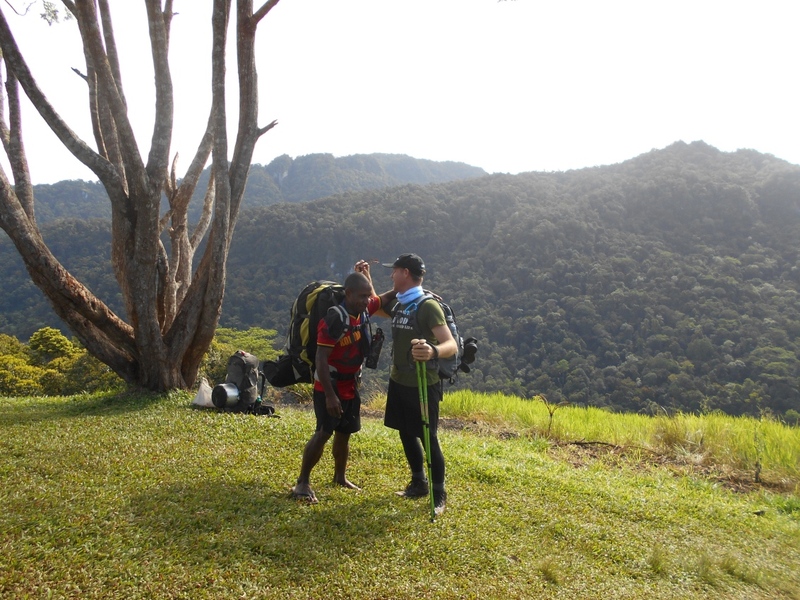 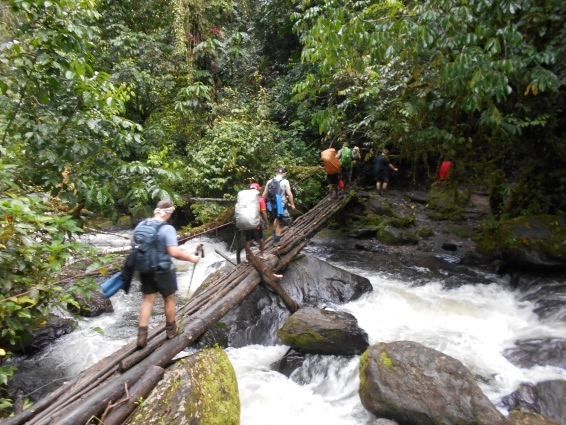 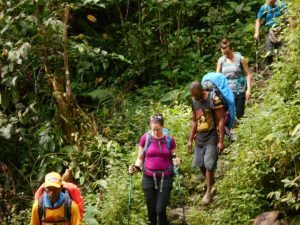 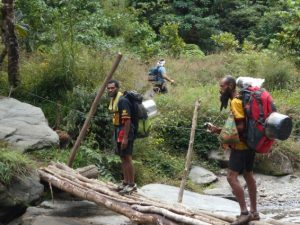 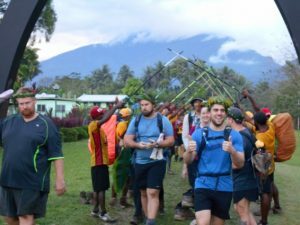 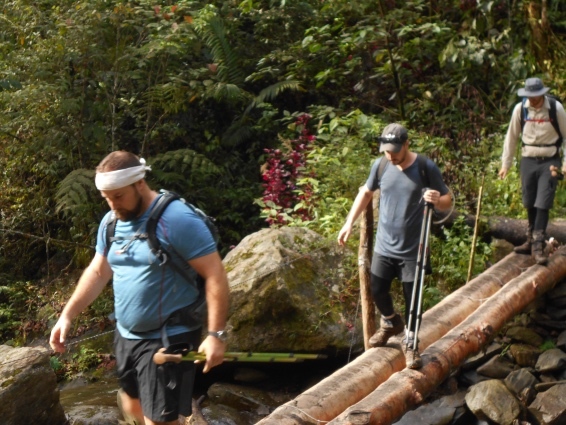 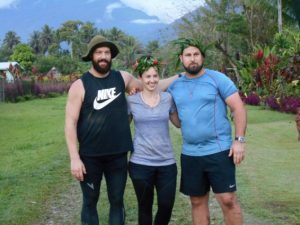 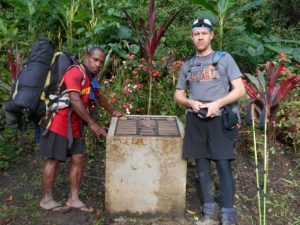 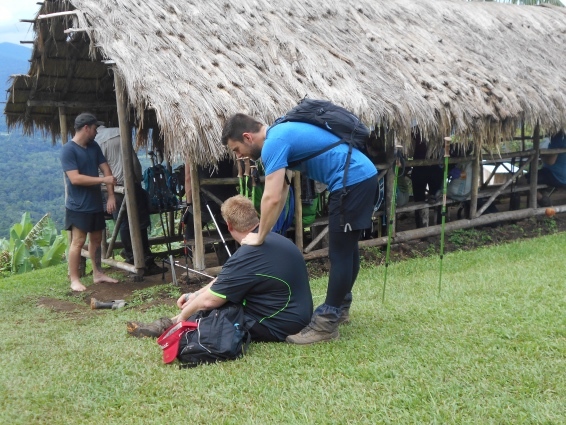 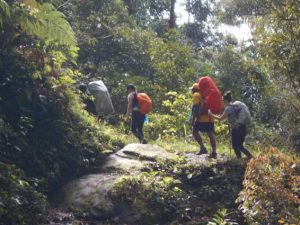 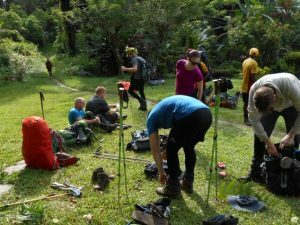 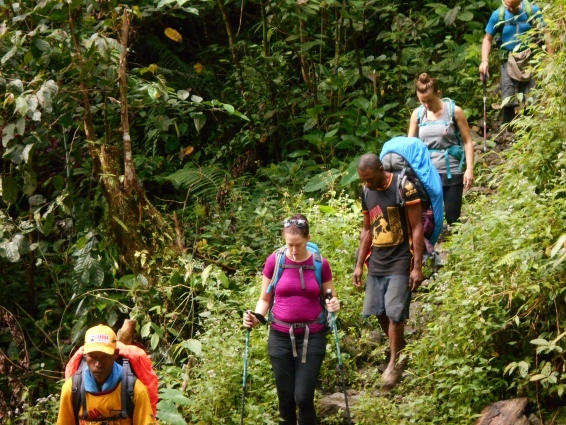 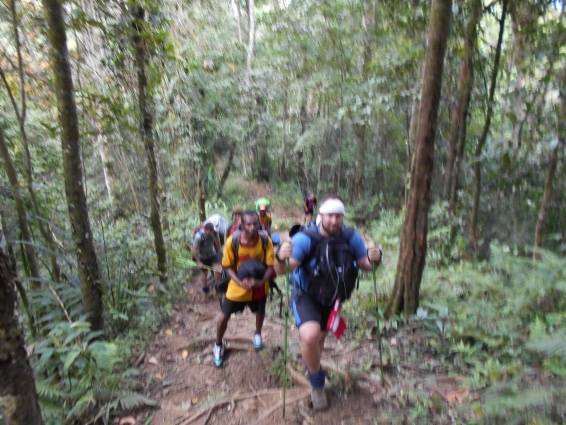 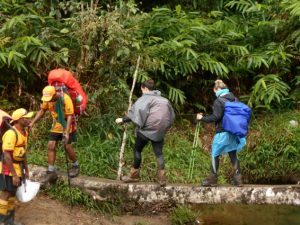 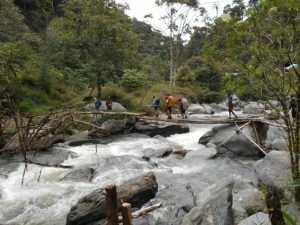 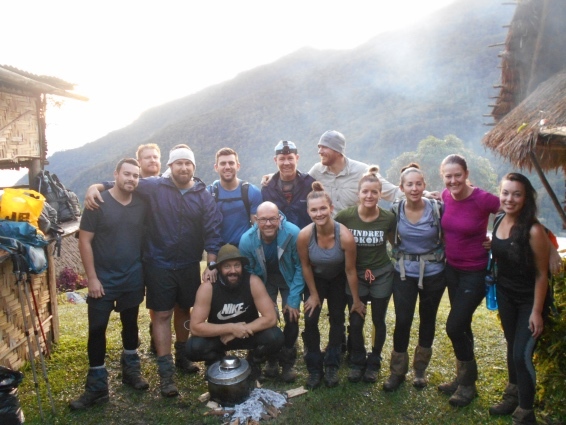 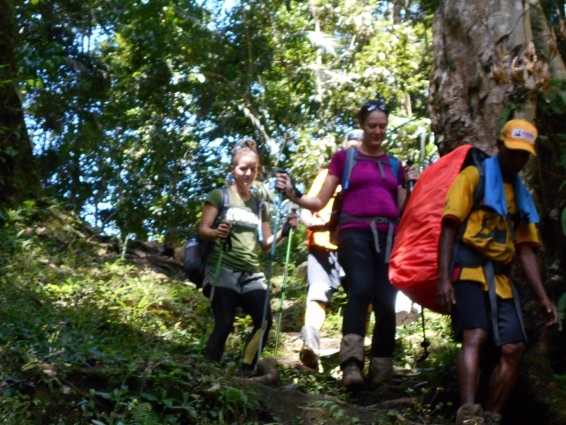 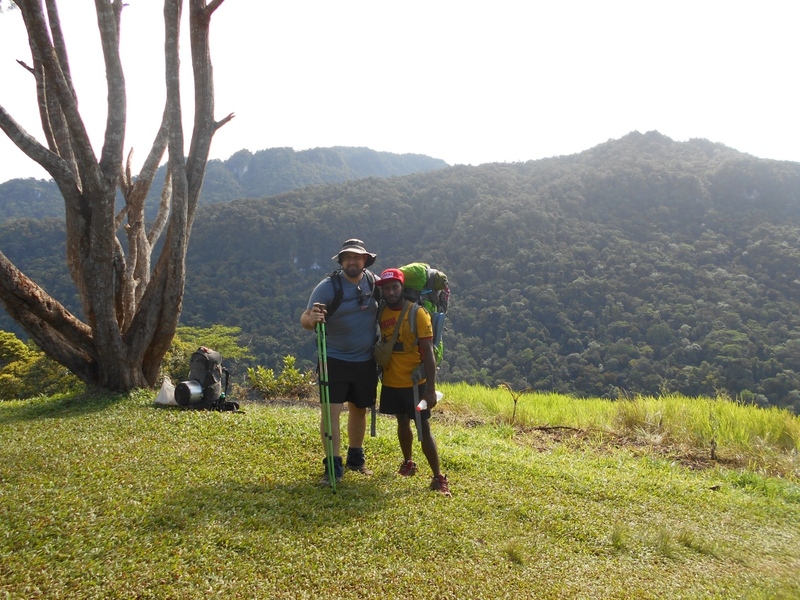 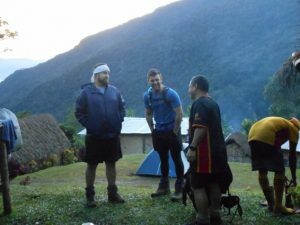 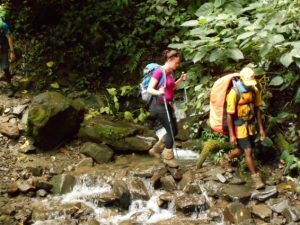 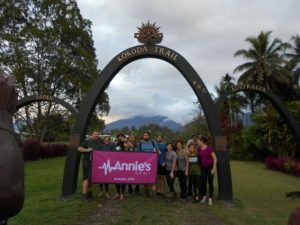 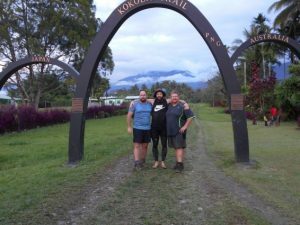 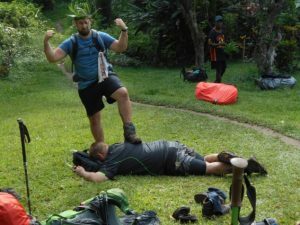 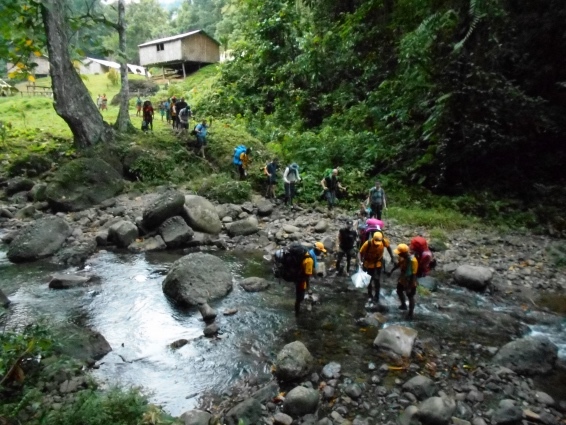 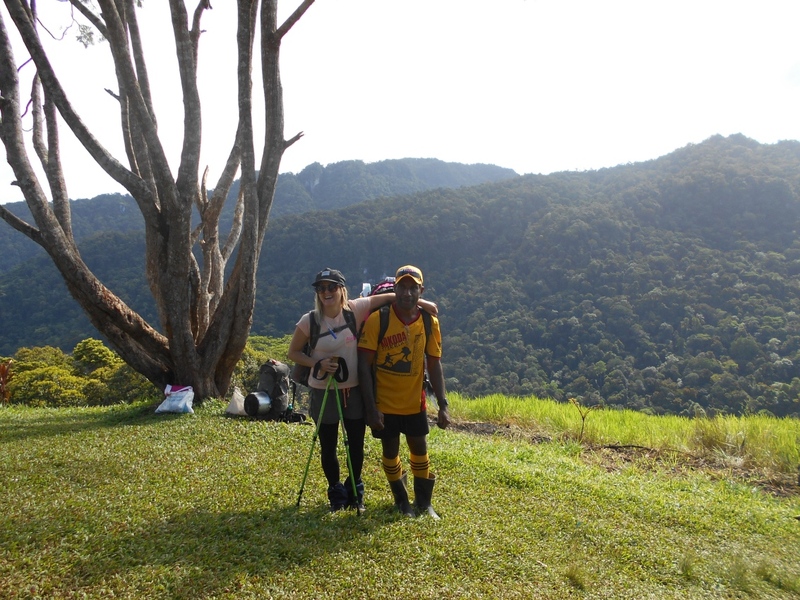 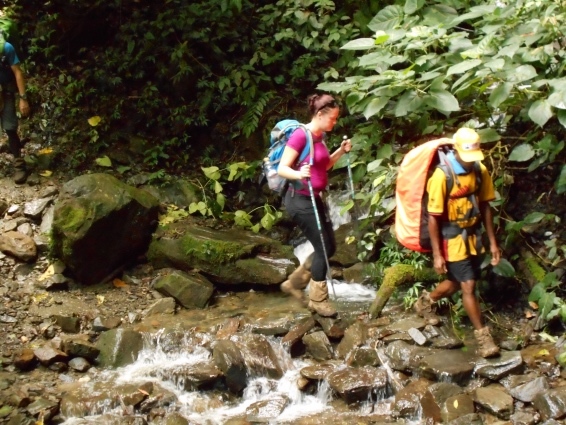 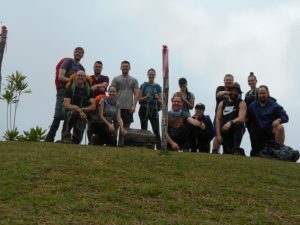 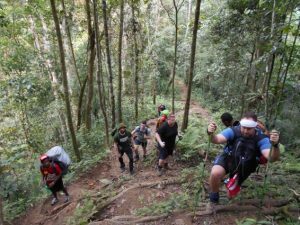 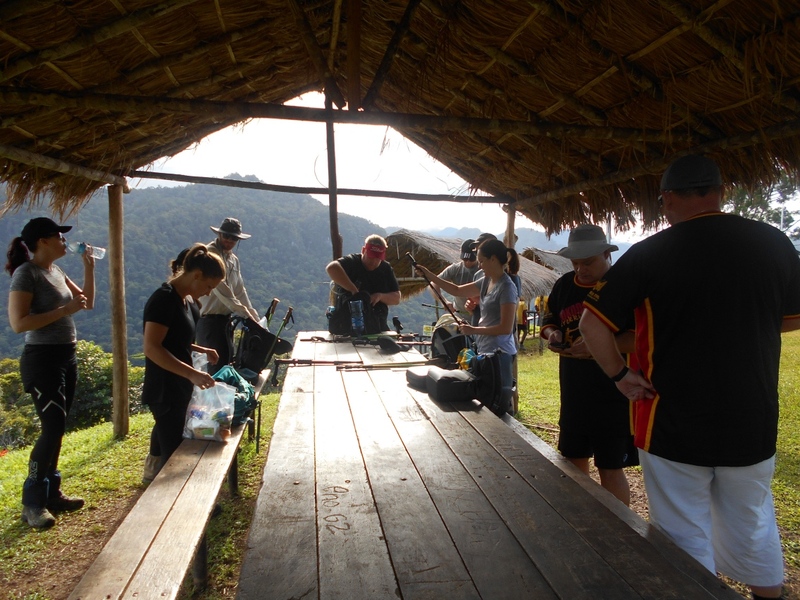 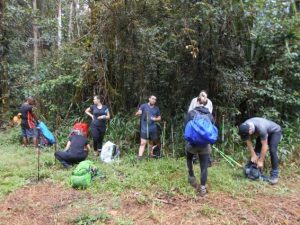 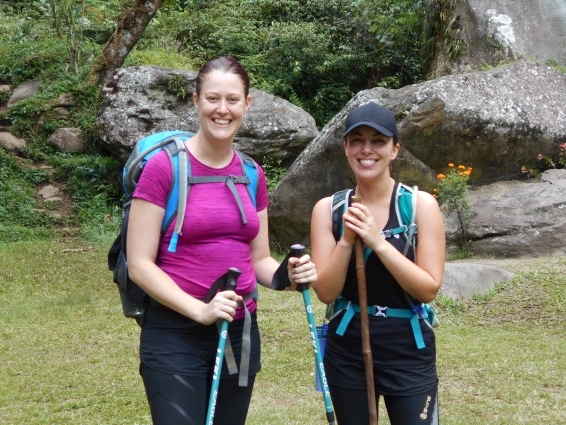 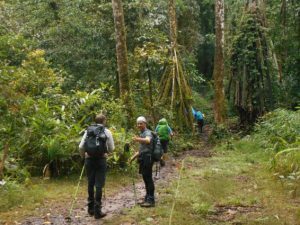 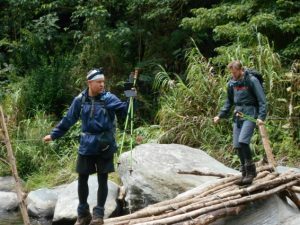 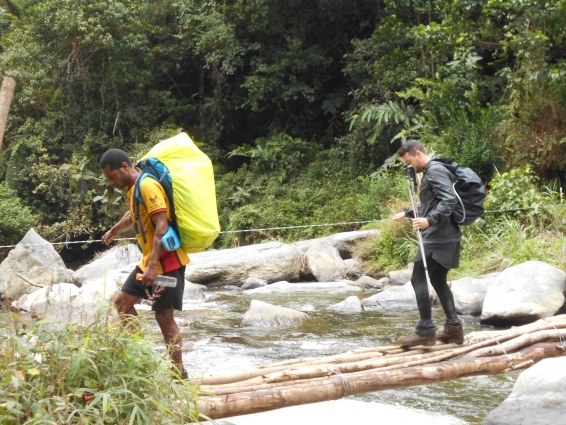 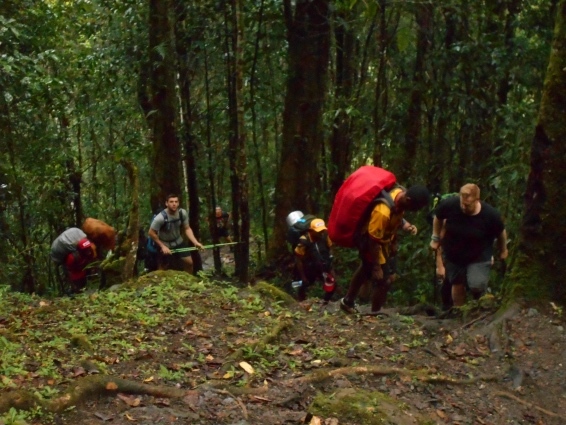 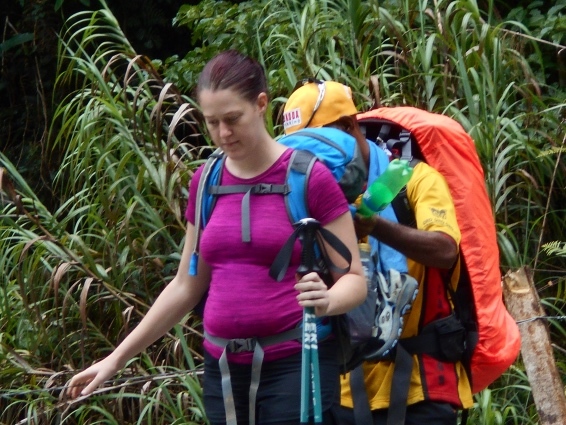 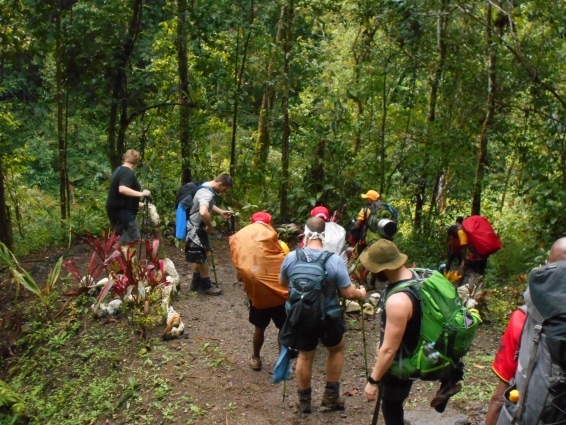 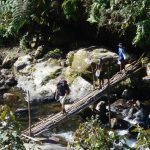 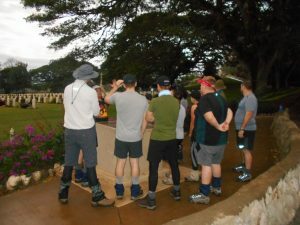 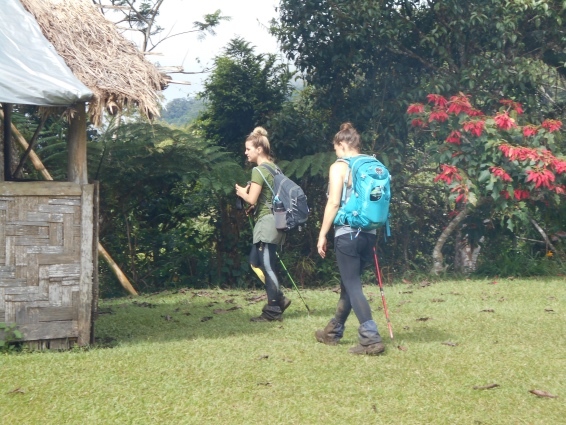 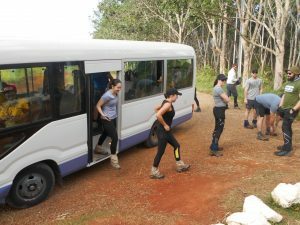 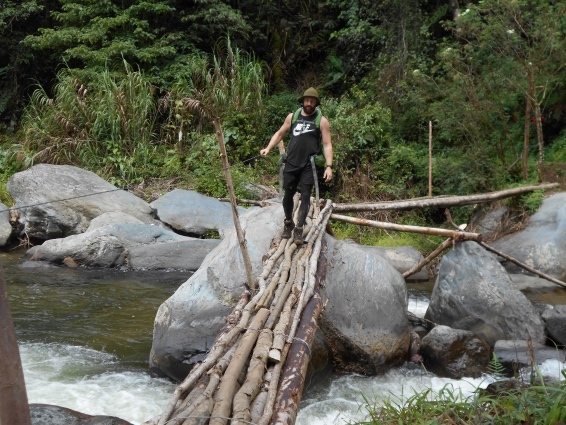 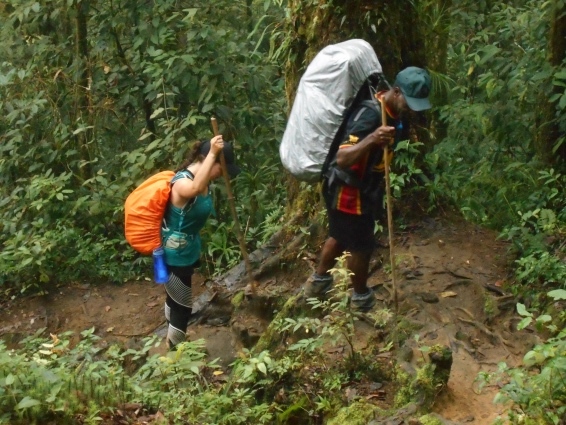 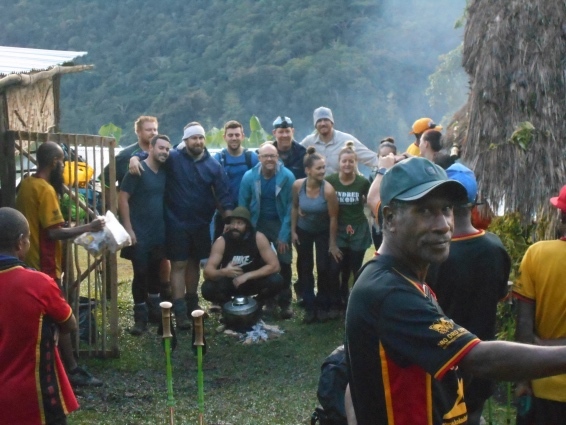 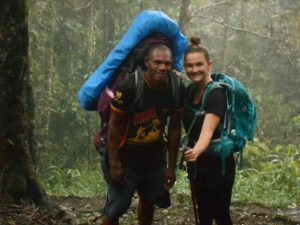 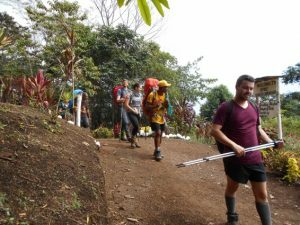 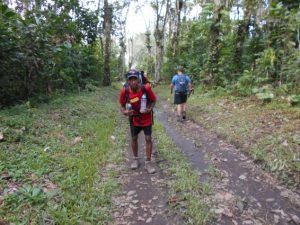 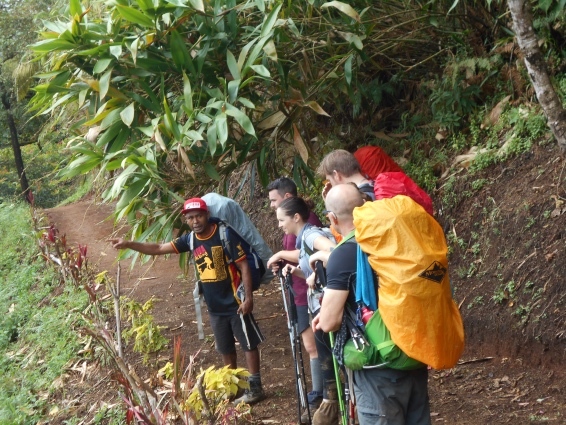 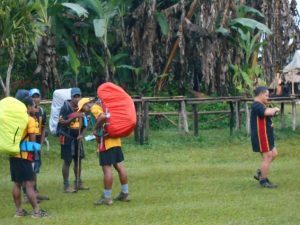 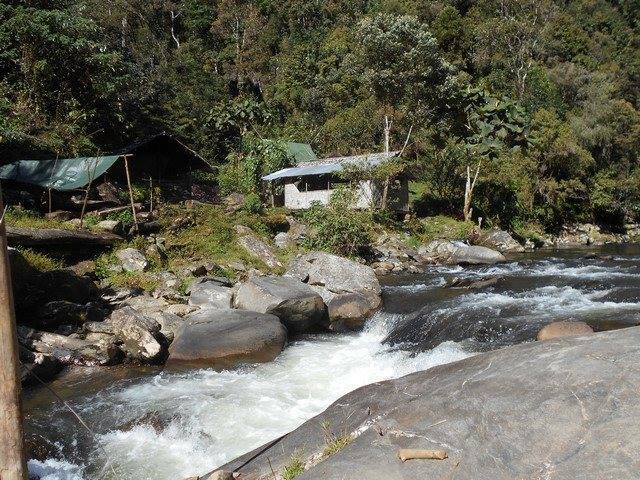 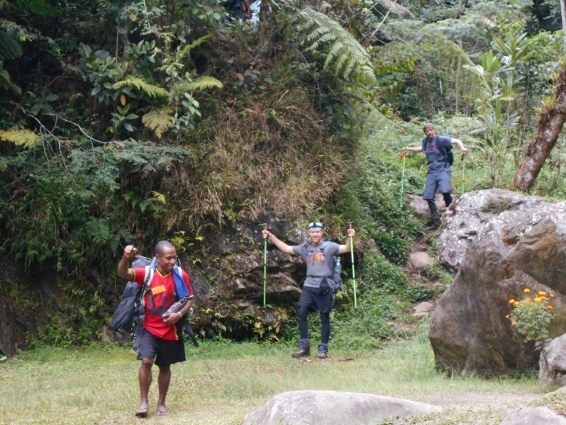 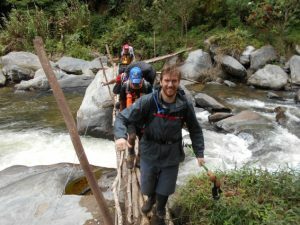 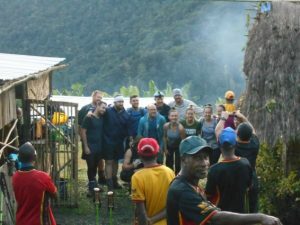 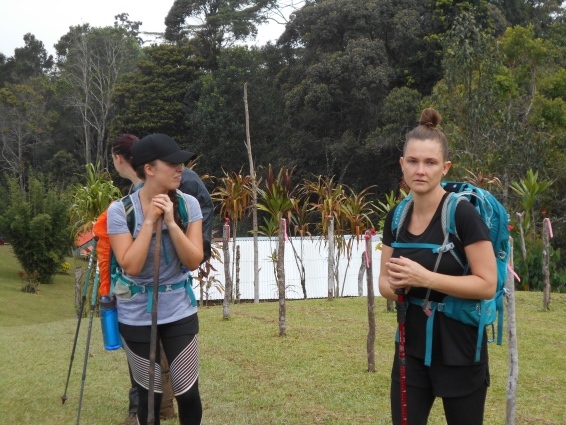 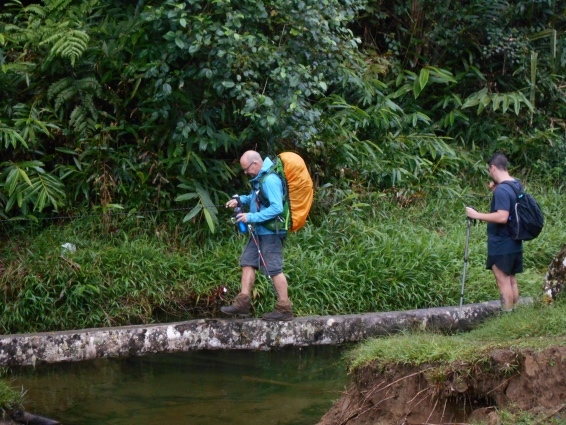 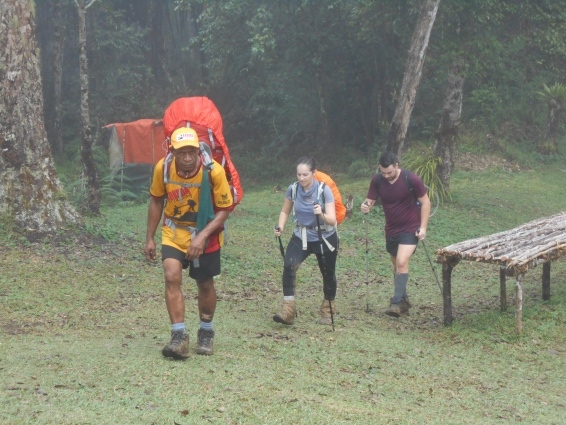 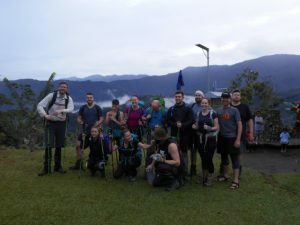 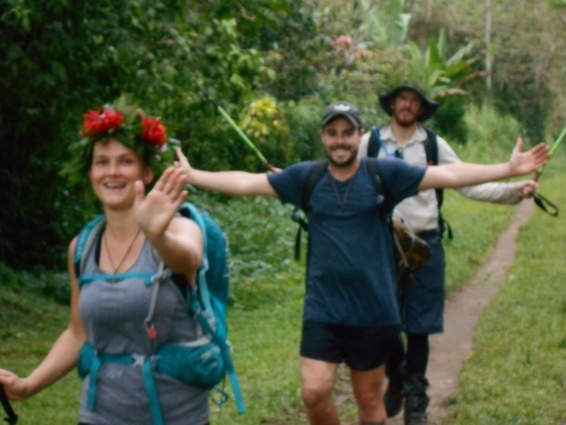 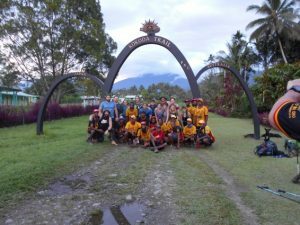 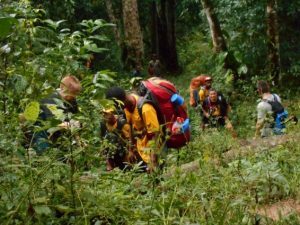 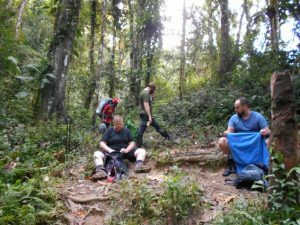 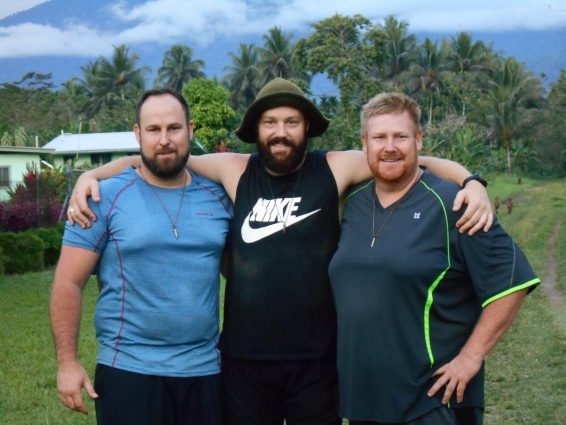 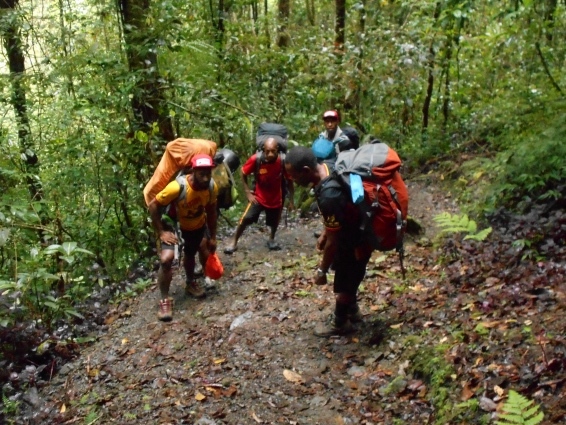 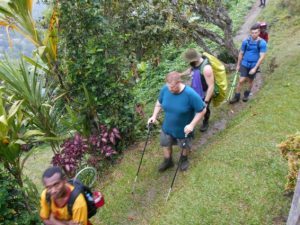 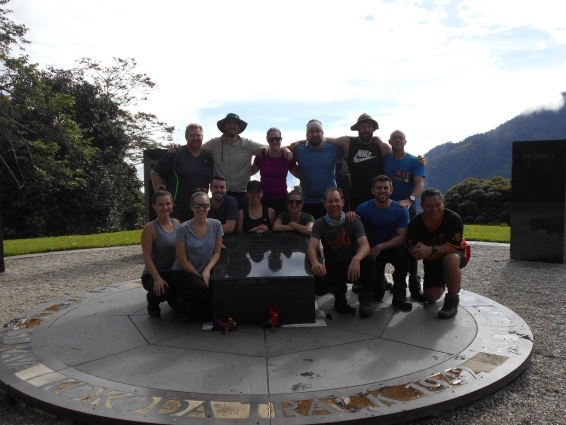 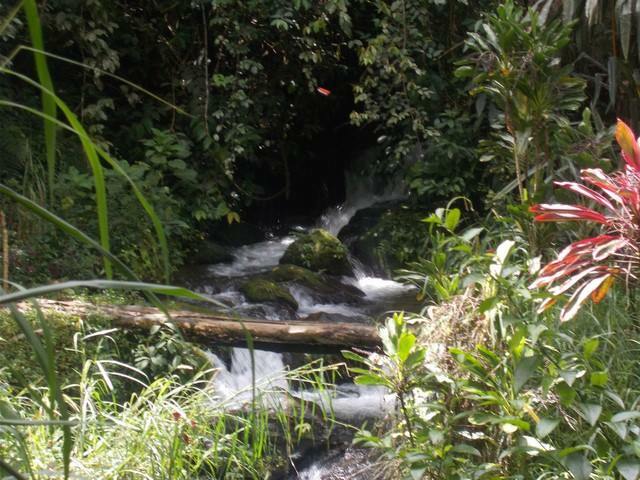 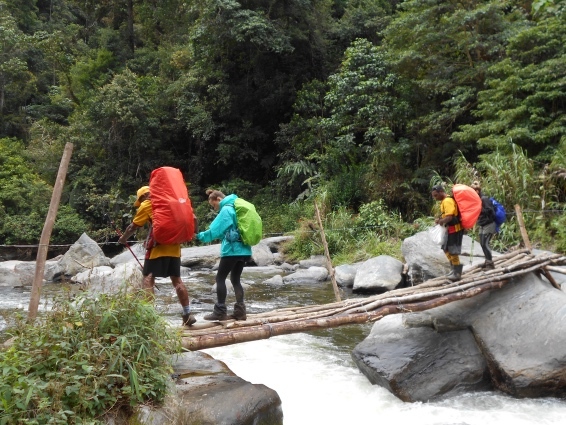 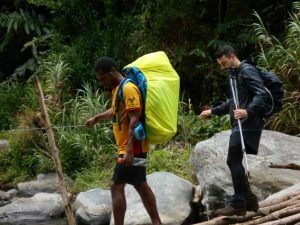 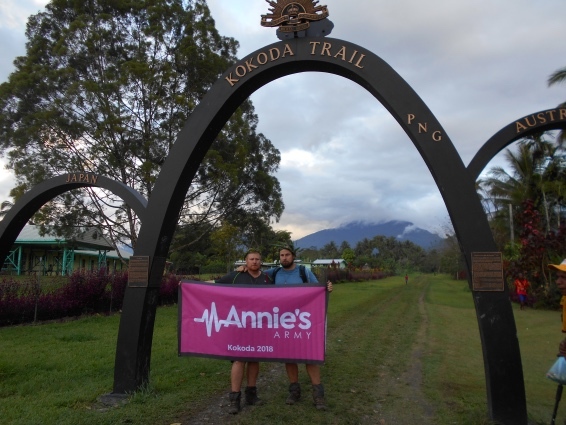 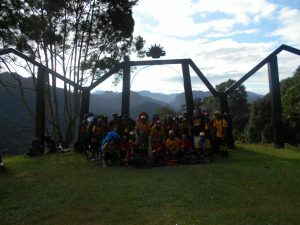 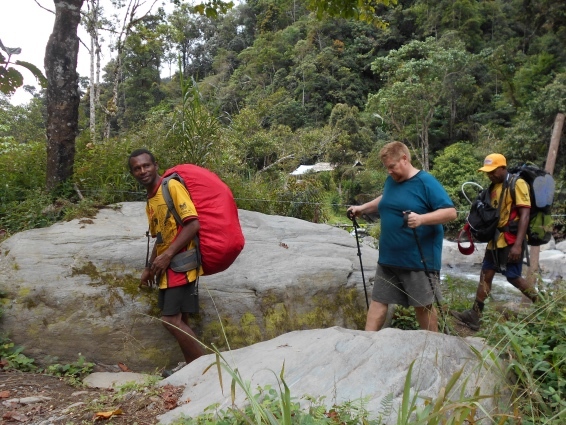 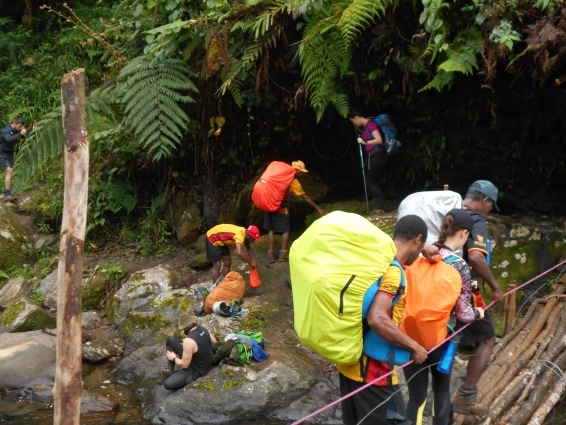 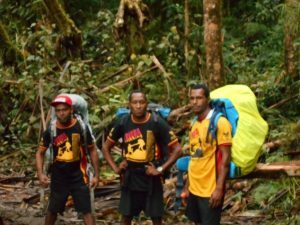 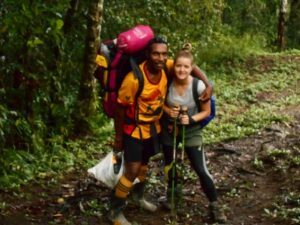 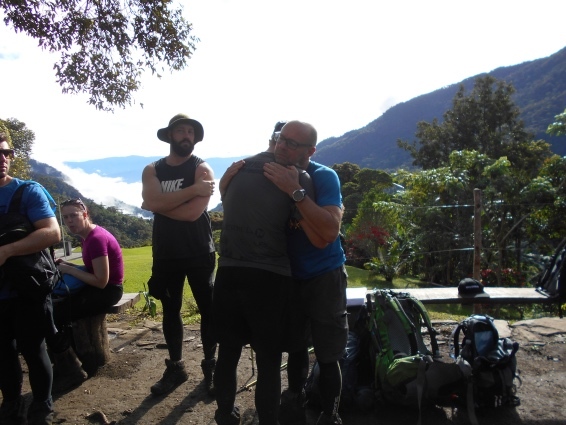 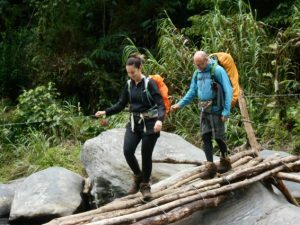 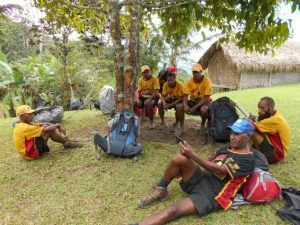 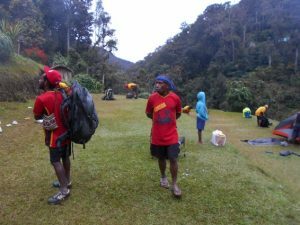 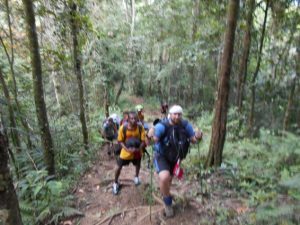 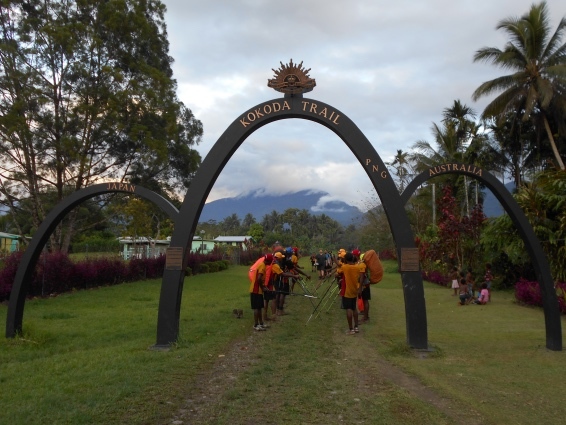 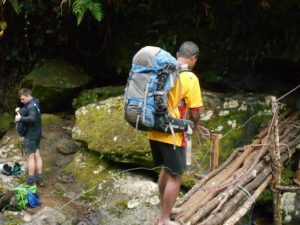 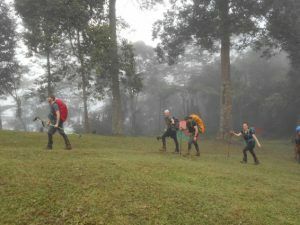 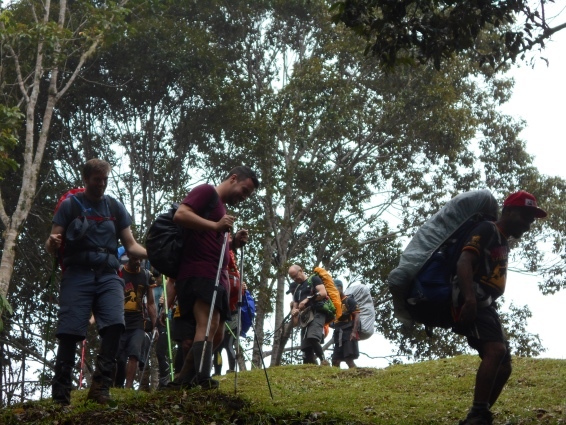 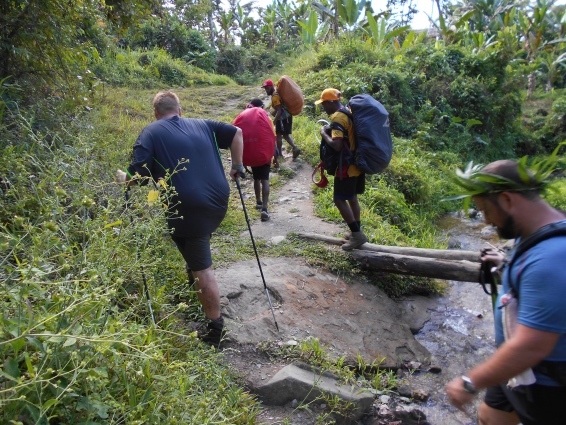 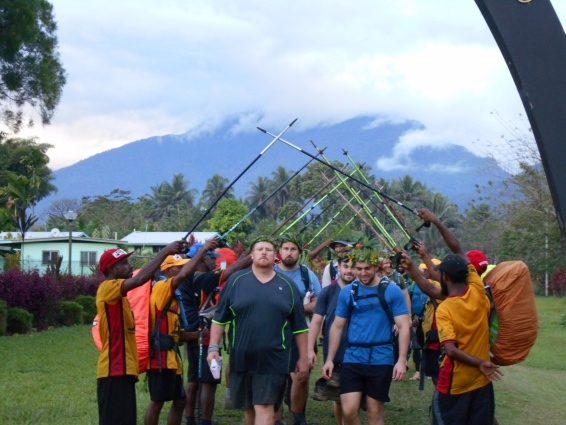 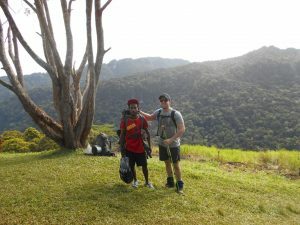 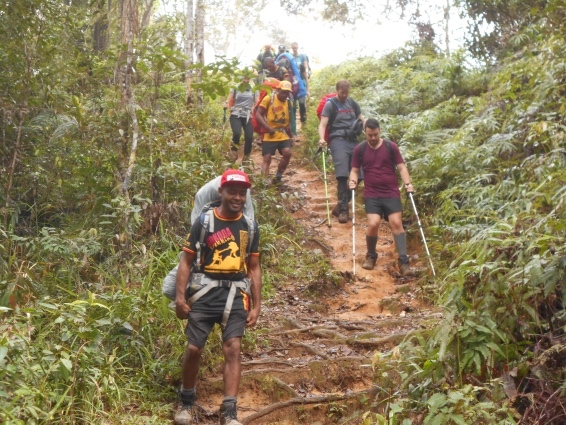 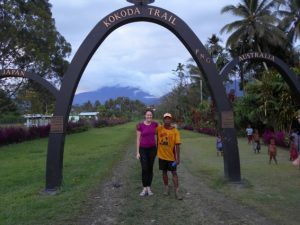 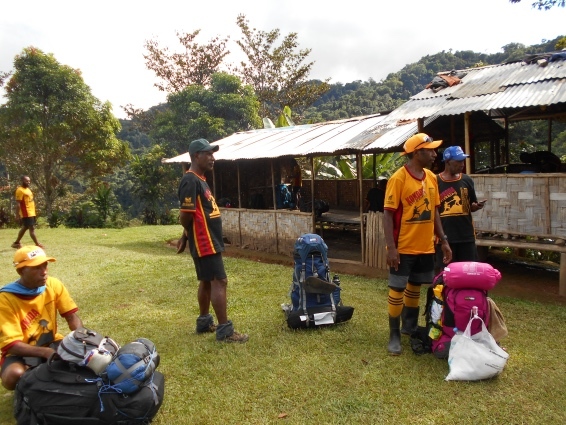 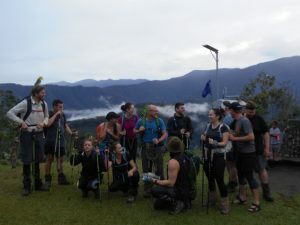 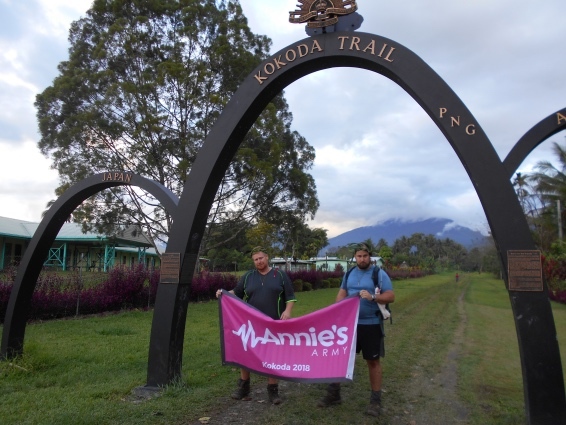 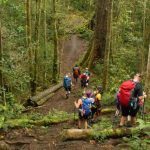 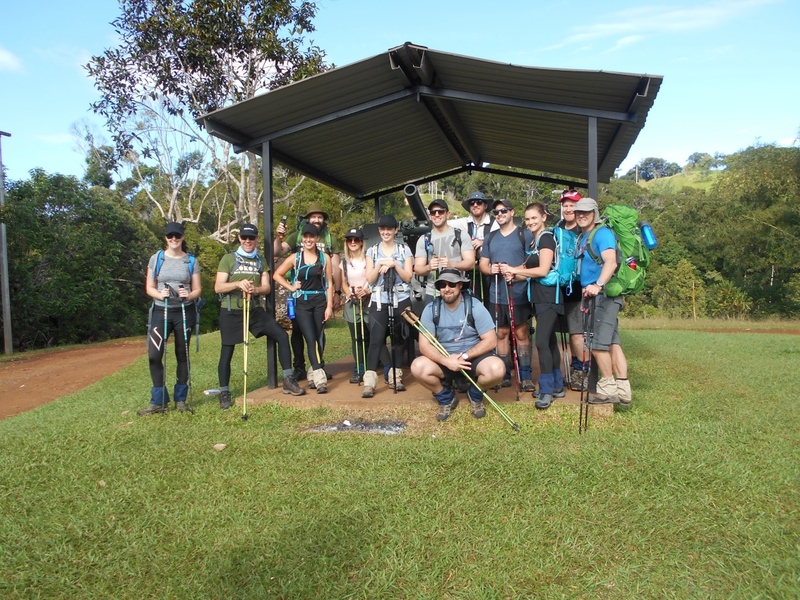 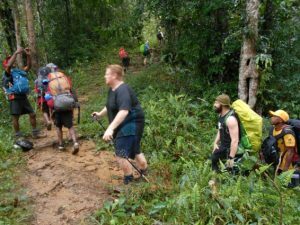 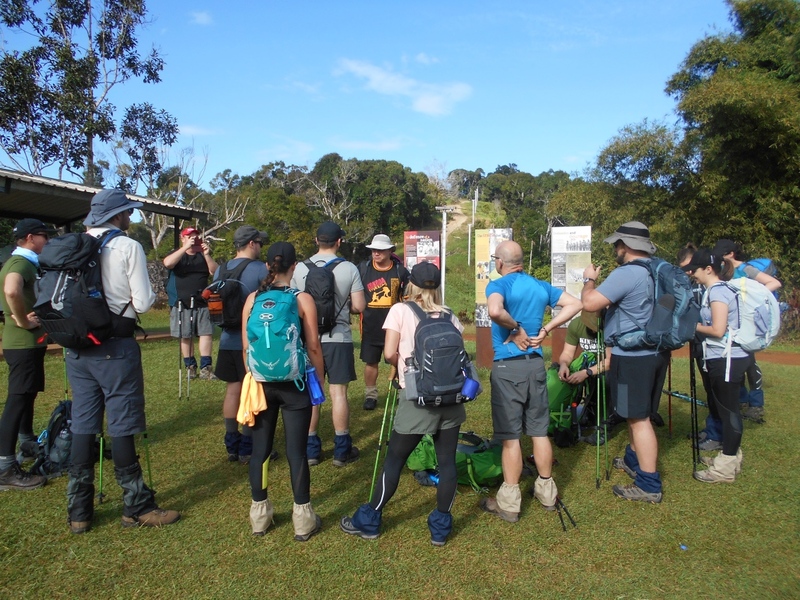 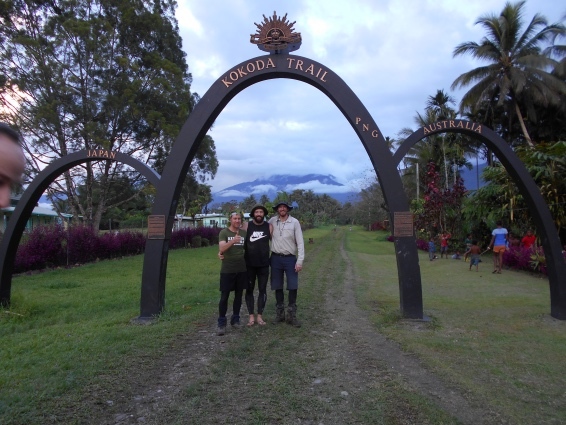 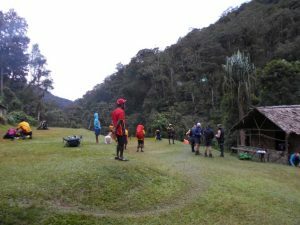 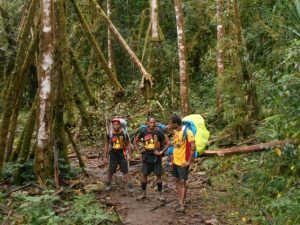 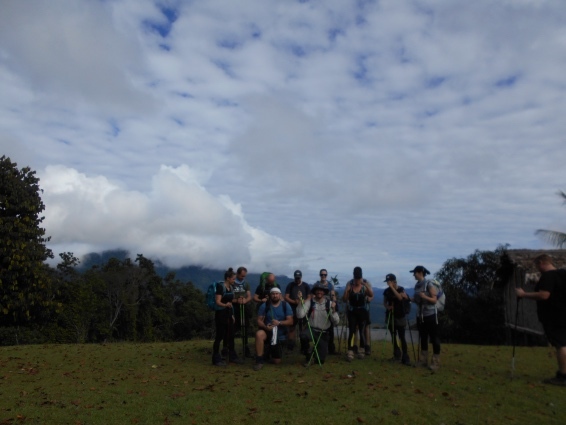 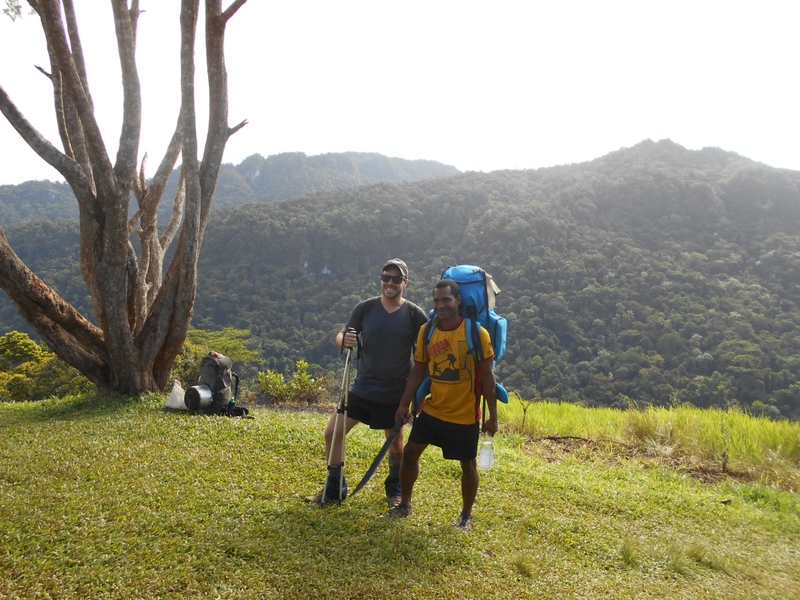 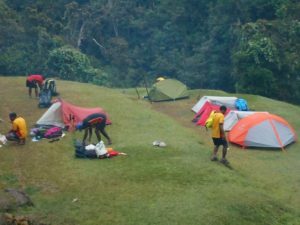 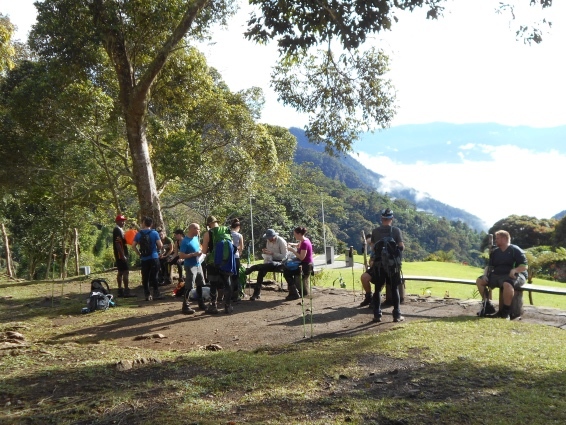 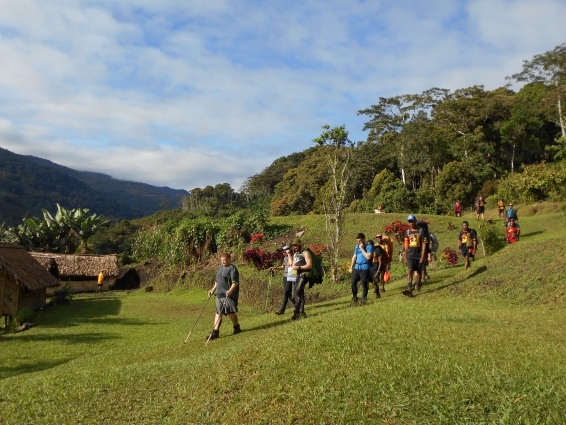 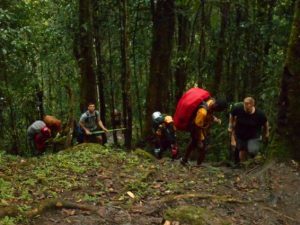 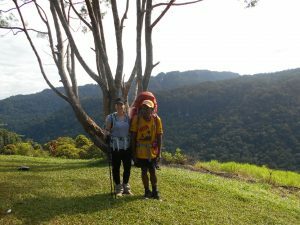 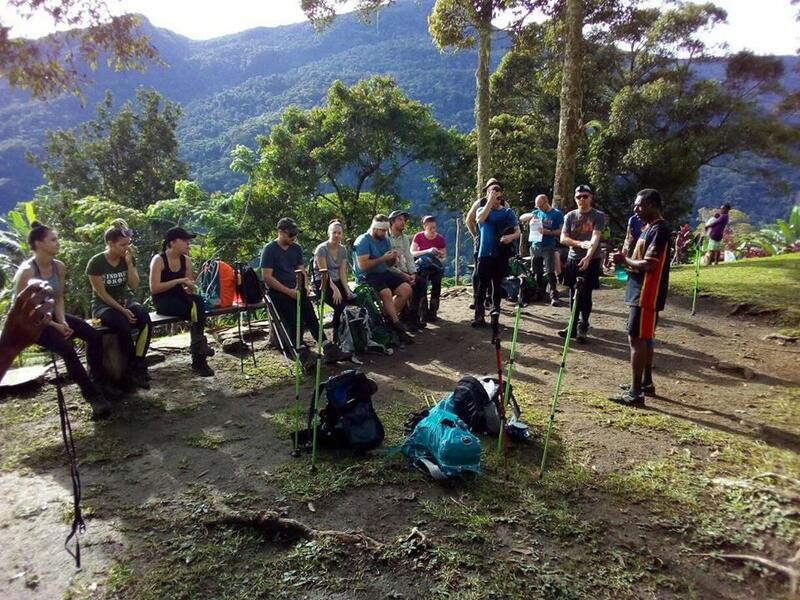 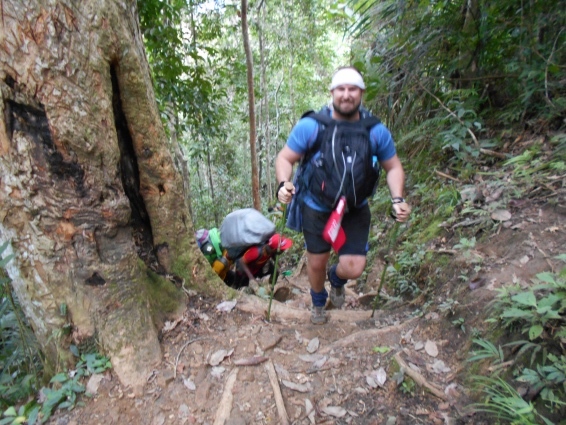 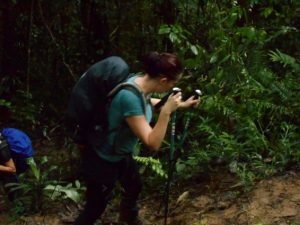 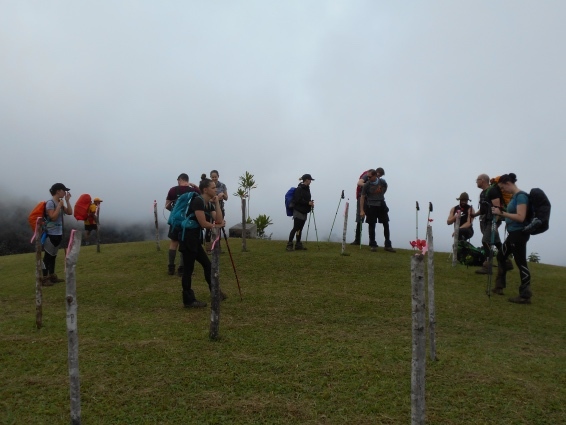 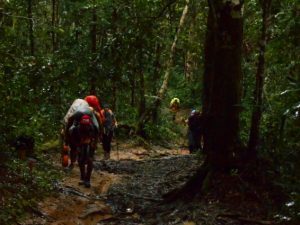 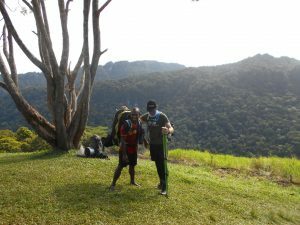 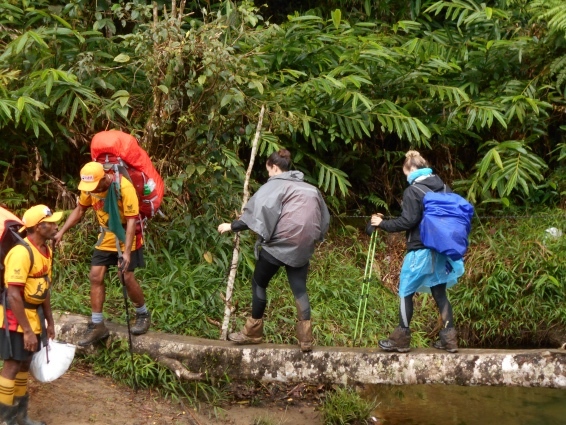 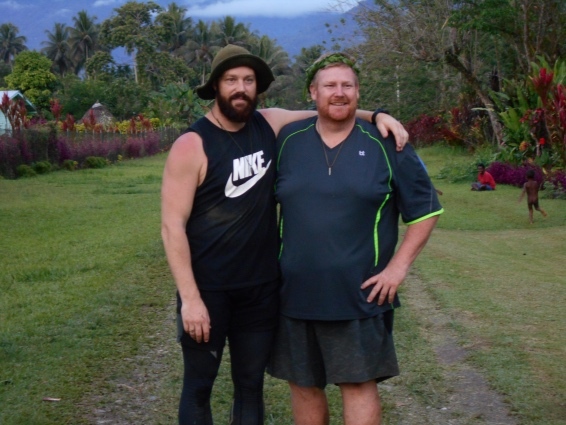 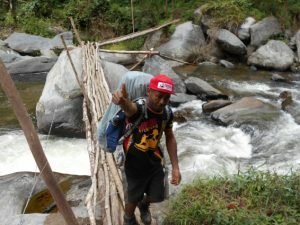 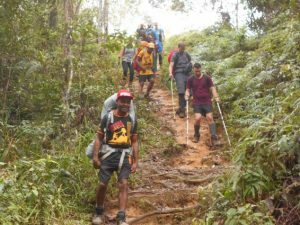 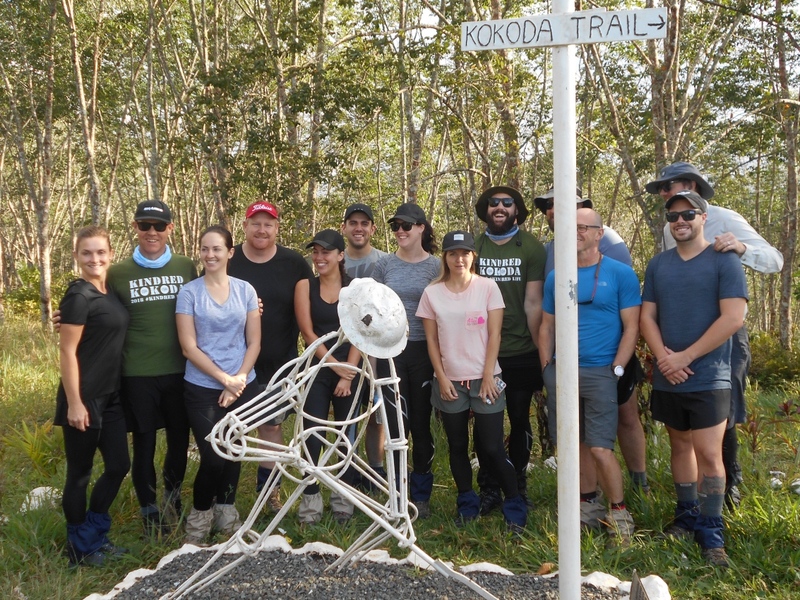 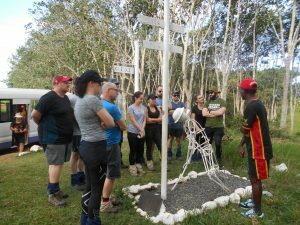 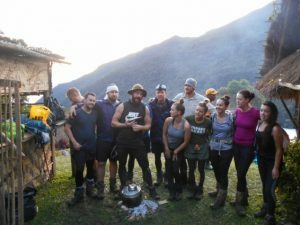 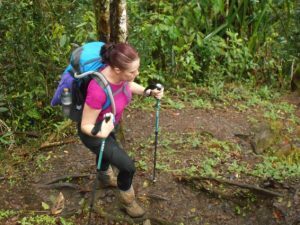 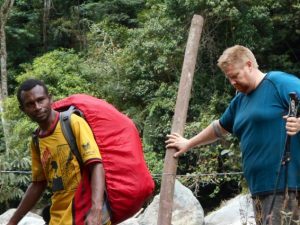 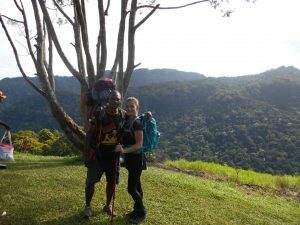 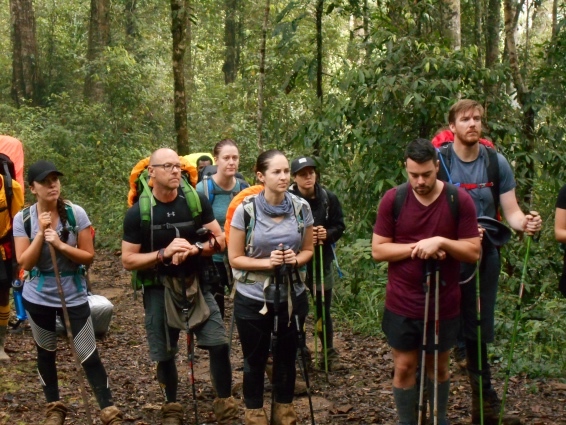 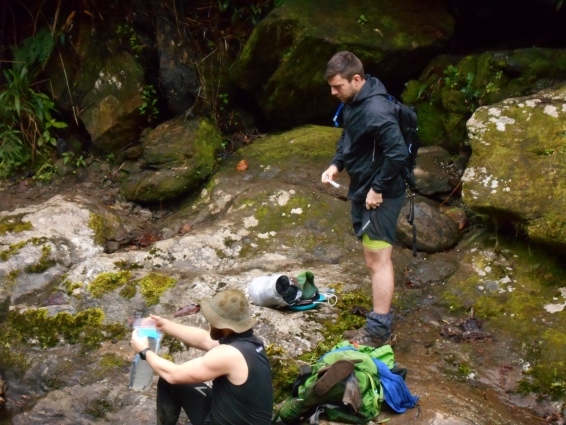 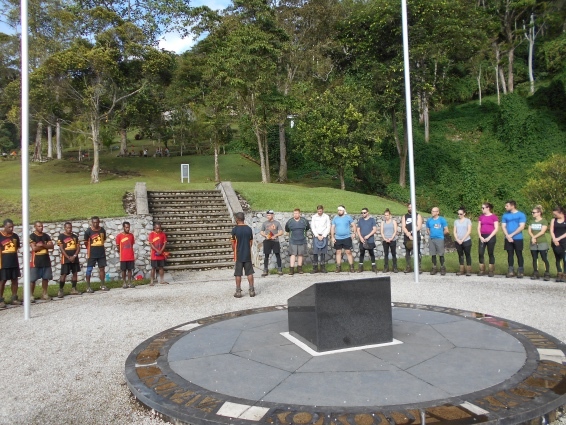 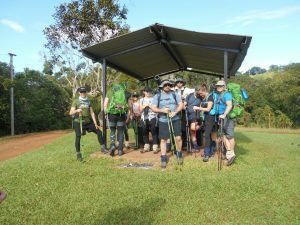 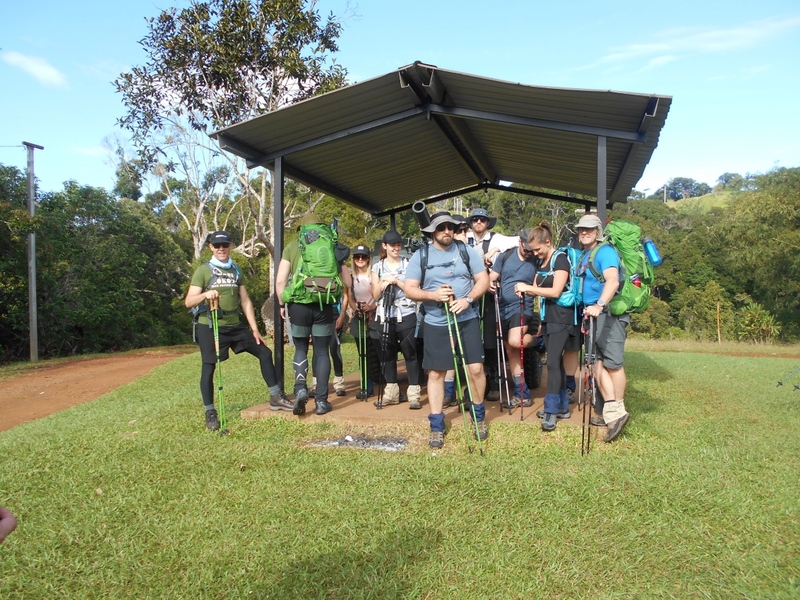 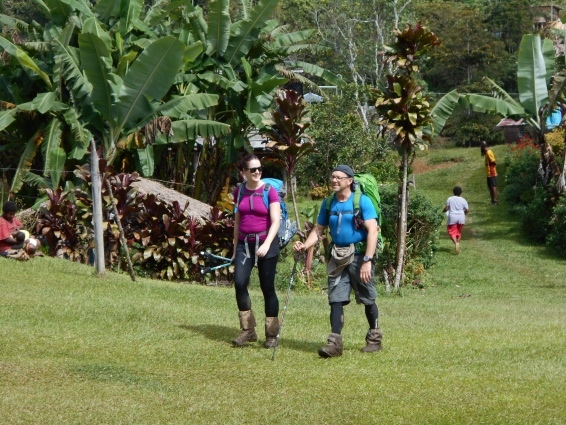 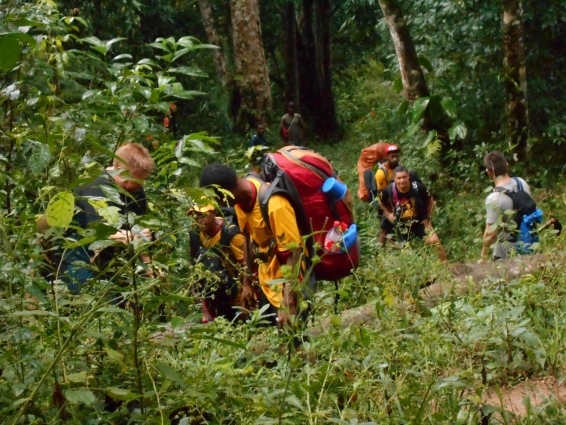 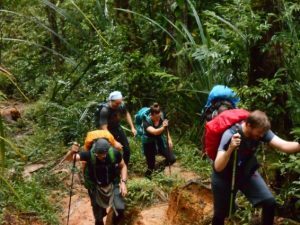 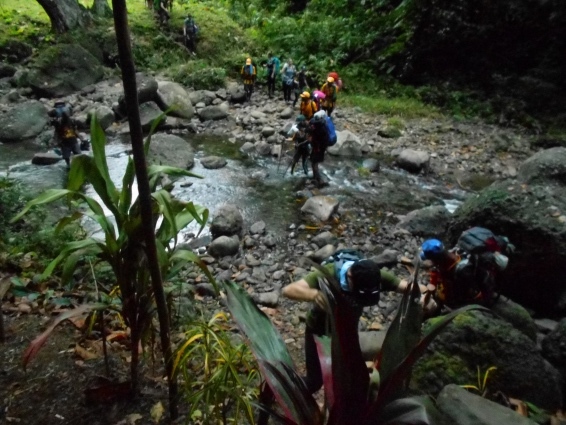 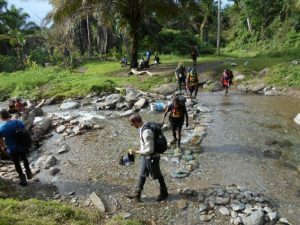 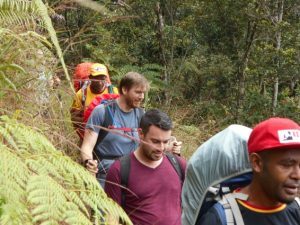 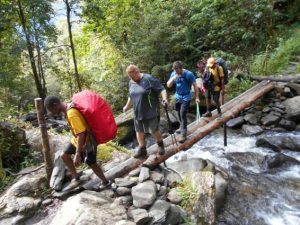 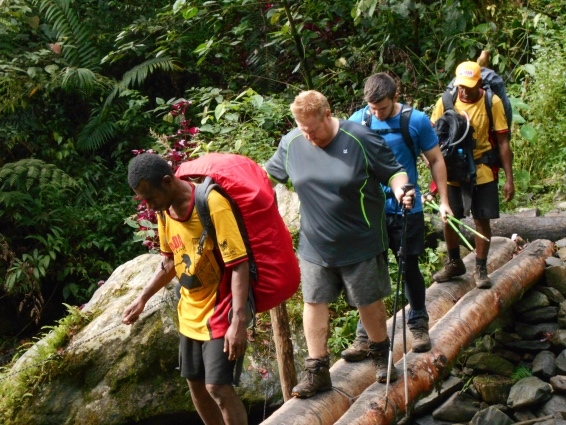 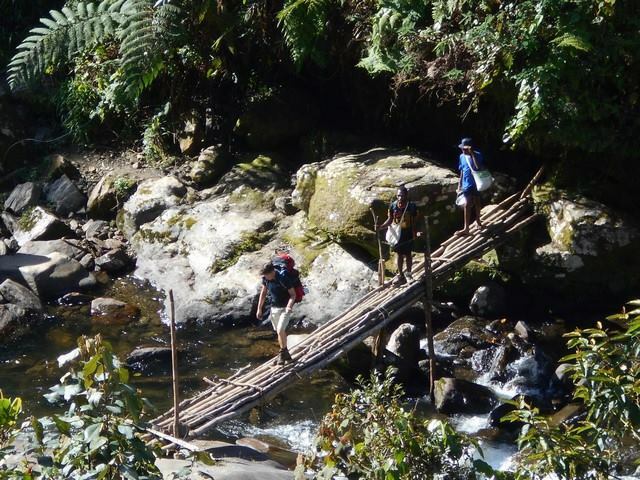 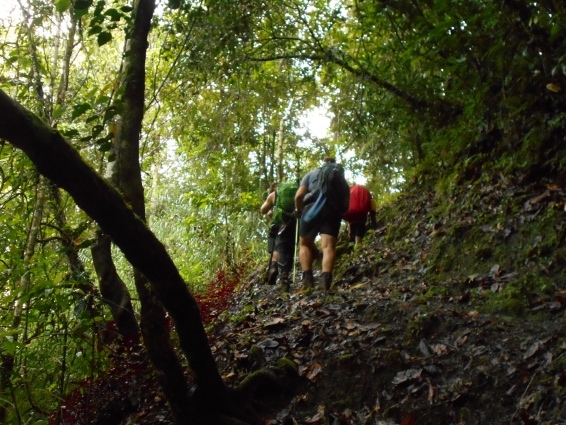 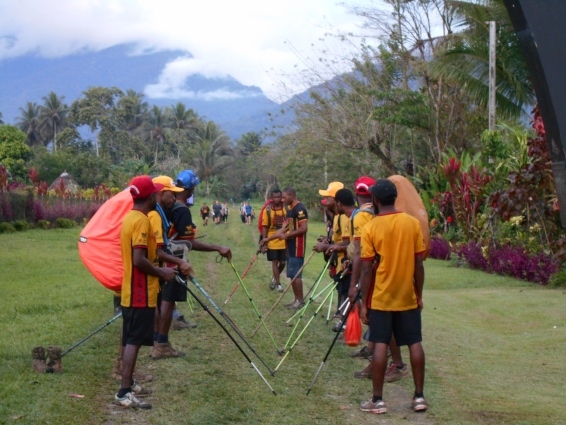 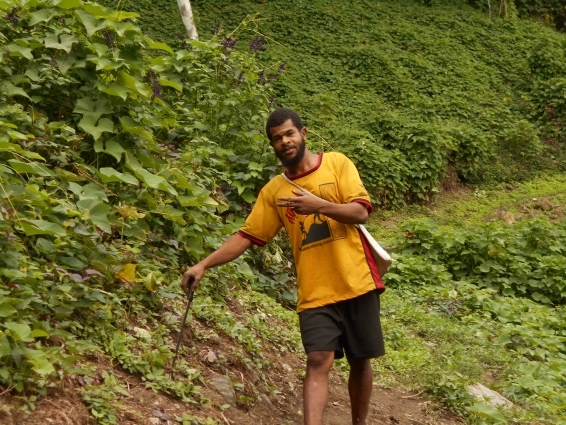 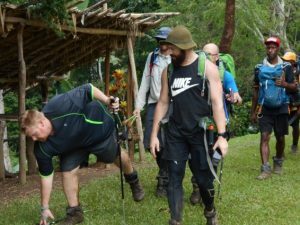 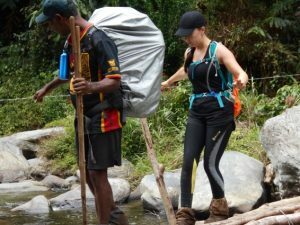 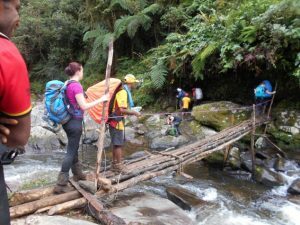 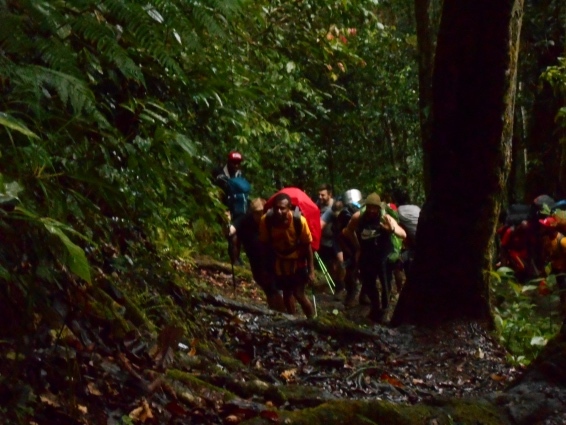 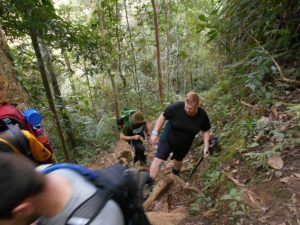 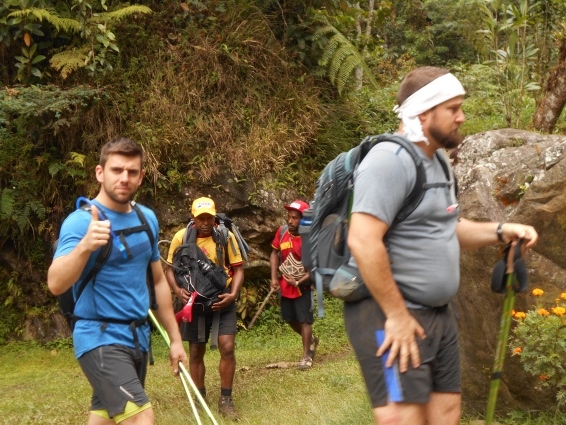 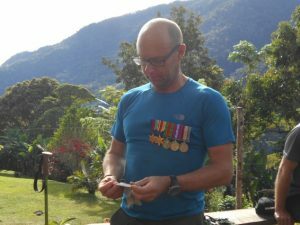 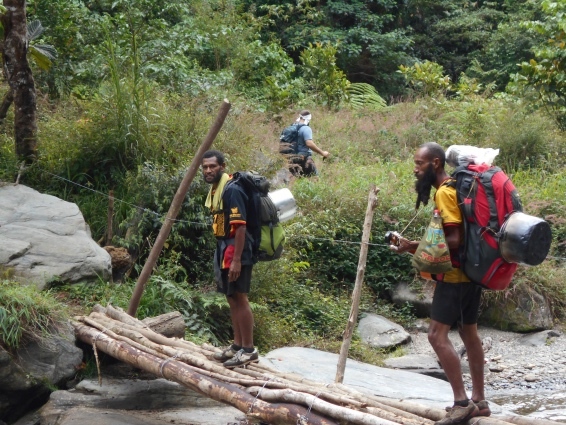 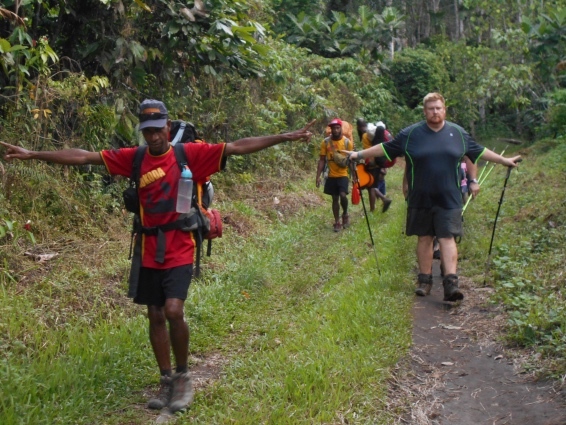 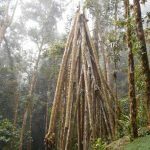 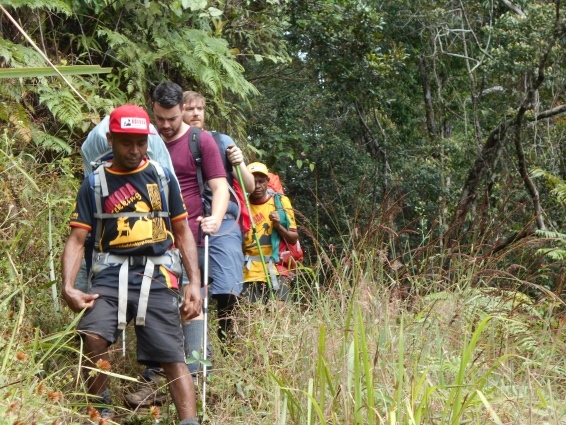 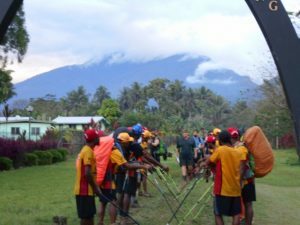 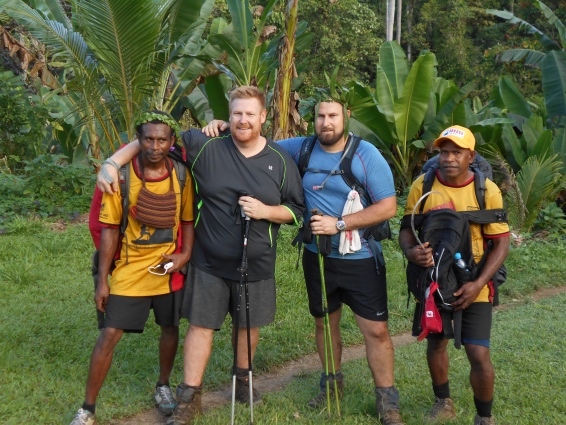 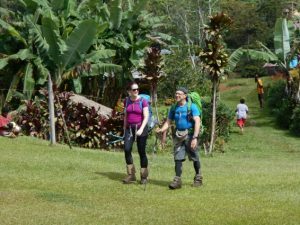 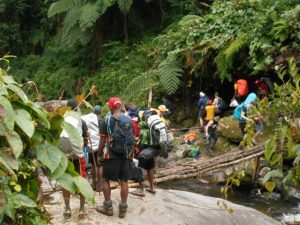 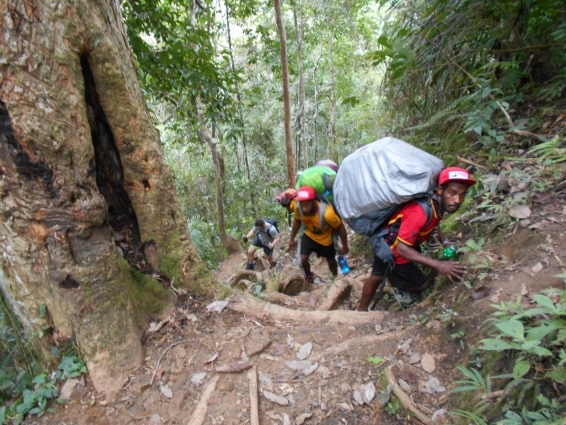 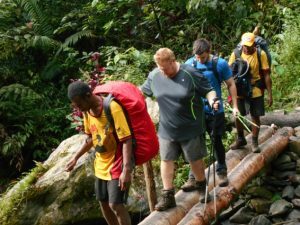 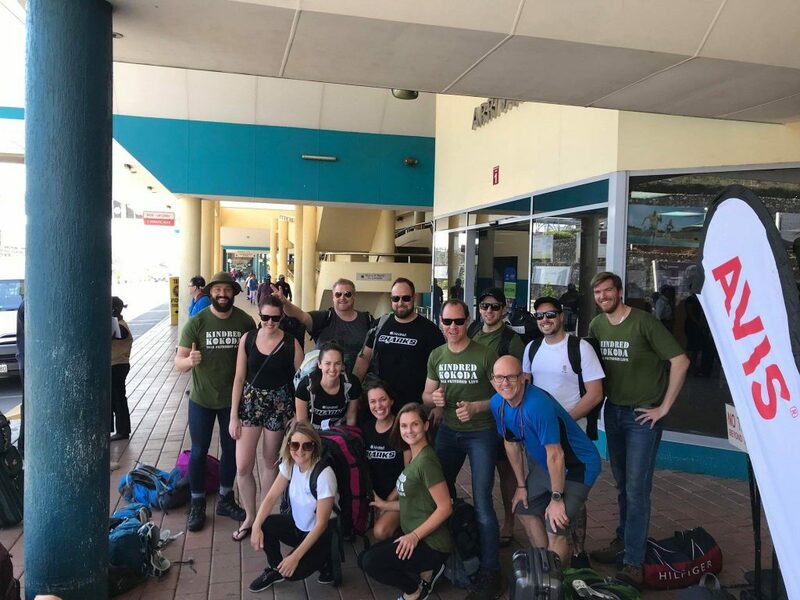 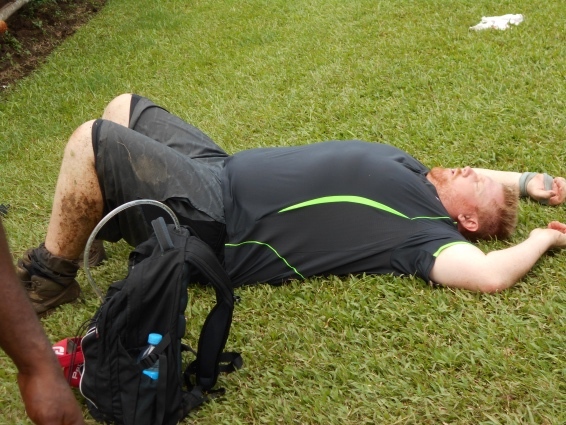 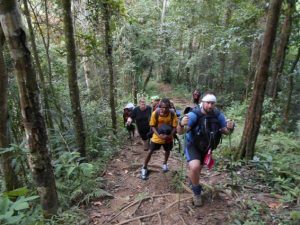 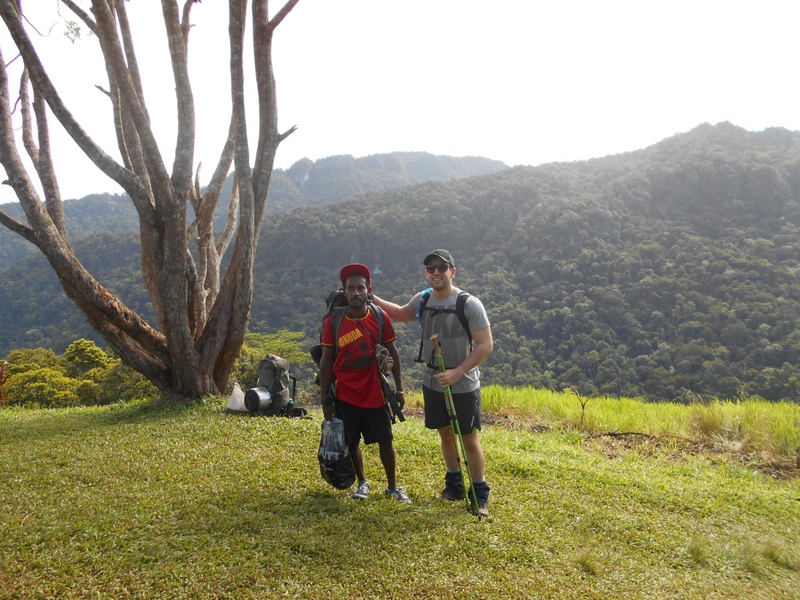 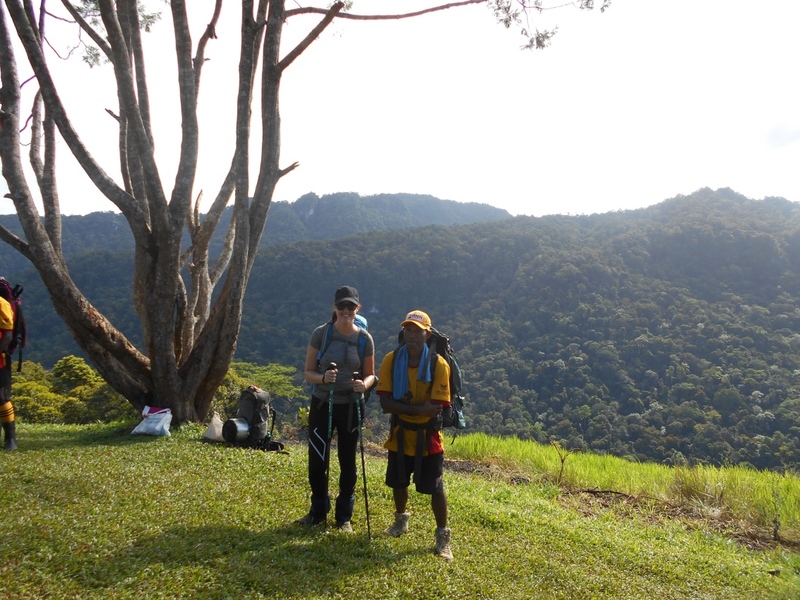 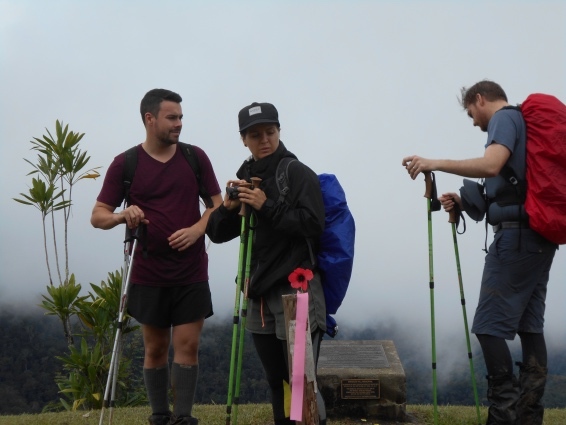 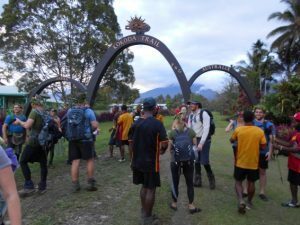 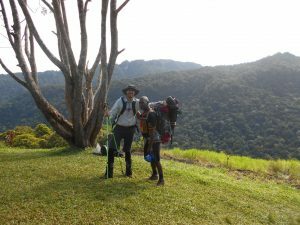 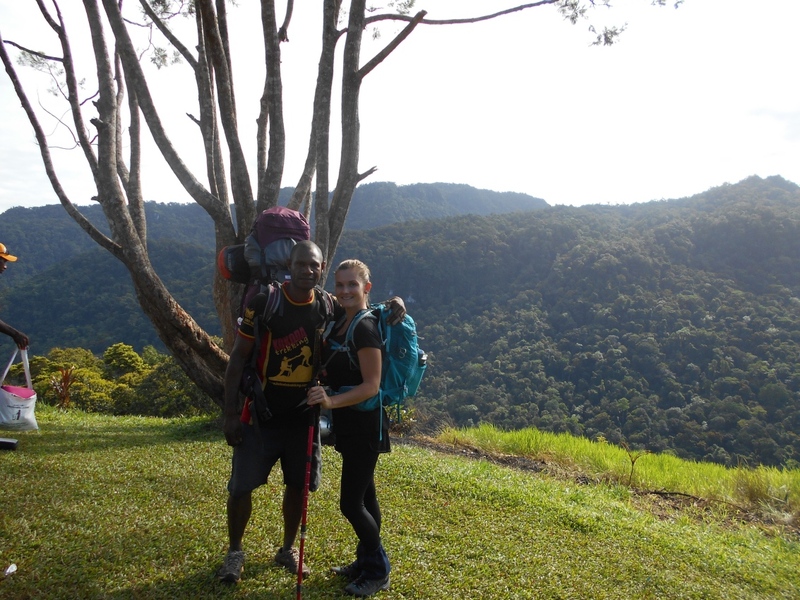 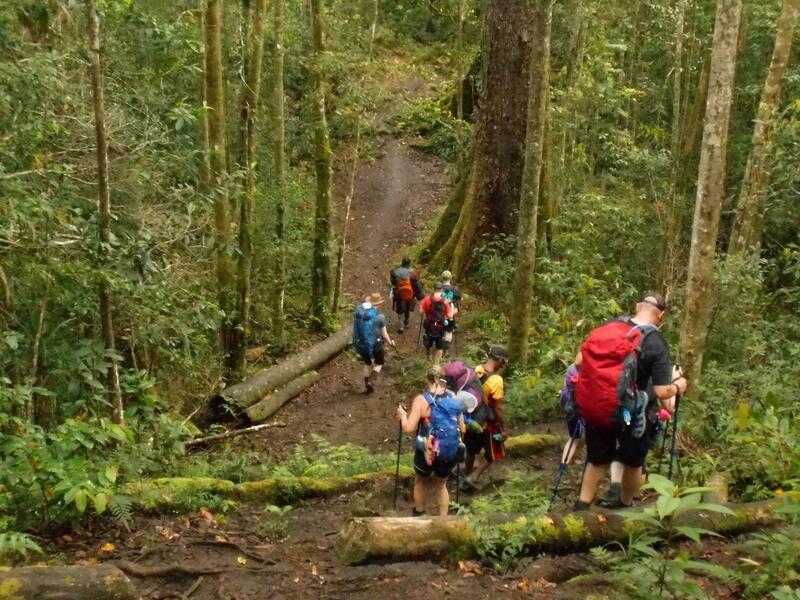 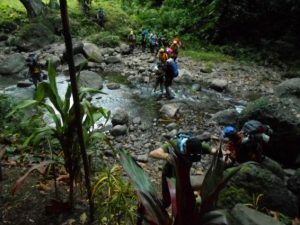 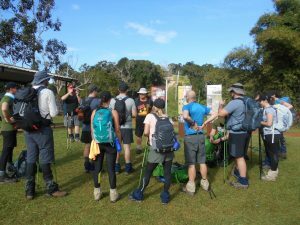 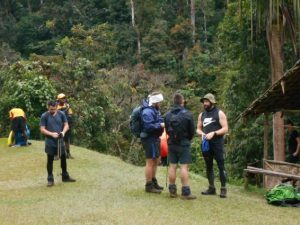 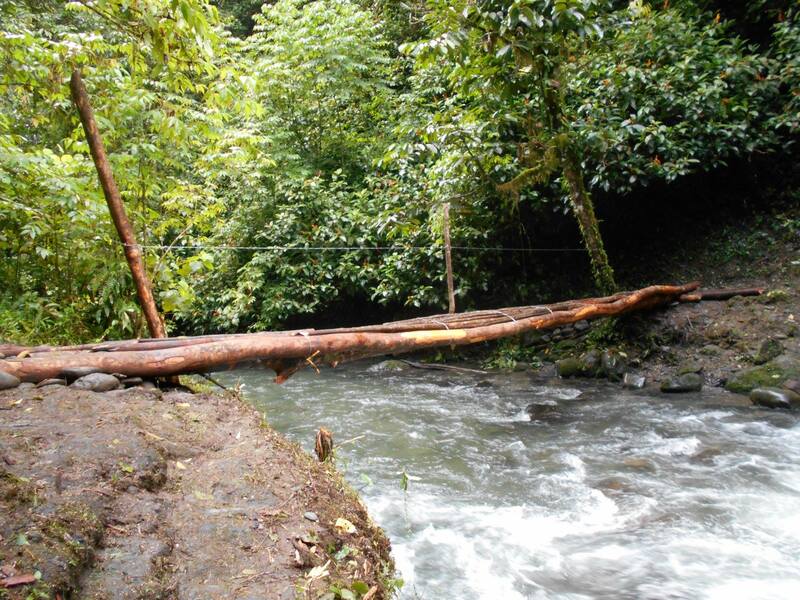 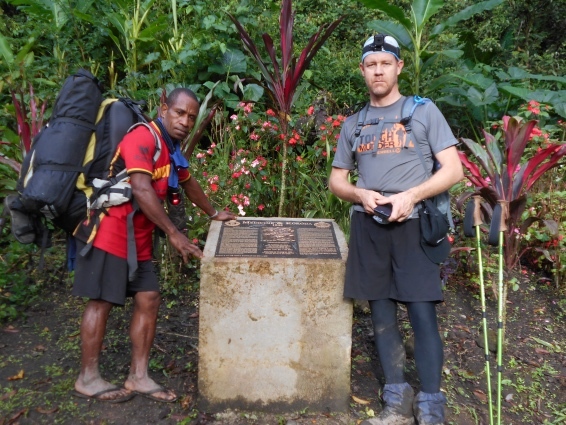 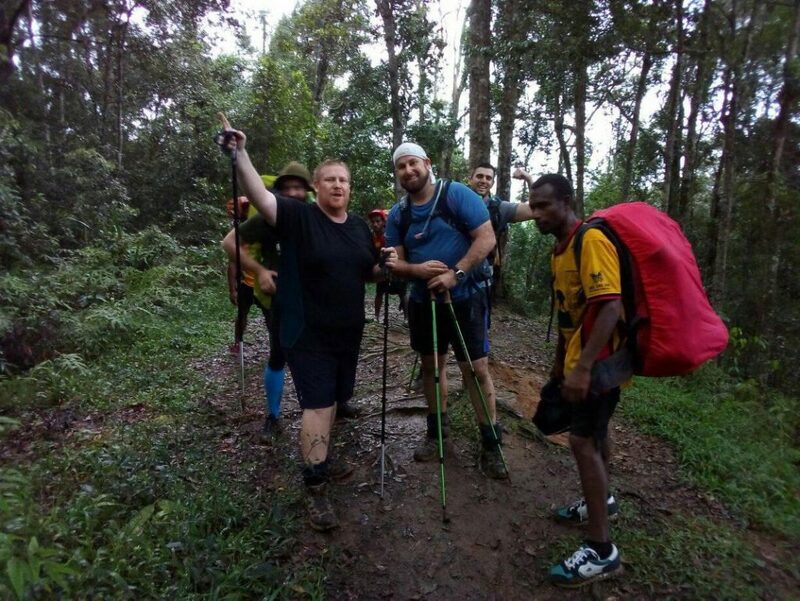 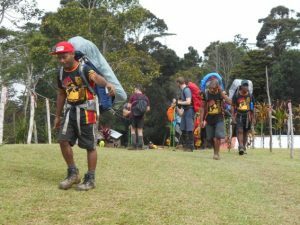 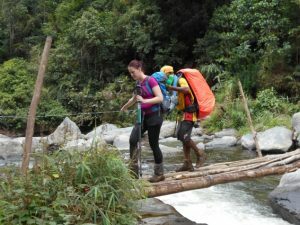 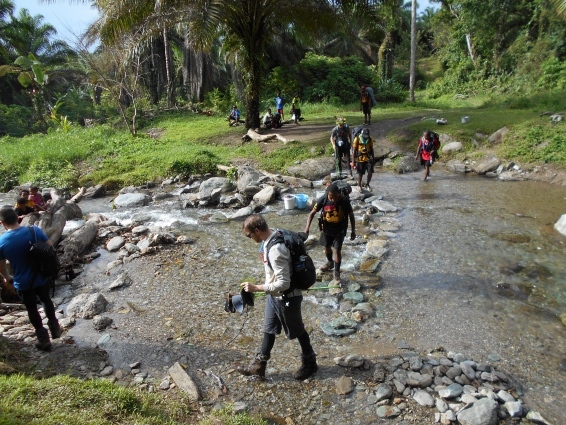 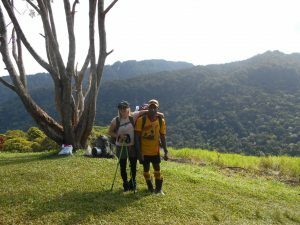 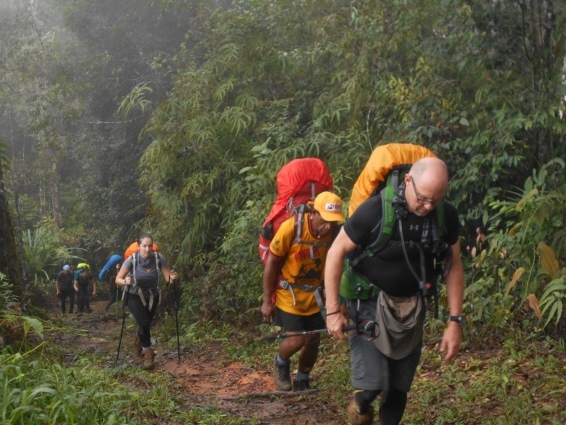 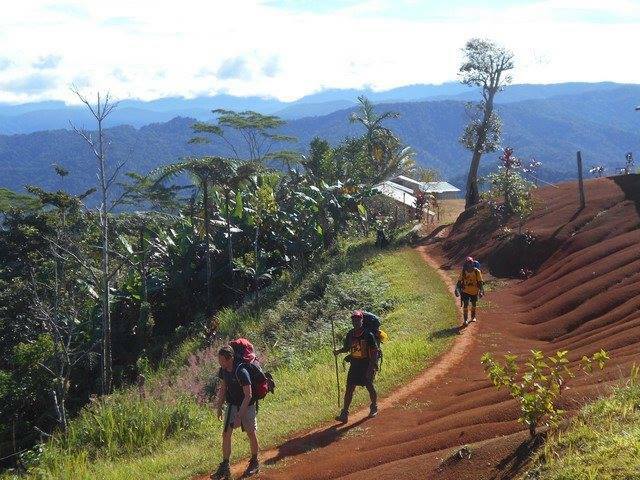 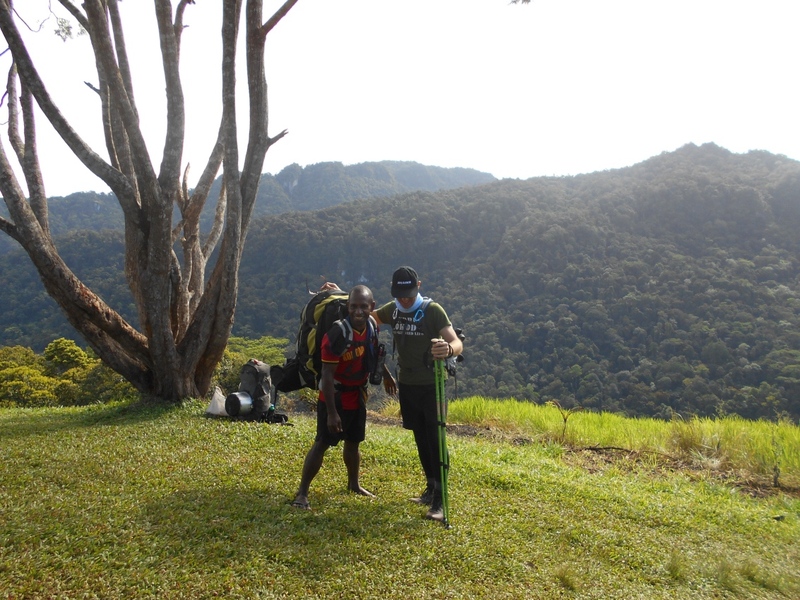 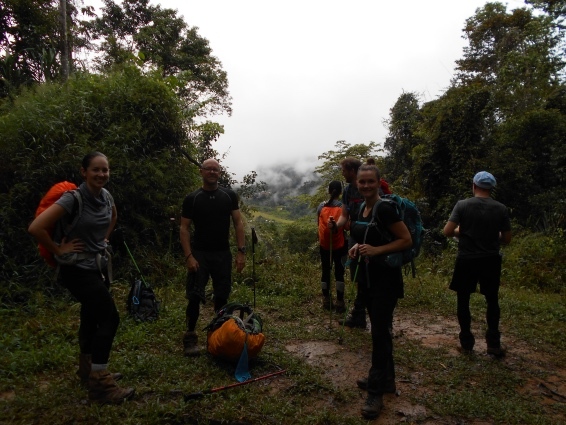 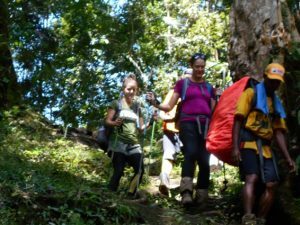 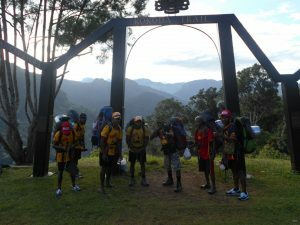 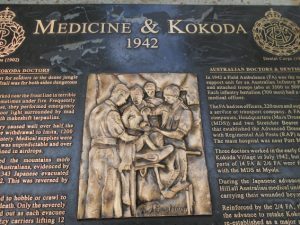 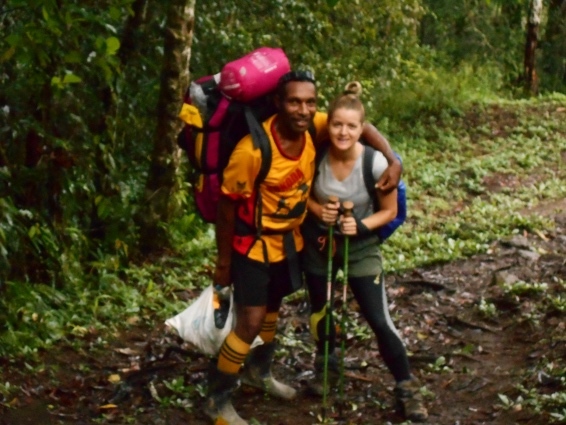 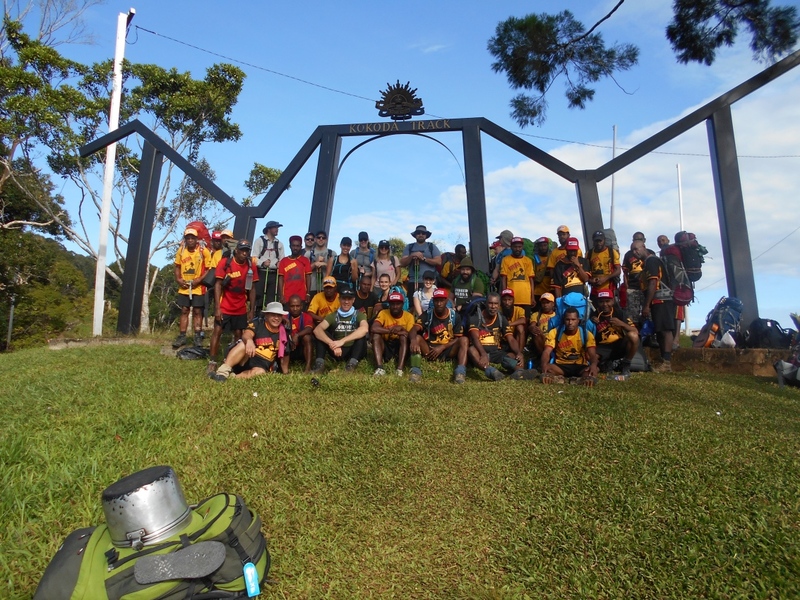 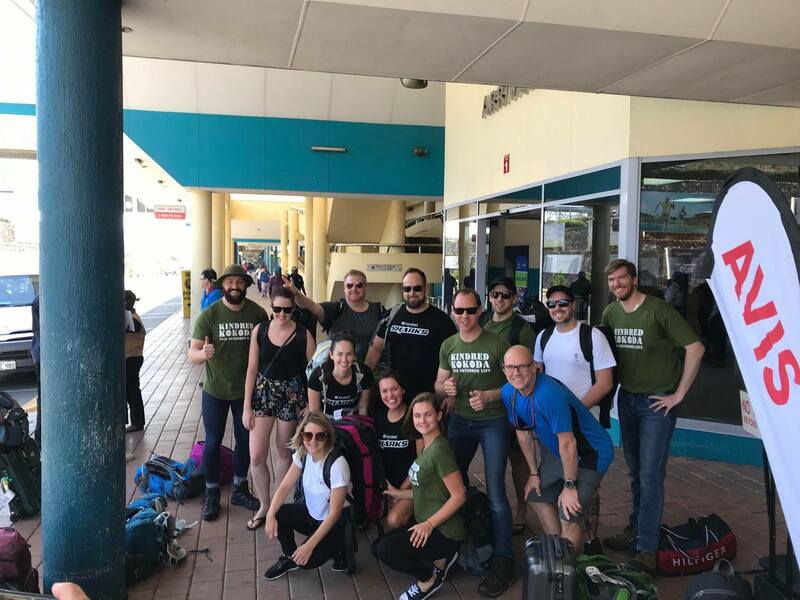 Well done to you all from all of us here at Kokoda Trekking. At the moment they headed down to Clement Harika’s guesthouse area for the night. 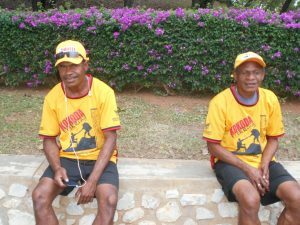 Tomorrow morning they will fly back to Port Moresby.